Rebozo Festival is a nonprofit 501c(3) Organization Tax ID#46-3641584. 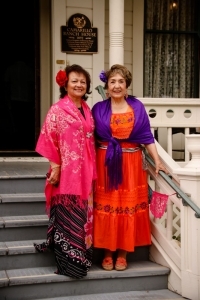 Meet the Madrinas (Godmothers) who organize this fantastic annual festival. 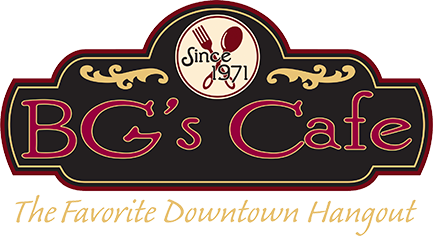 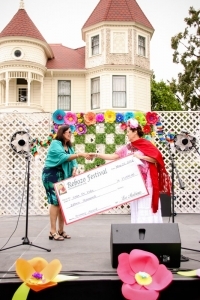 Over the past 13 years we have proudly awarded grants to over 25 grant recipients. 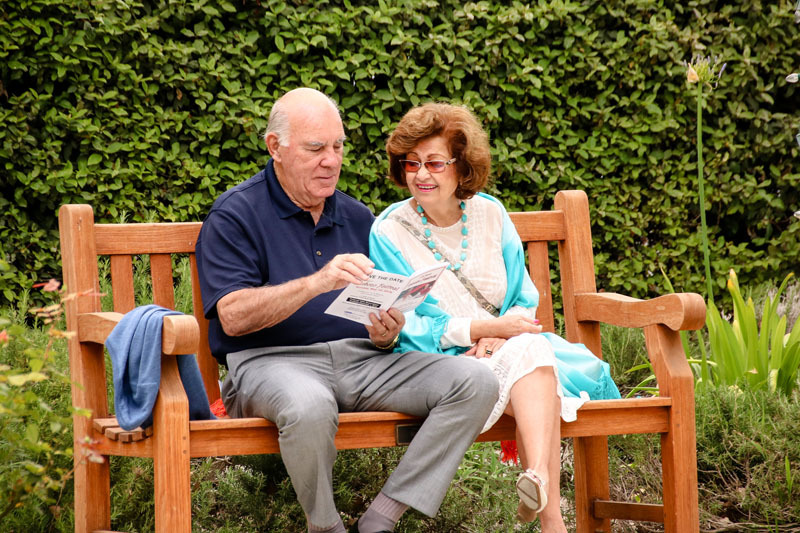 Providing hope, homes, and life-enriching services since 1979. 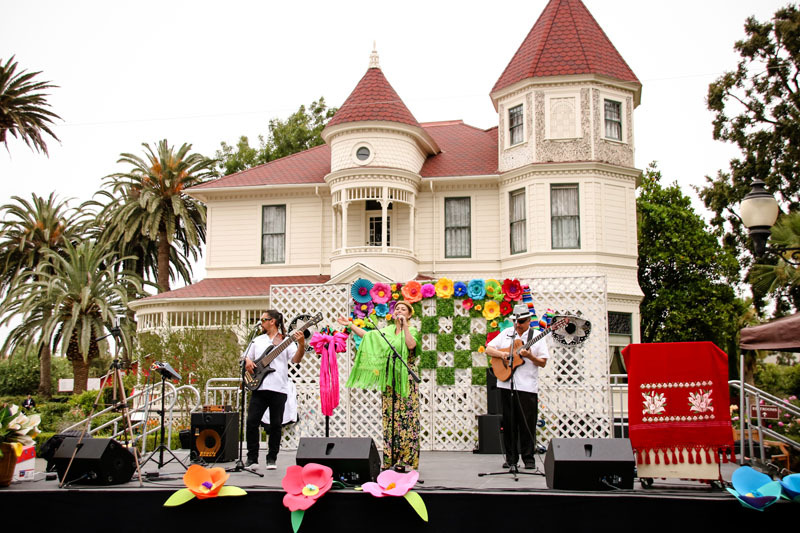 On August 24, 1979 Many Mansions was incorporated as a California nonprofit corporation. 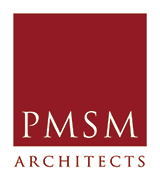 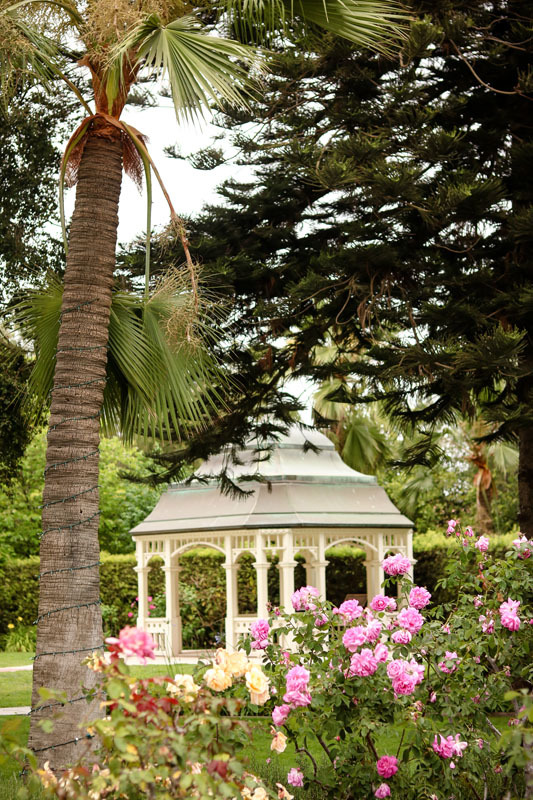 Many Mansions develops and manages affordable housing sites throughout the Southern California region. 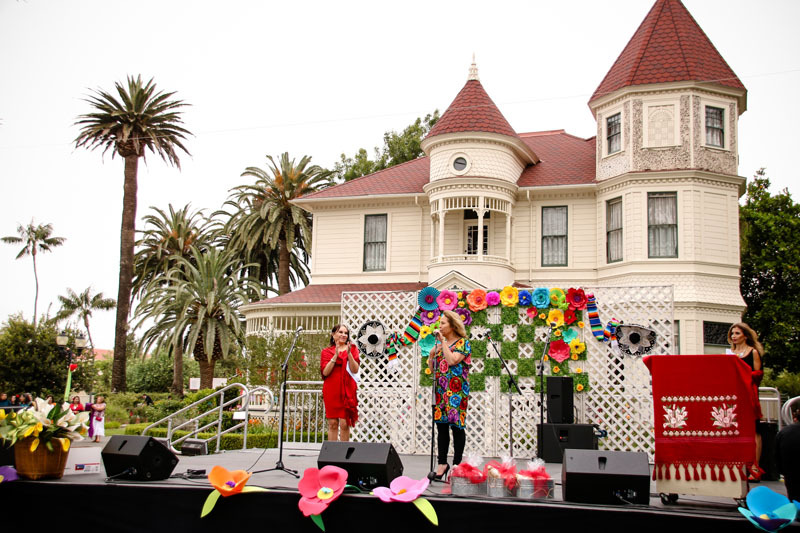 Currently Many Mansions owns and operates 14 affordable housing sites and is expanding throughout Ventura and Los Angeles counties. 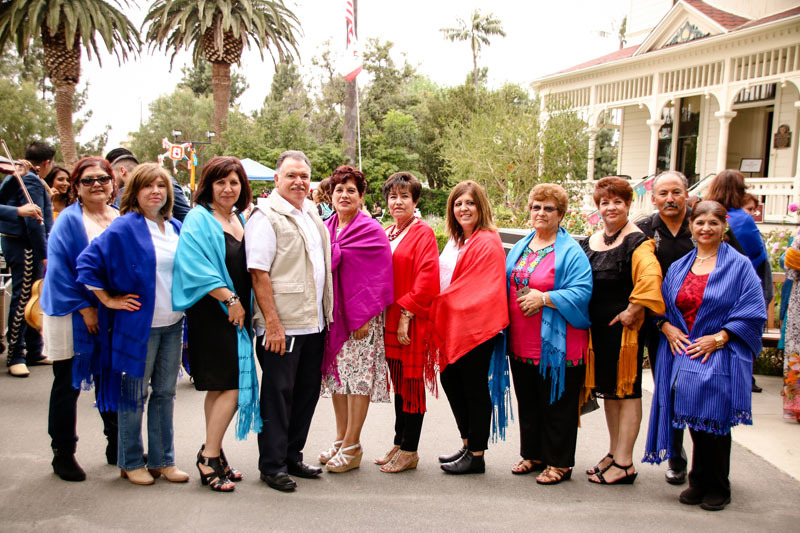 Assistance League of Conejo Valley is a nonprofit organization comprised of volunteers who identify, develop, implement, and fund ongoing philanthropic programs to improve the lives of children and adults in our community. 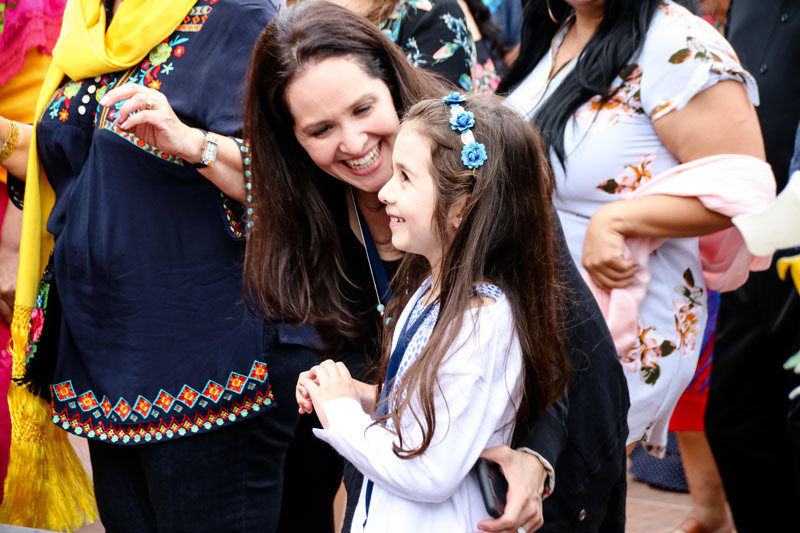 Operation School Bell is the national philanthropic program of Assistance League with nearly every chapter providing clothing, classroom provisions or other needs to elementary schoolchildren across the country. 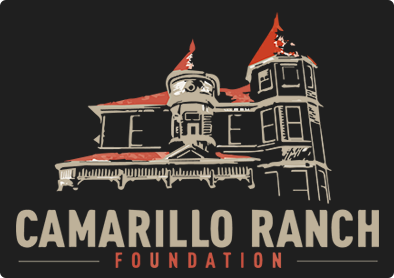 Emergency Clothing Kits are stocked with school appropriate clothing including: sweatpants, sweatshirts, tee shirts, gym shorts and underwear. 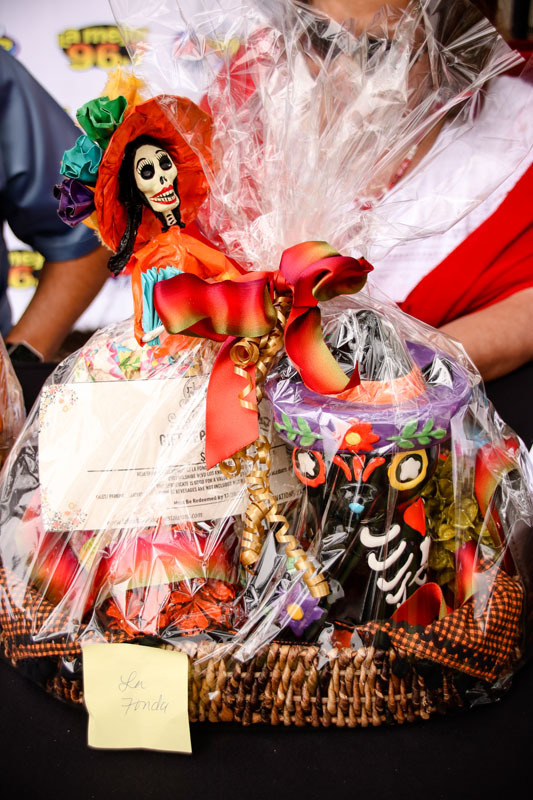 Our liaisons distribute these kits to the school health aides where they are kept and replenished upon request. 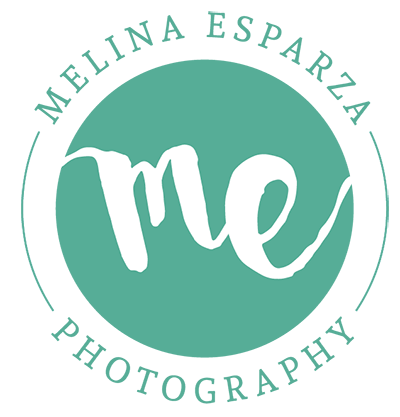 Literacy: Volunteers work with students in a reading lab or classroom to improve their reading skills, comprehension and speed. 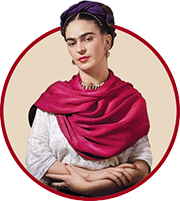 Dictionaries: Age-appropriate English dictionaries are provided to third grade students and their classrooms. 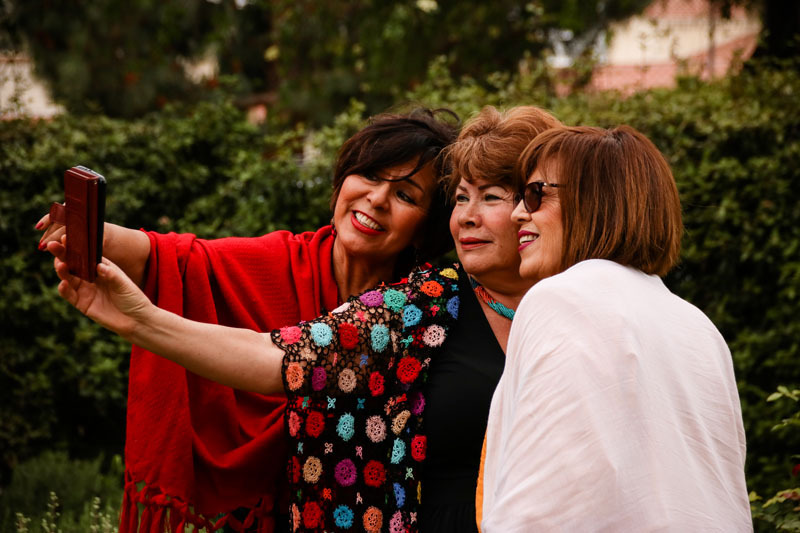 “Vision for the Future” provides eye exams and eyeglasses for students in need whose families cannot afford vision care or do not have insurance. 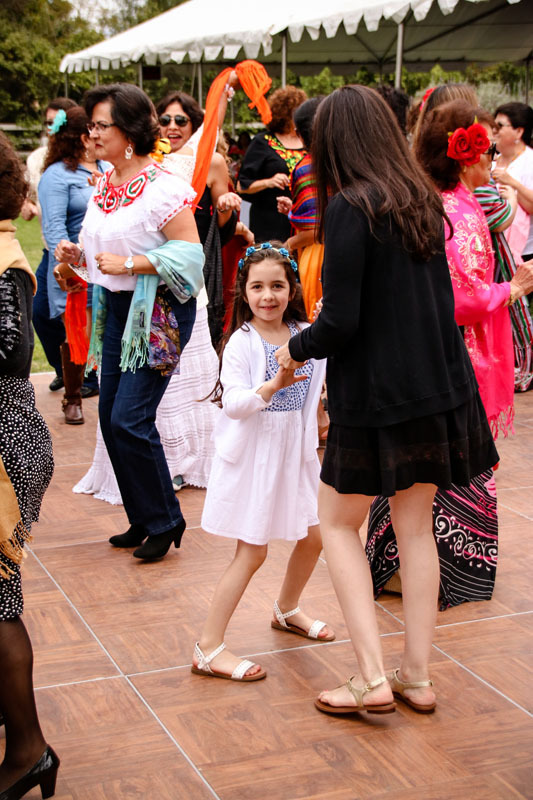 The students benefit from improved academic performance, increased self-esteem and a new view of the world around them. 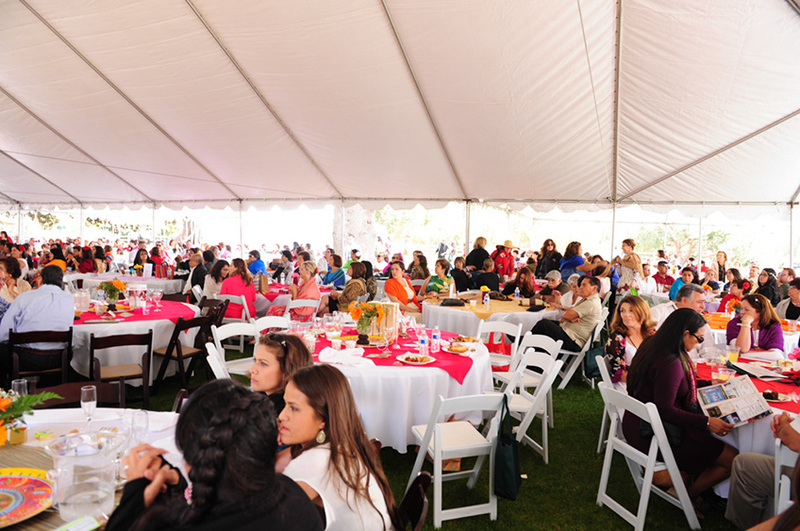 The Discovery Center for Science and Technology is an educational nonprofit organization that provides hands-on science programs at schools and local community venues. 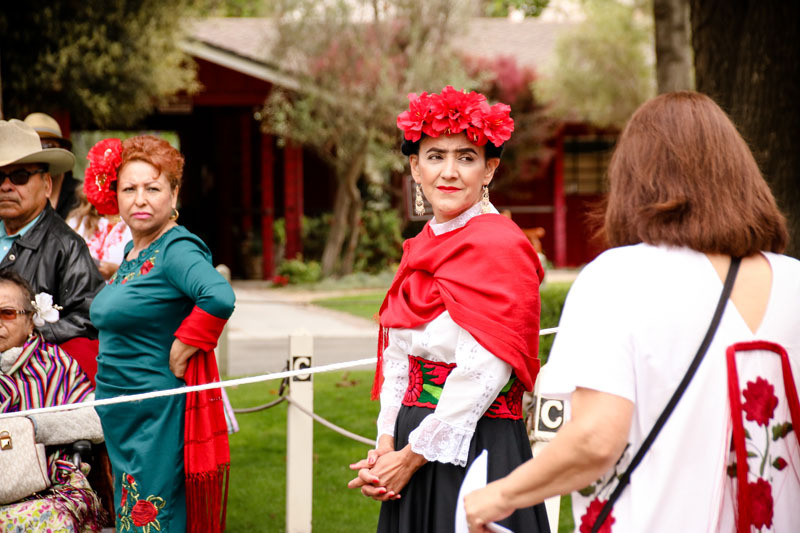 We currently operate as a Museum Without Walls working in and around Ventura County promoting curiosity, creativity and critical thinking by providing interactive experiences and education programs focused on science, technology, engineering and mathematics. 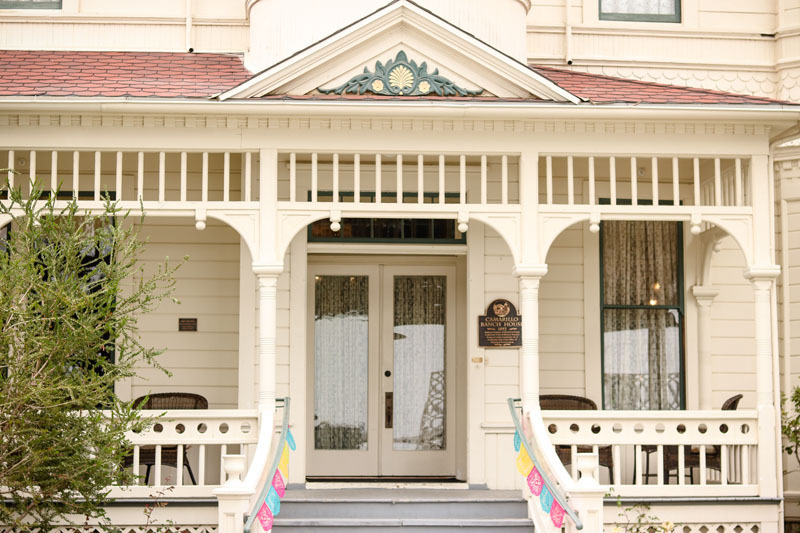 For 23 years, the Discovery Center for Science and Technology’s Museum Without Walls programs have offered interactive experiences and education programs focused on science, technology, engineering, the arts and mathematics to promote curiosity, creativity and critical thinking for local children of all ages. In 2017, our core programs reached more than 8,000 children and adults throughout the Conejo Valley and Ventura County. 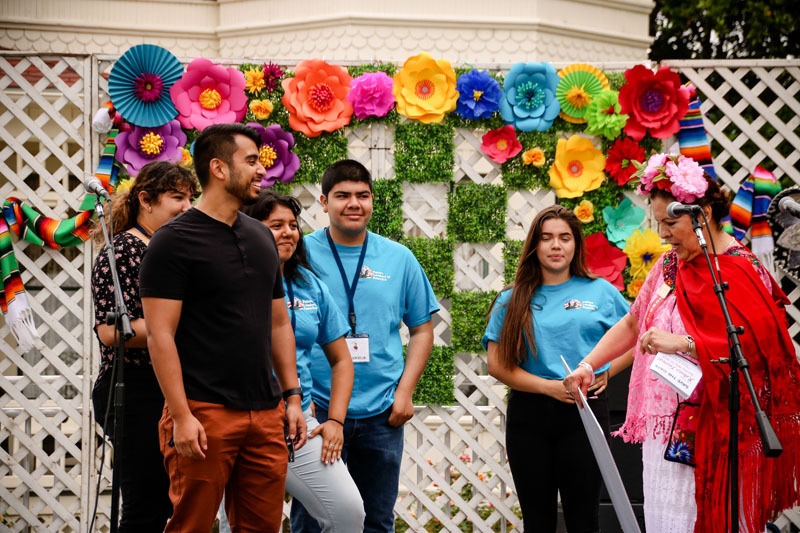 Our programs are 100 percent staffed by volunteers including scientists, engineers, business people, and teachers who volunteer their time to make learning fun. 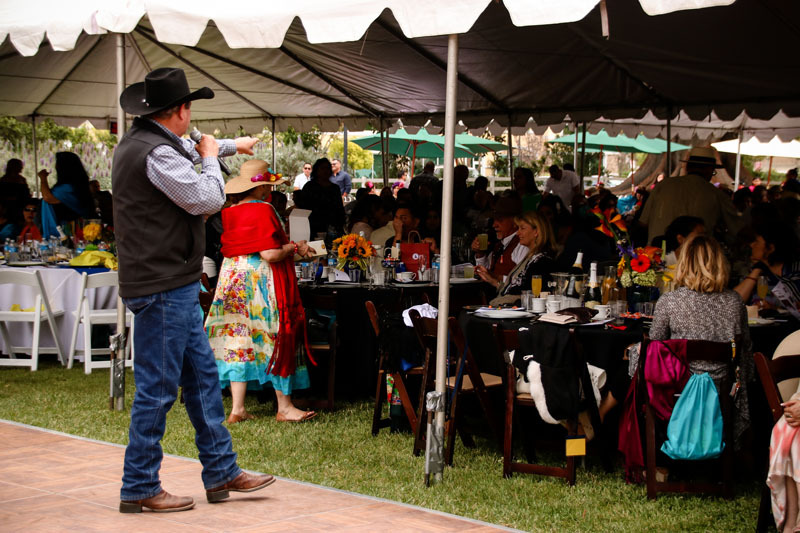 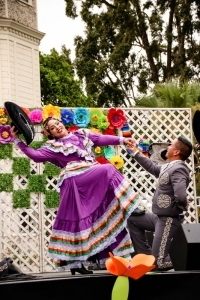 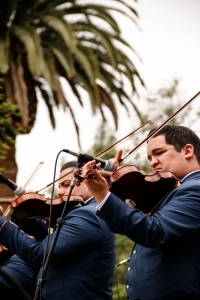 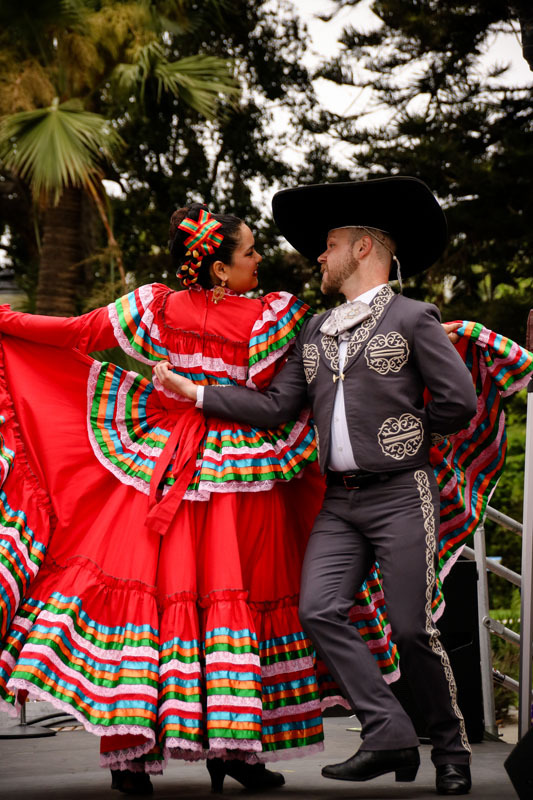 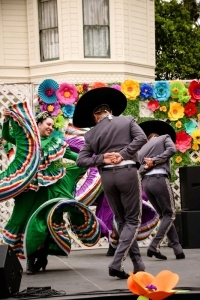 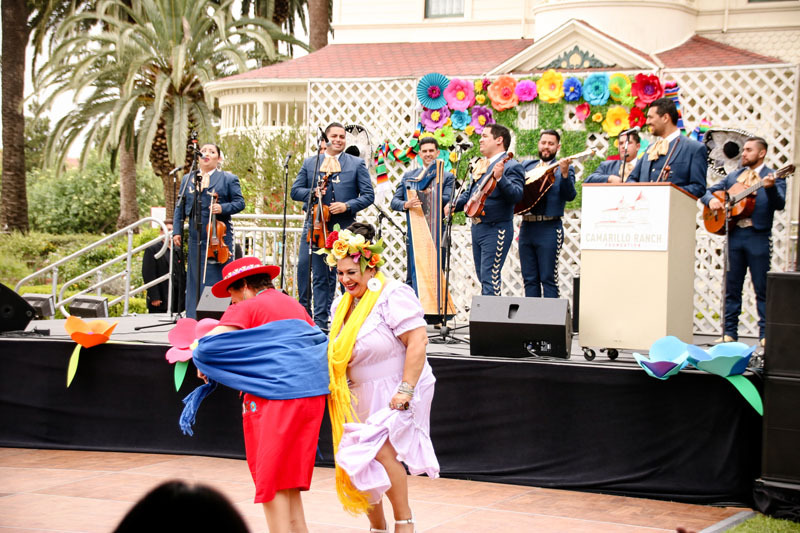 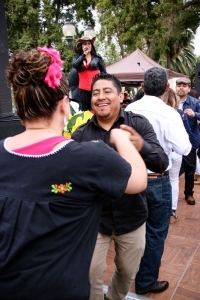 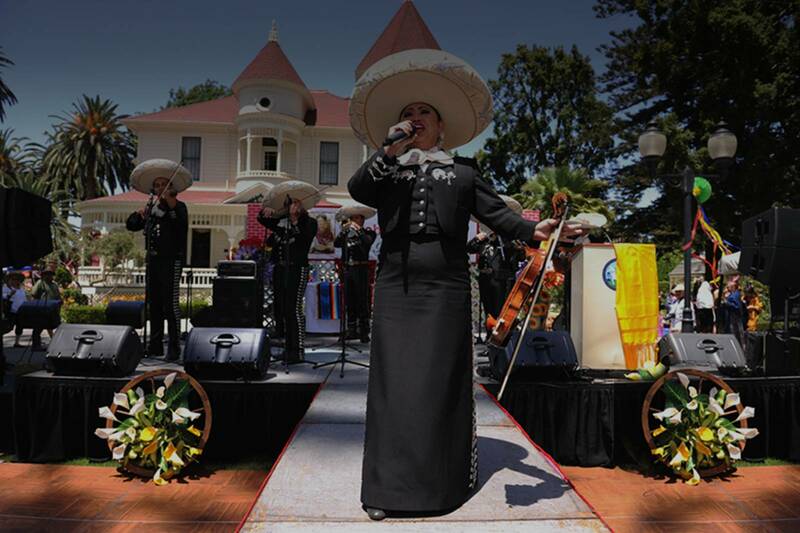 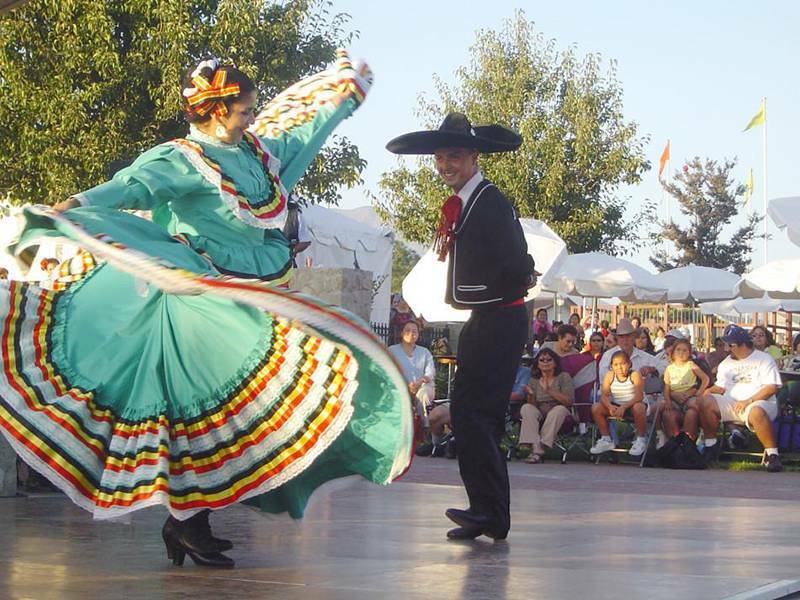 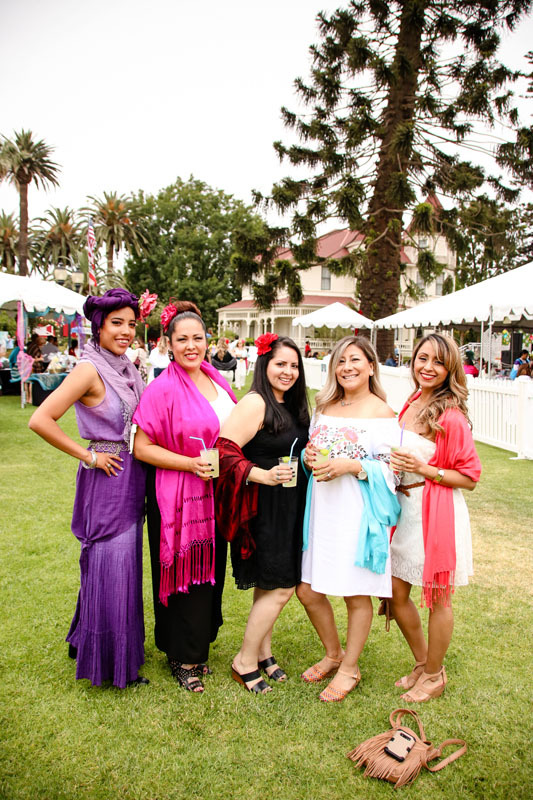 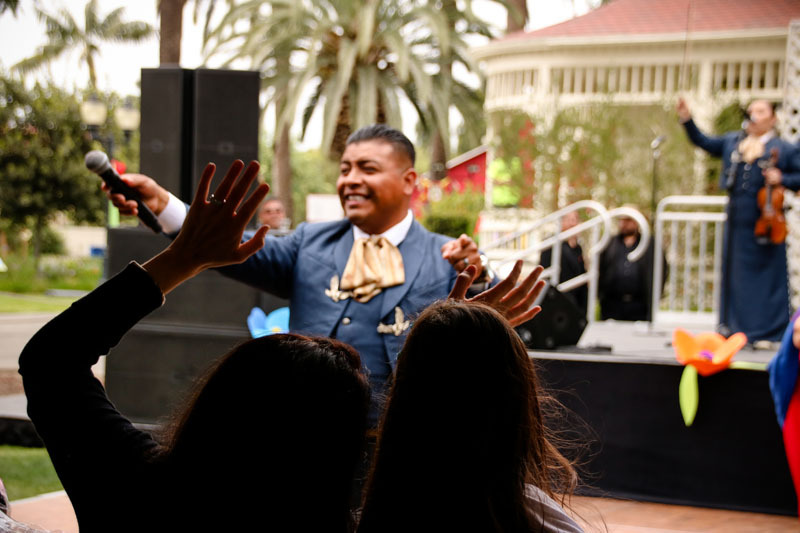 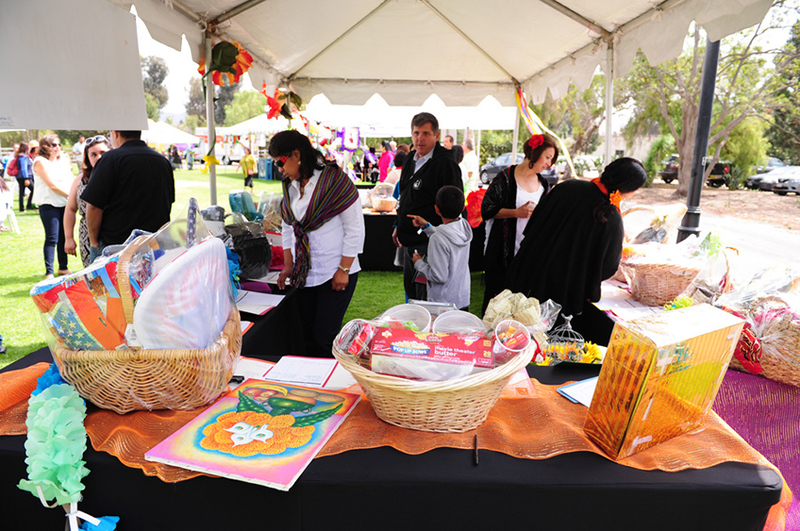 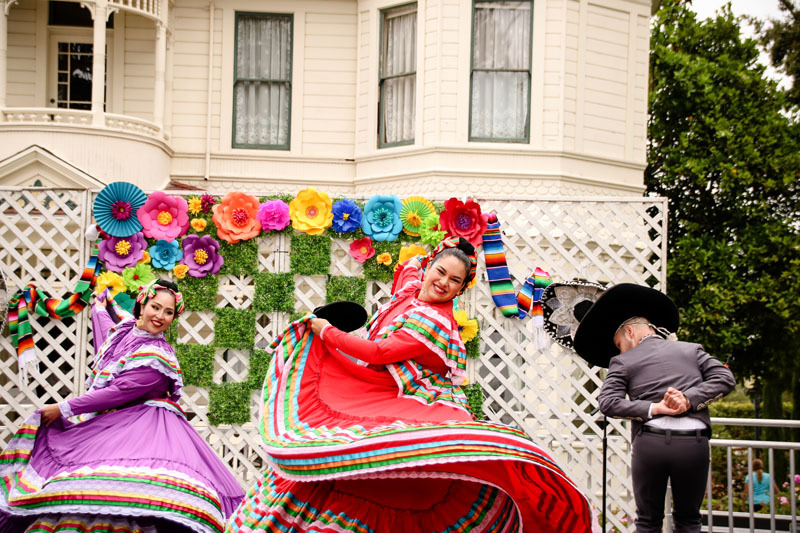 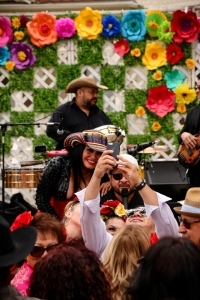 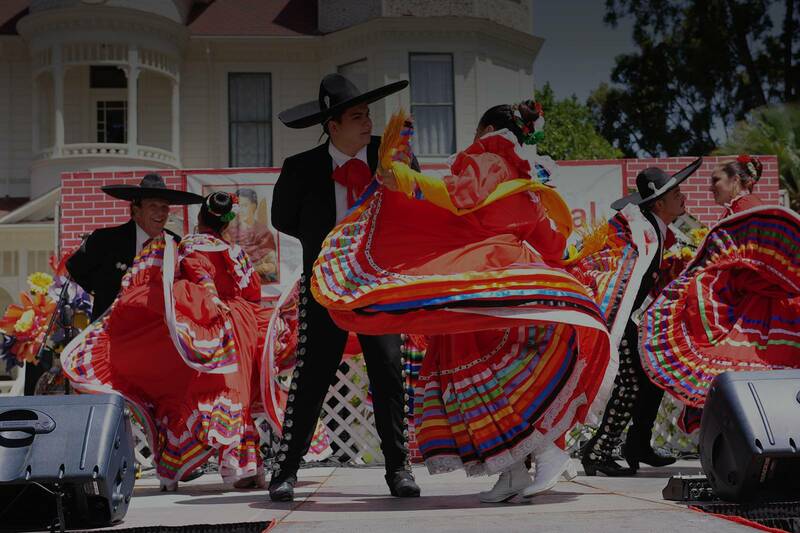 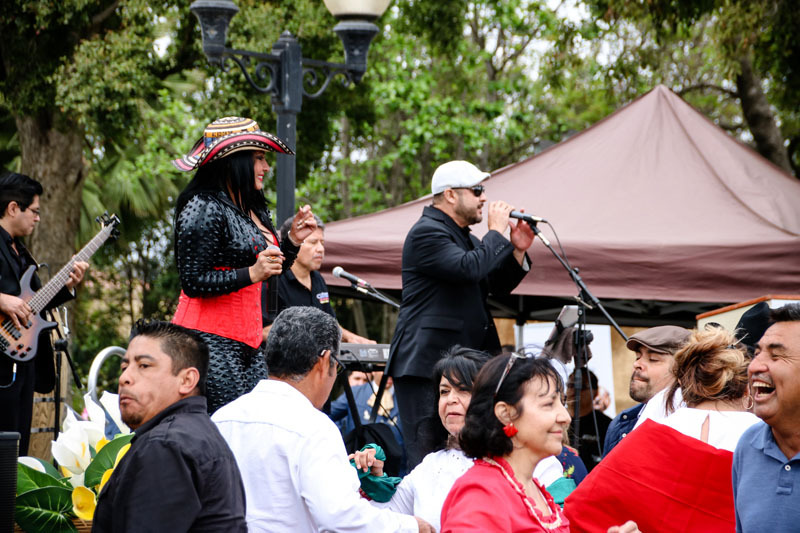 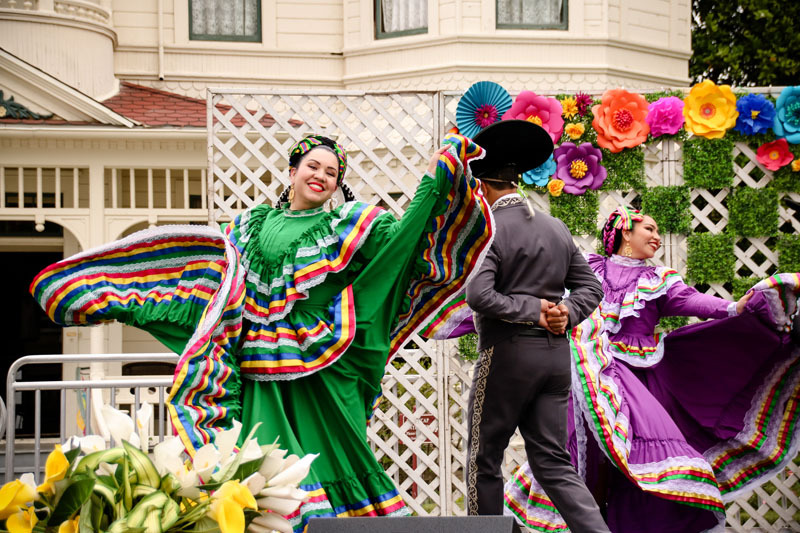 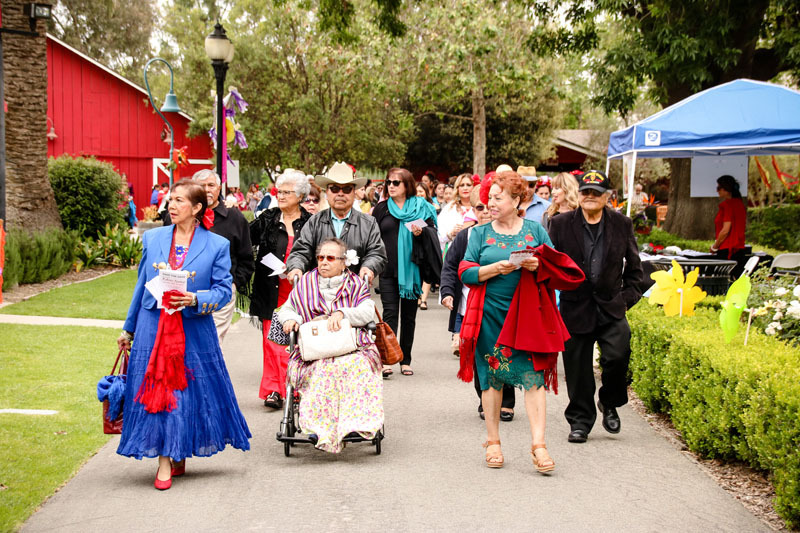 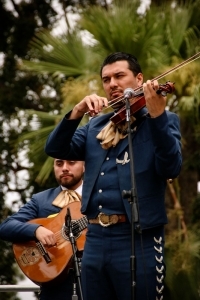 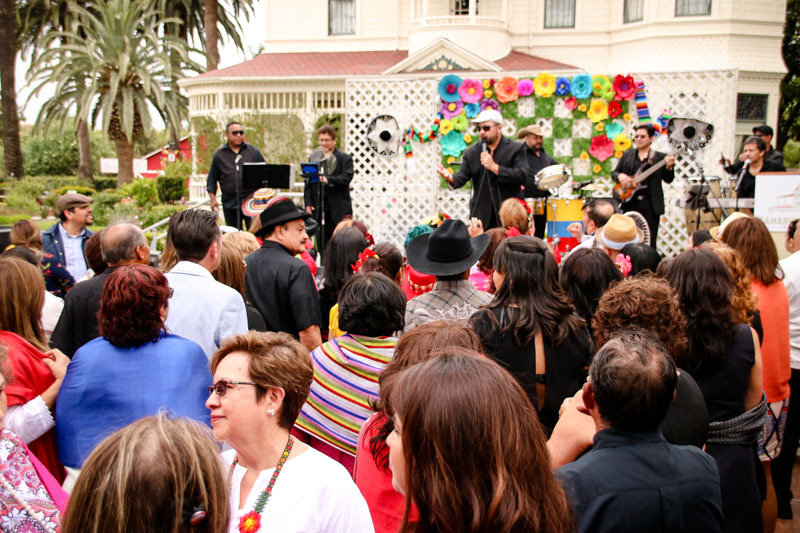 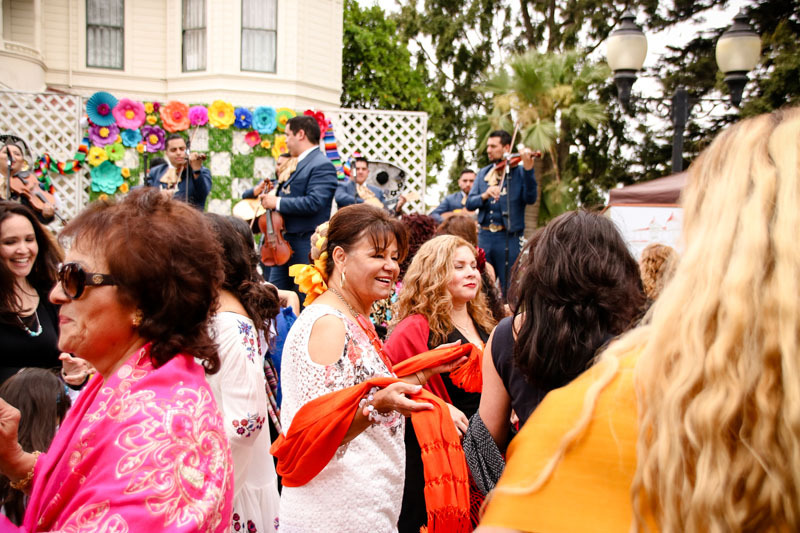 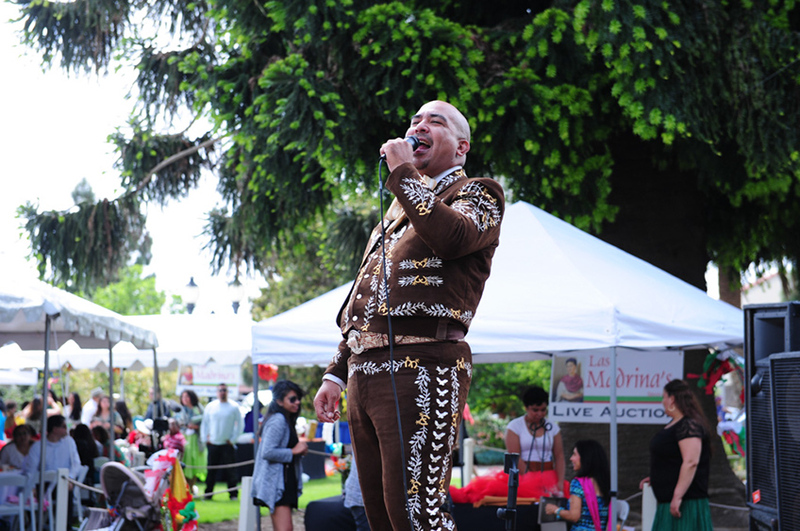 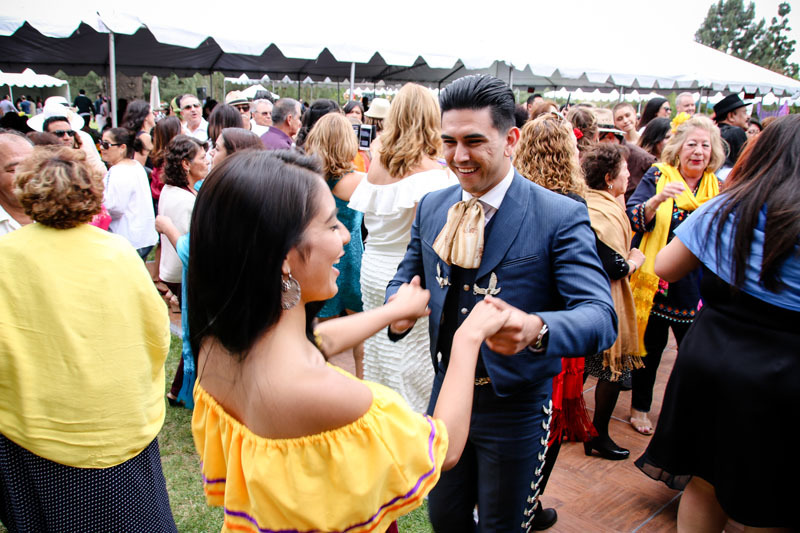 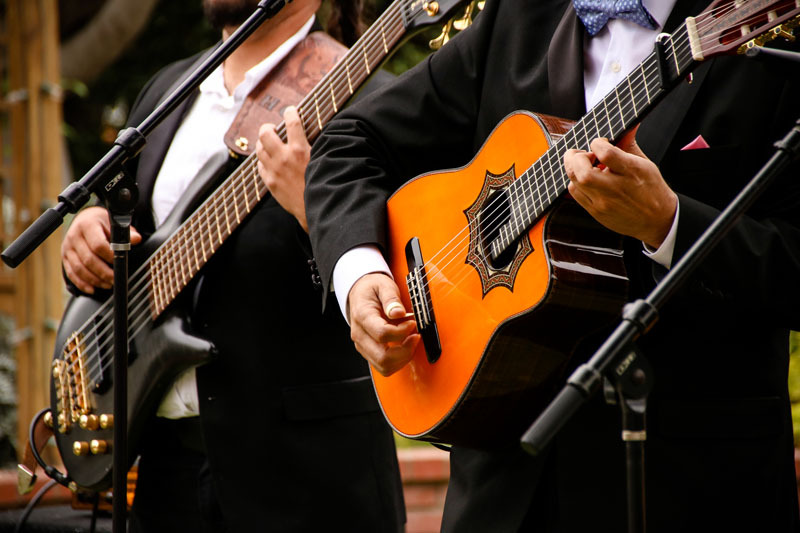 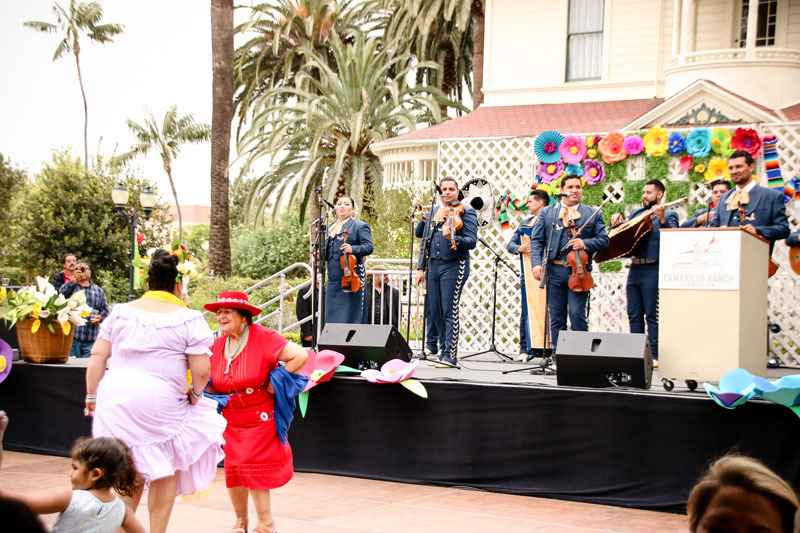 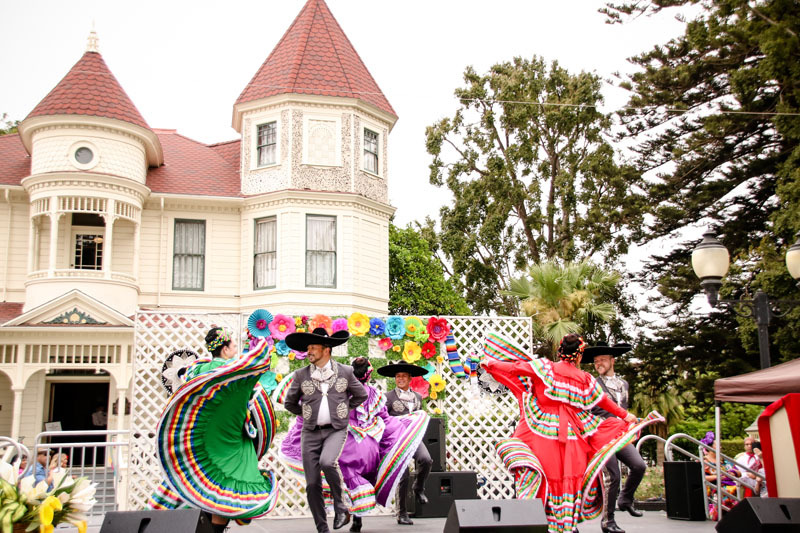 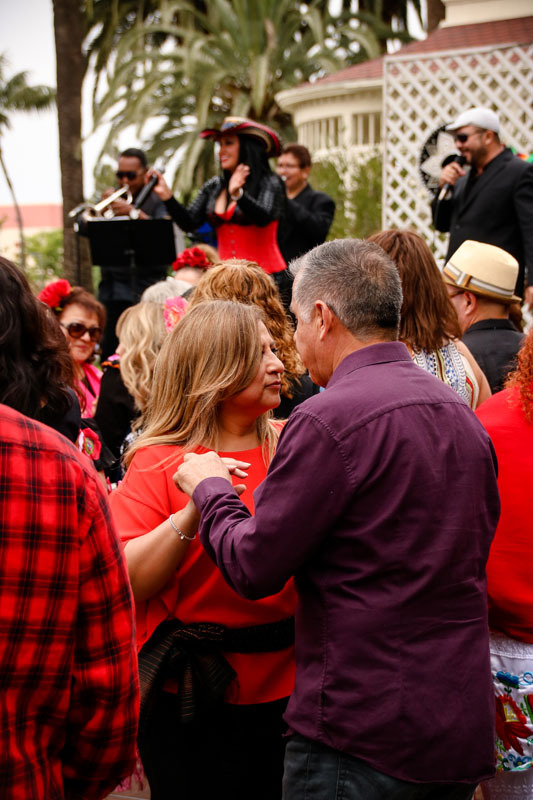 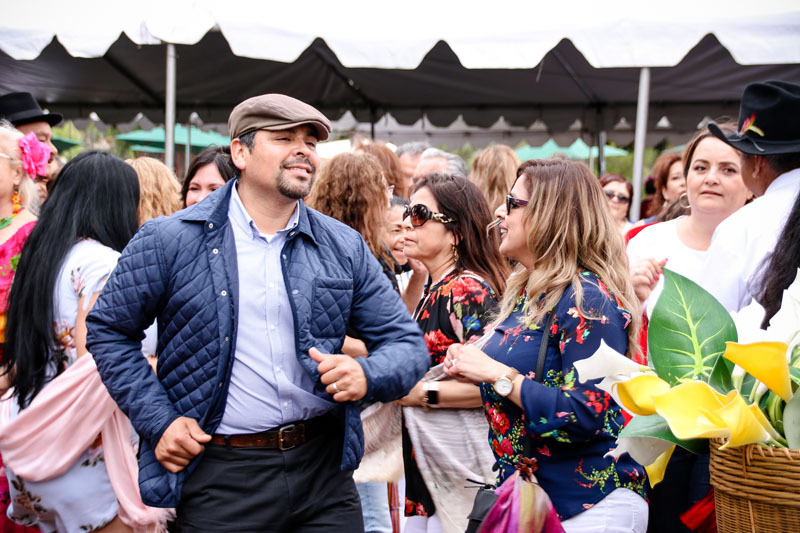 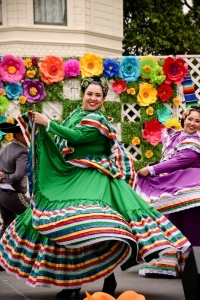 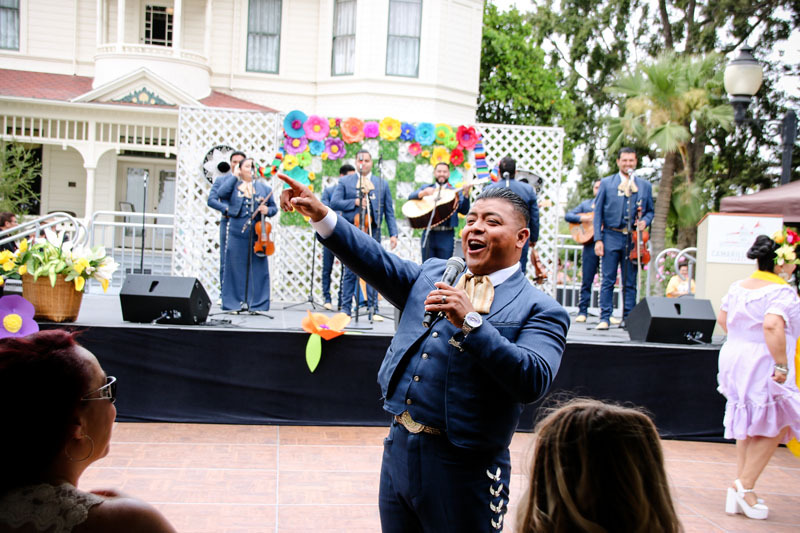 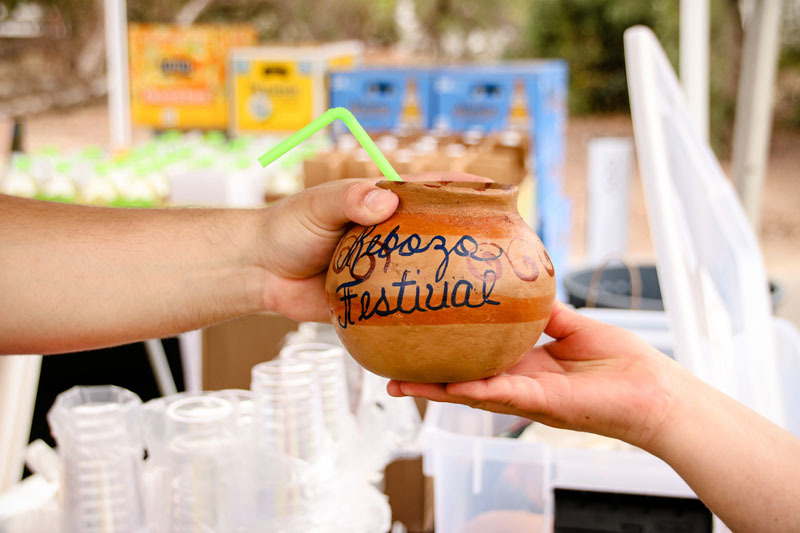 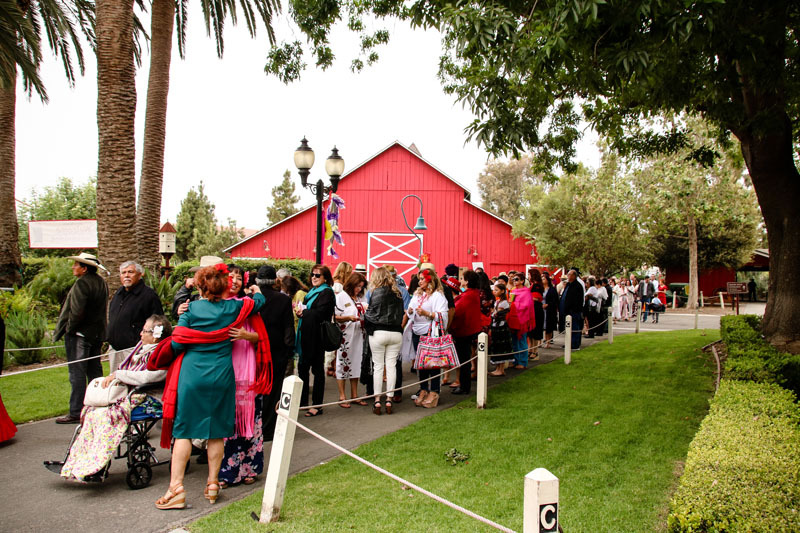 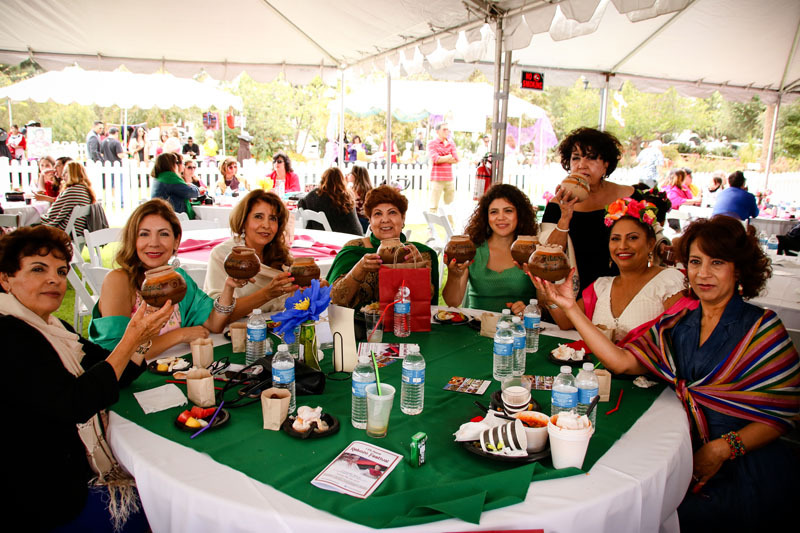 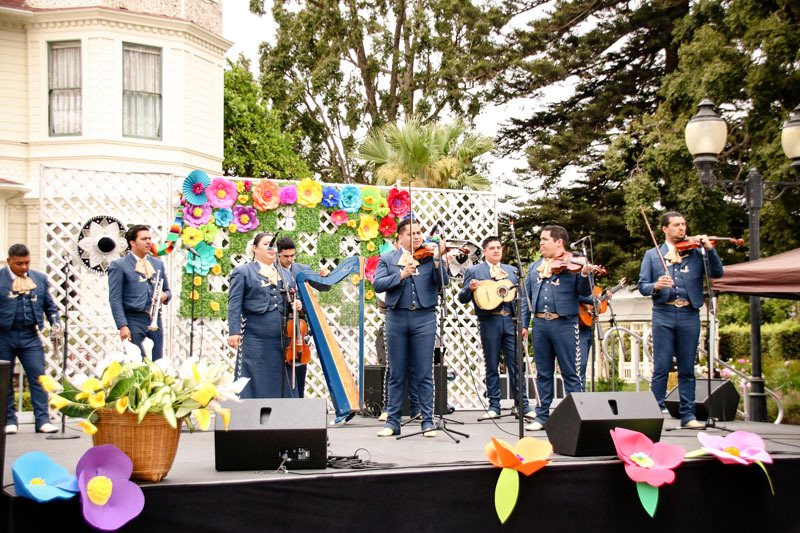 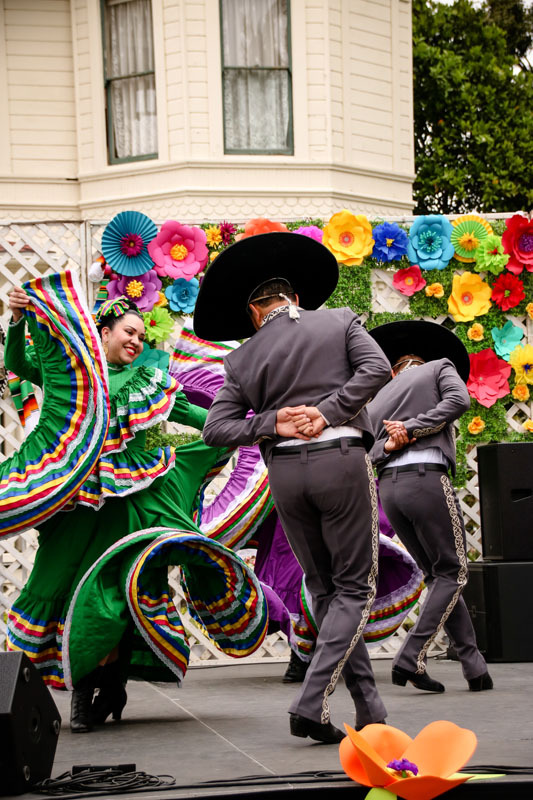 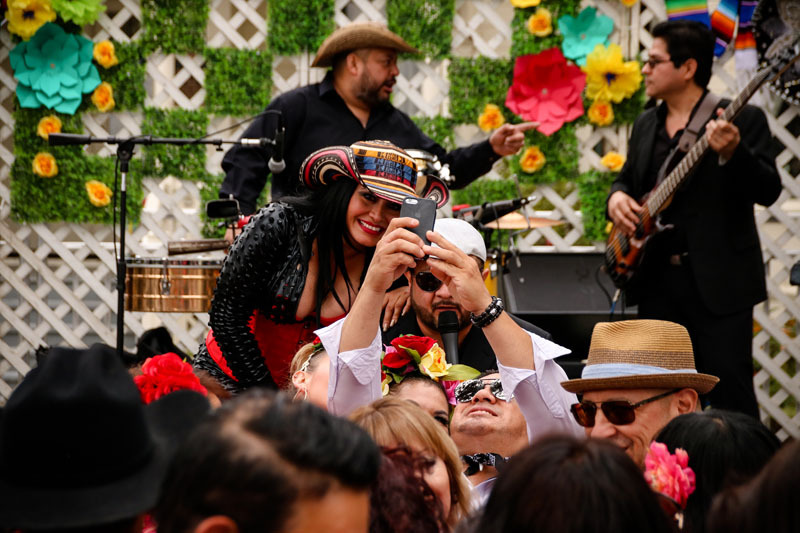 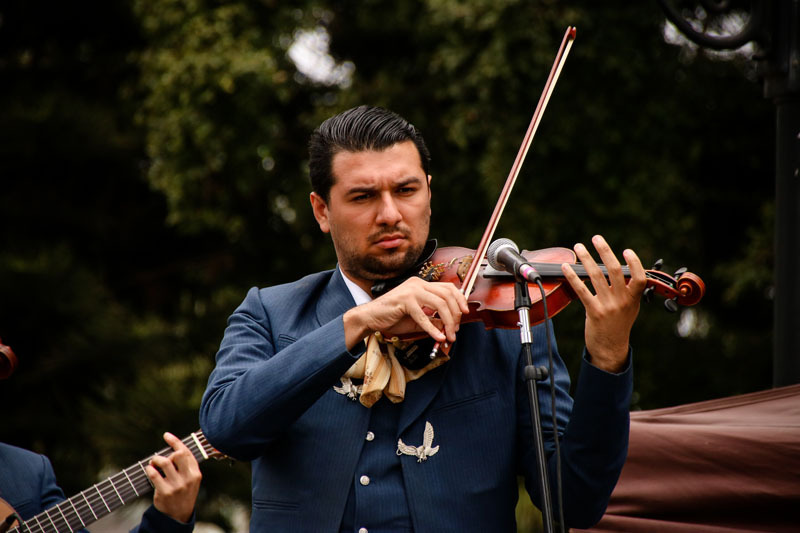 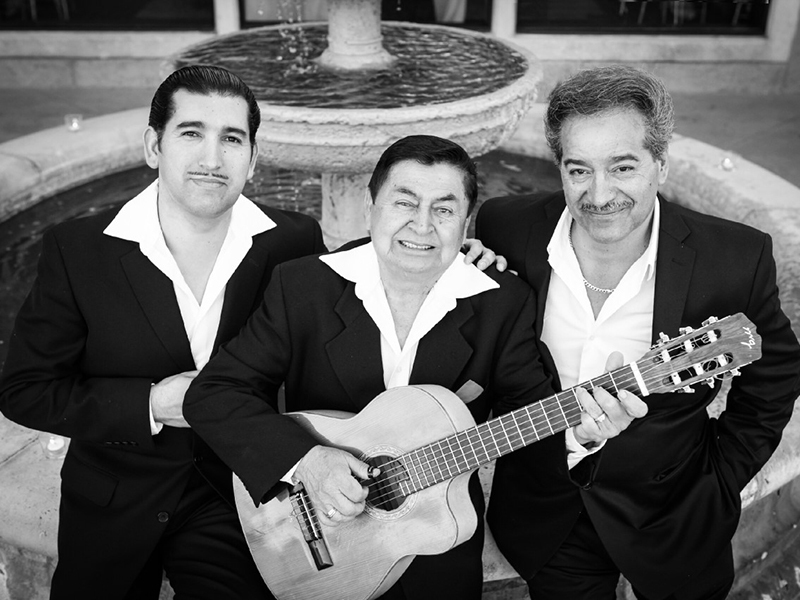 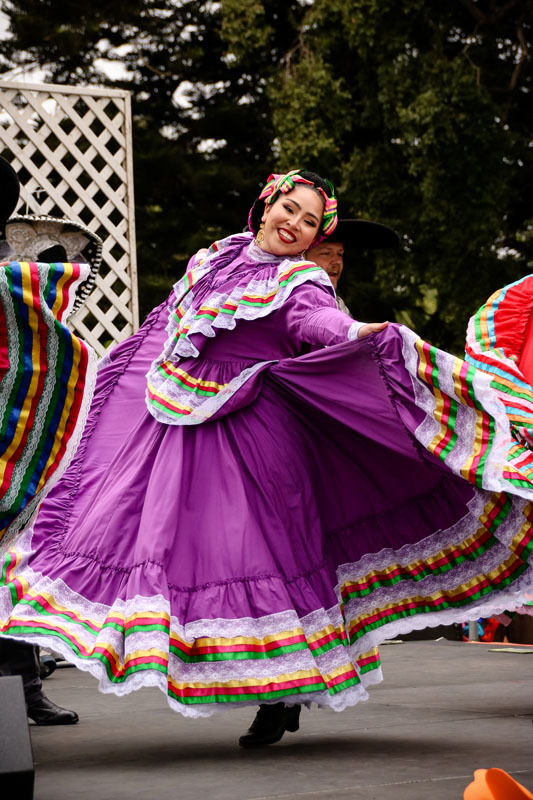 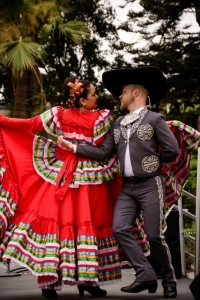 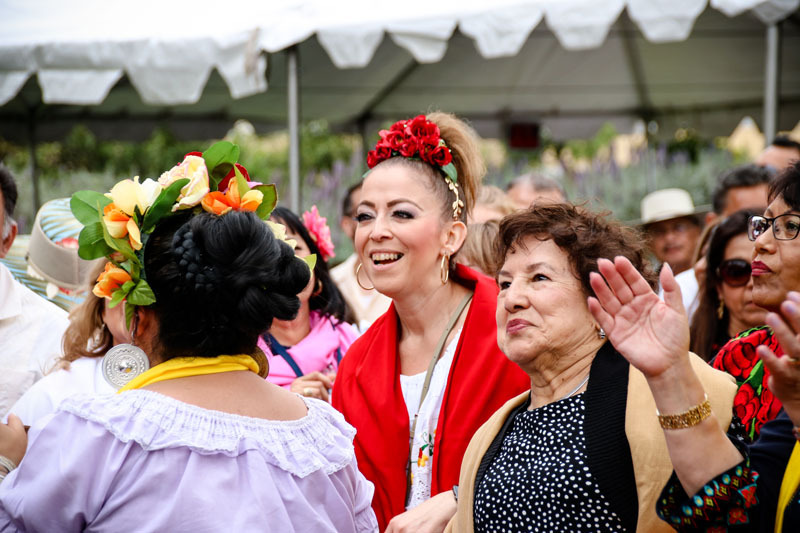 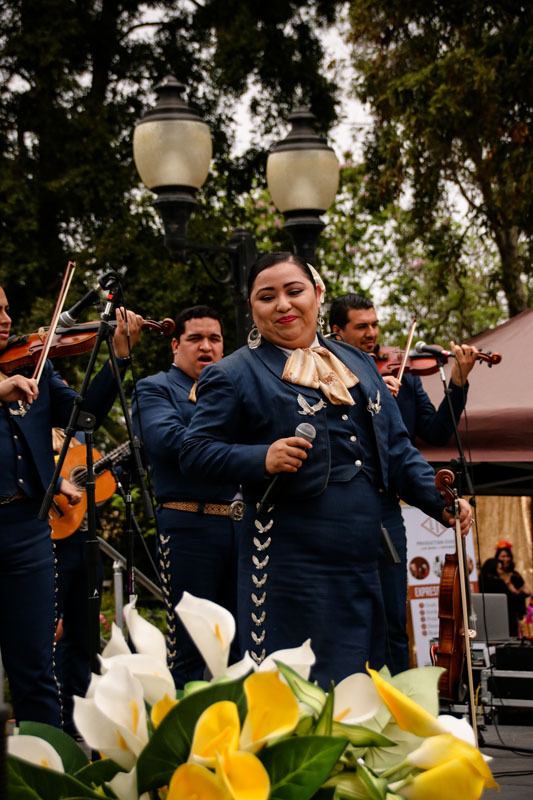 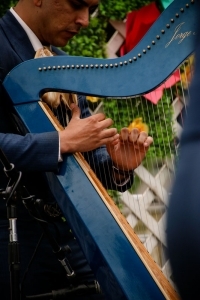 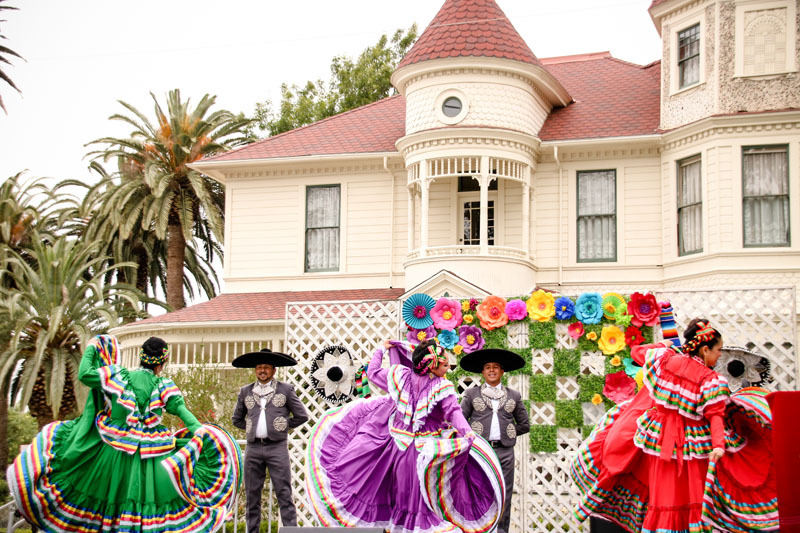 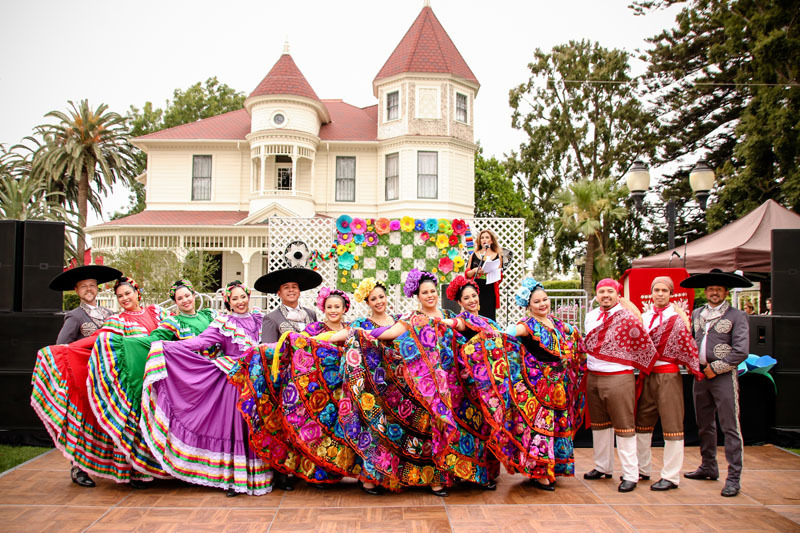 Experience a full day of delicious food, rebozo displays and amazing entertainment! 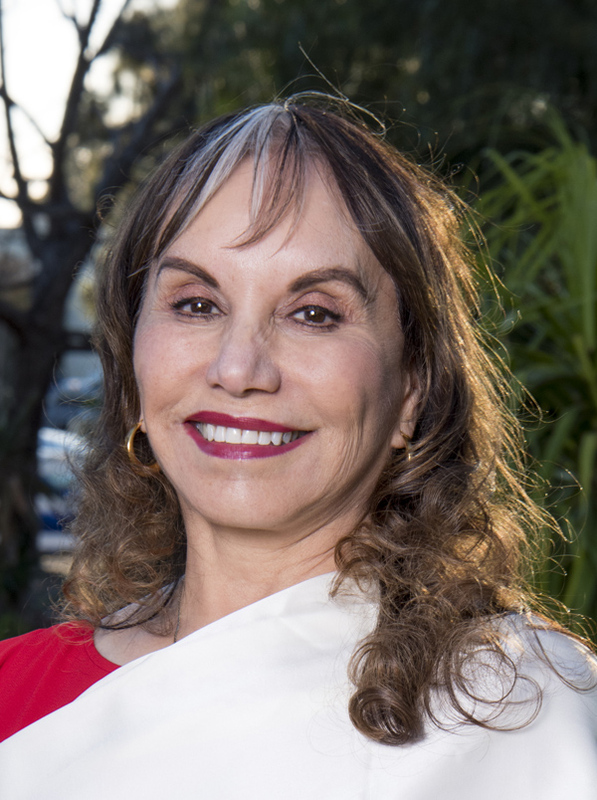 Brenda has been employed by Lazer Broadcasting Corporation for the past 11 years. 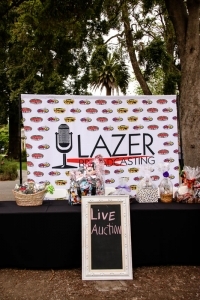 Beginning her career as a Receptionist for the Lazer Headquarters office in Oxnard, she quickly added many responsibilities while continuing to provide exceptional and professional customer service to all whom she interacts with. 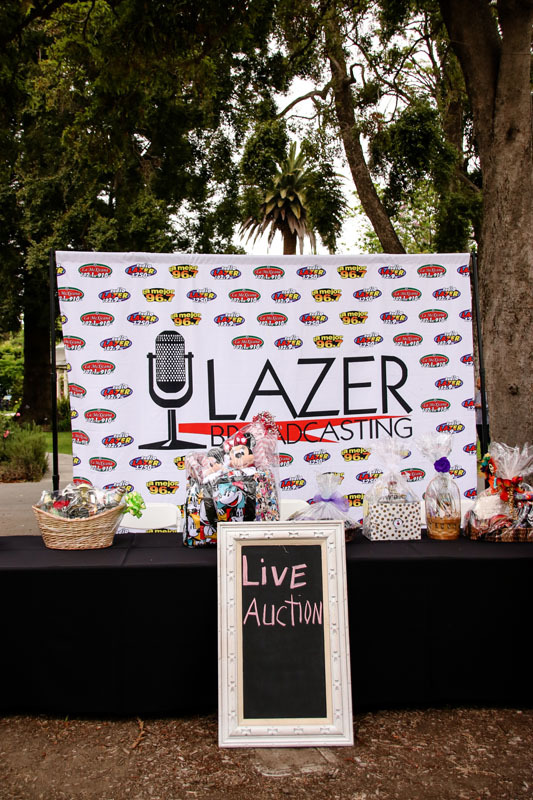 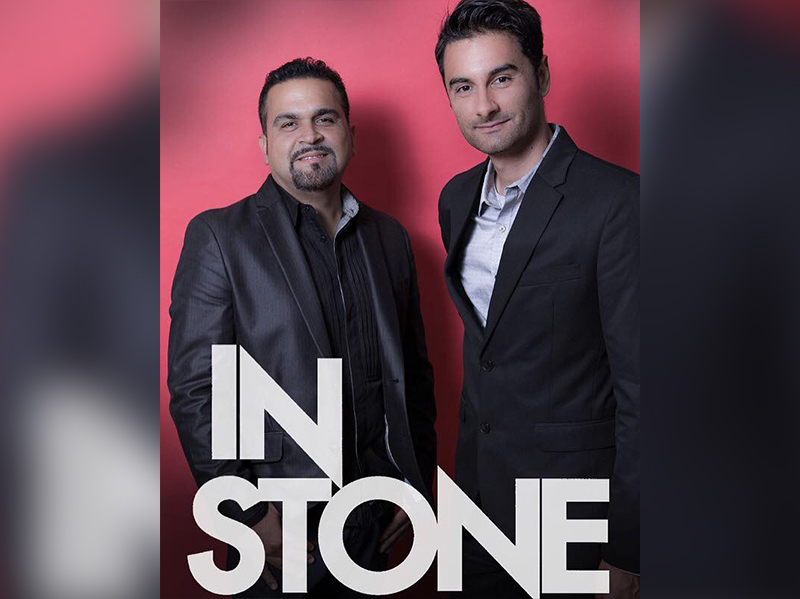 She currently takes the role of Administrative Assistant for 100+ employees within Lazer’s various radio markets. 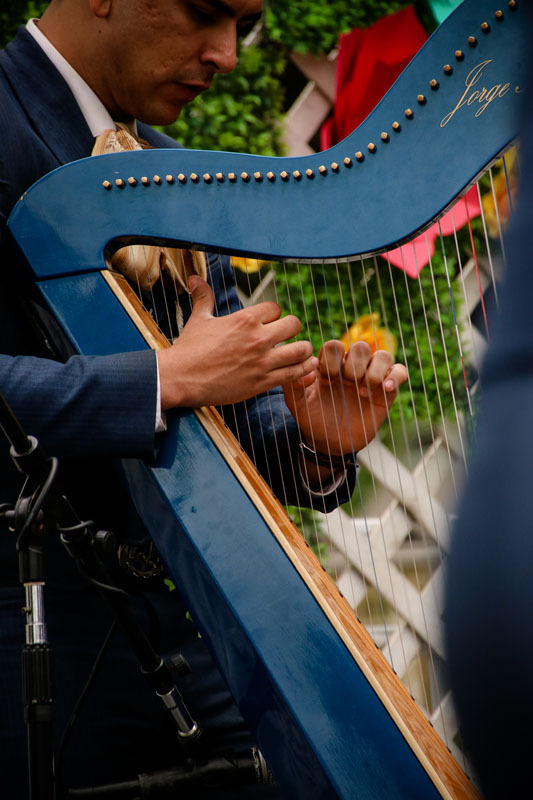 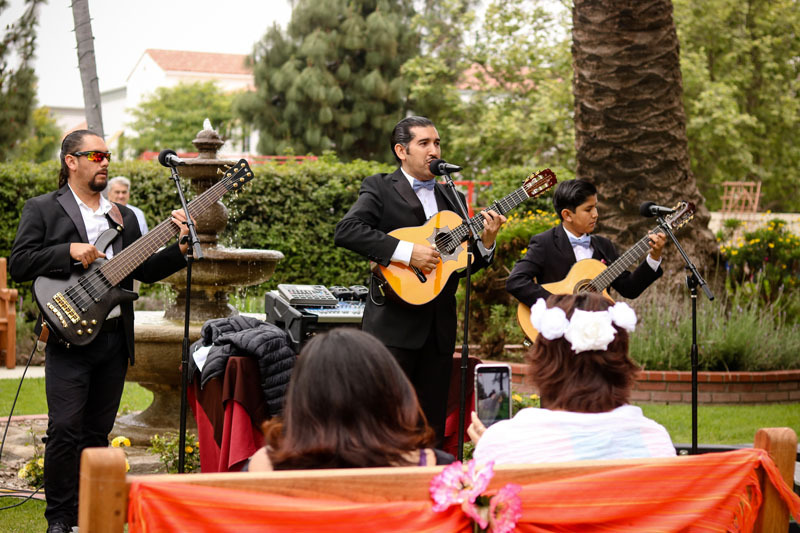 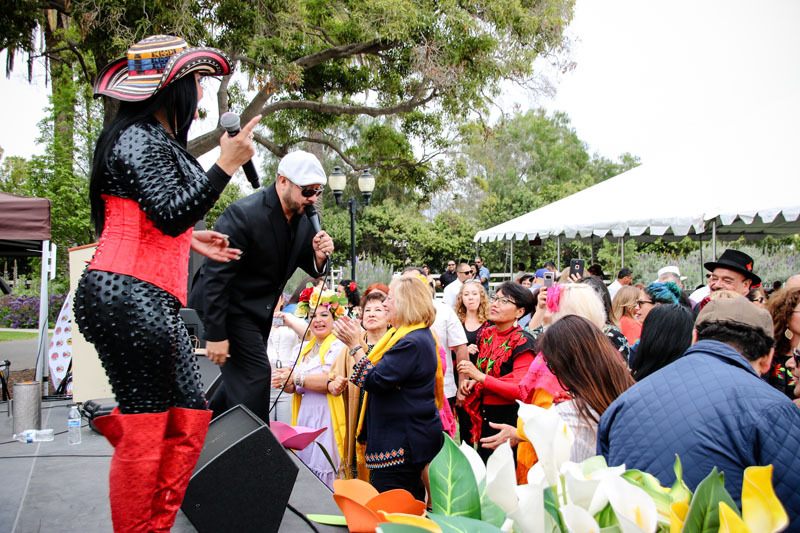 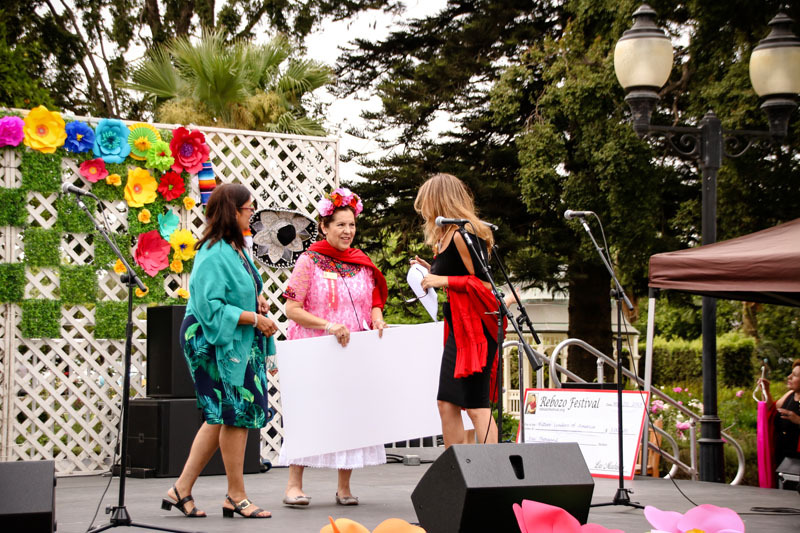 Brenda also is takes the lead on multiple projects, such as FCC reporting and promotional radio events in the city of Oxnard; Cinco de Mayo Festival, Fiestas Patrias and Tamale Festival. Brenda understands every outlet of the company and makes sure that her peers are successful in their daily operations. 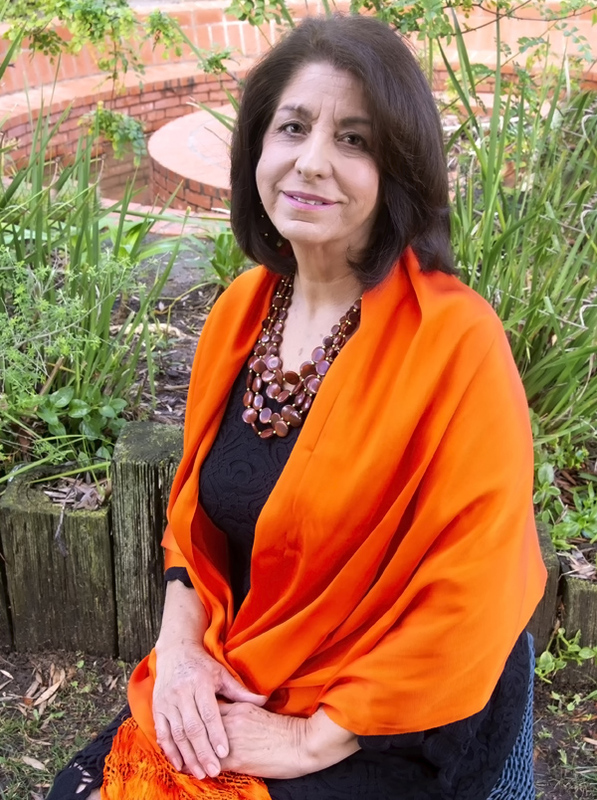 Anyone that has the pleasure of talking to Brenda, will always speak highly about her beautiful personality. 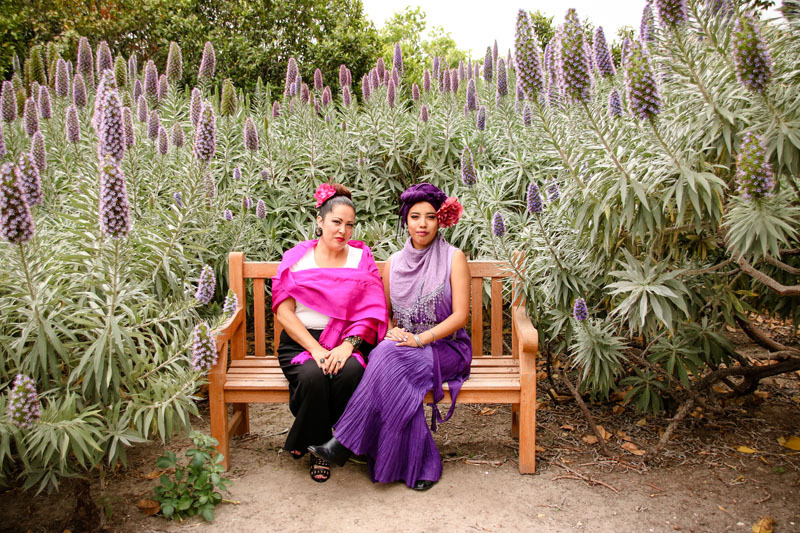 Brenda was born and raised in Oxnard and is the youngest of three siblings. 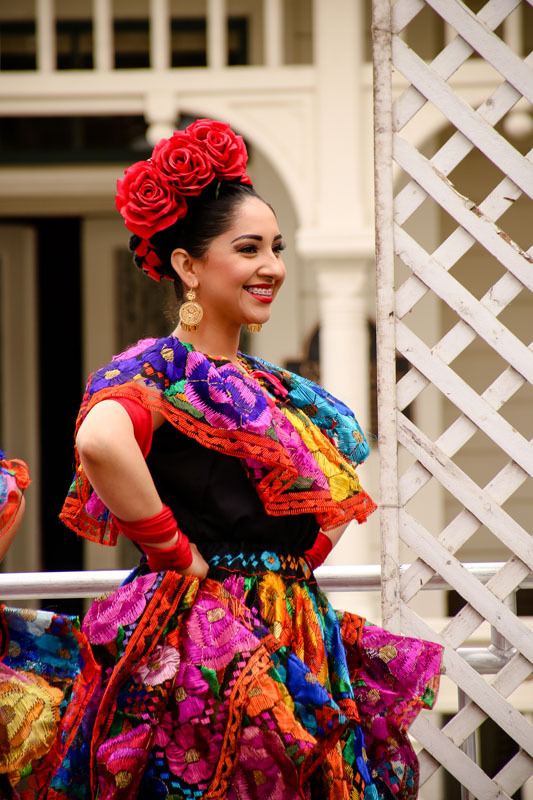 Her family is originally from Jalisco, Mexico. 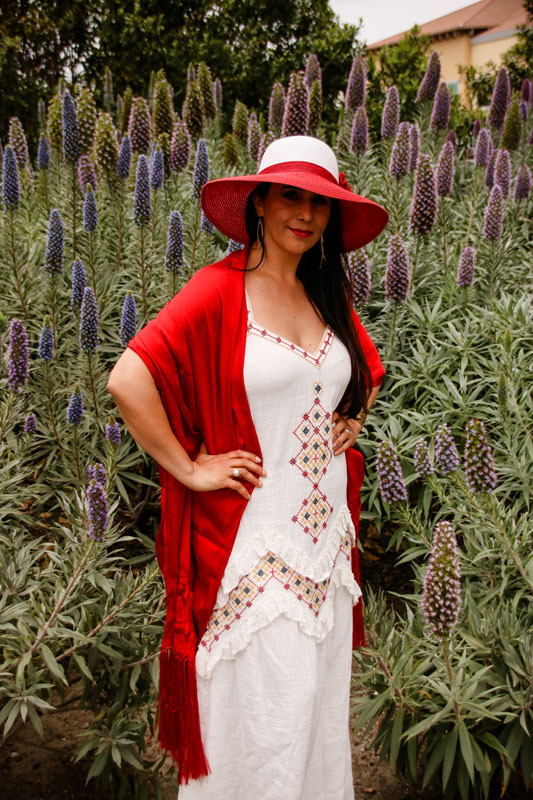 She is very family oriented and is always willing to help anyone in need. 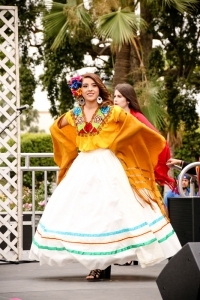 She currently resides in Ventura with her husband Jonathan and she enjoys spending time with her family and friends. 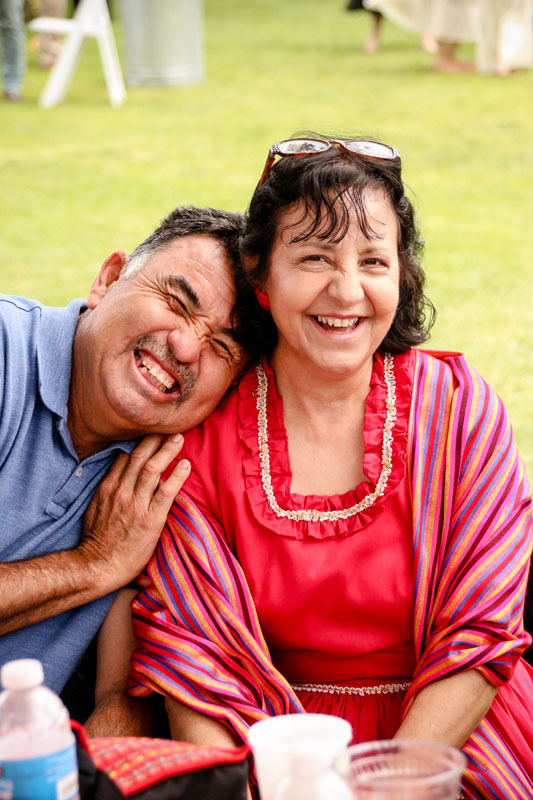 People that know Brenda describe her as outgoing, humorous, caring and always willing to lend a helping hand. 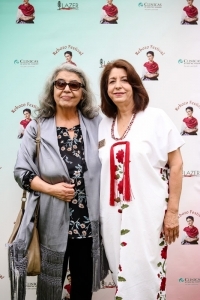 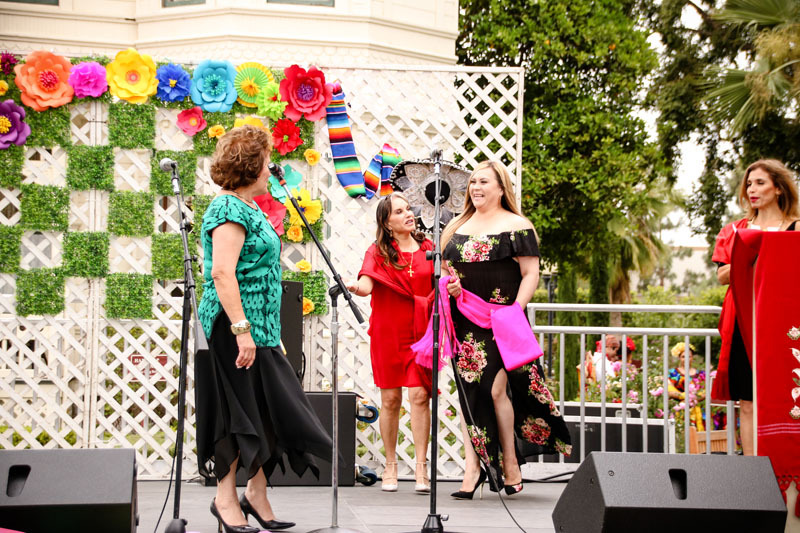 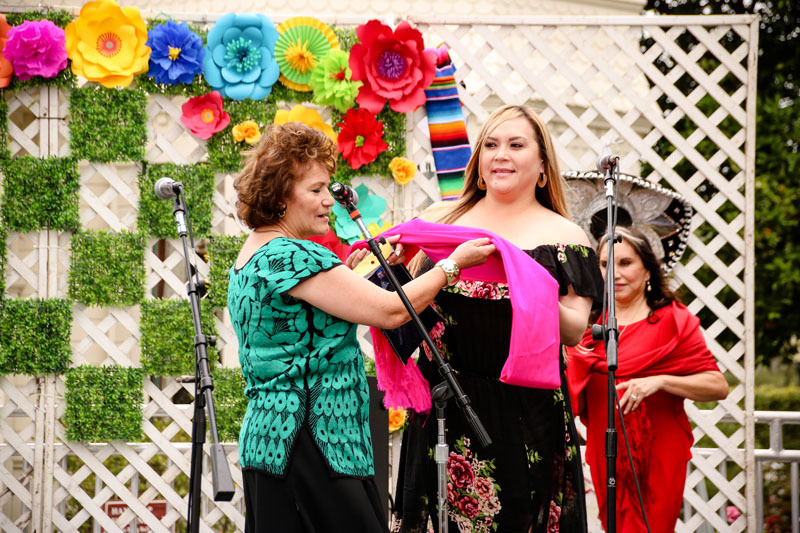 This year Brenda was selected as the Honorary Madrina of the 2018 Rebozo Festival. 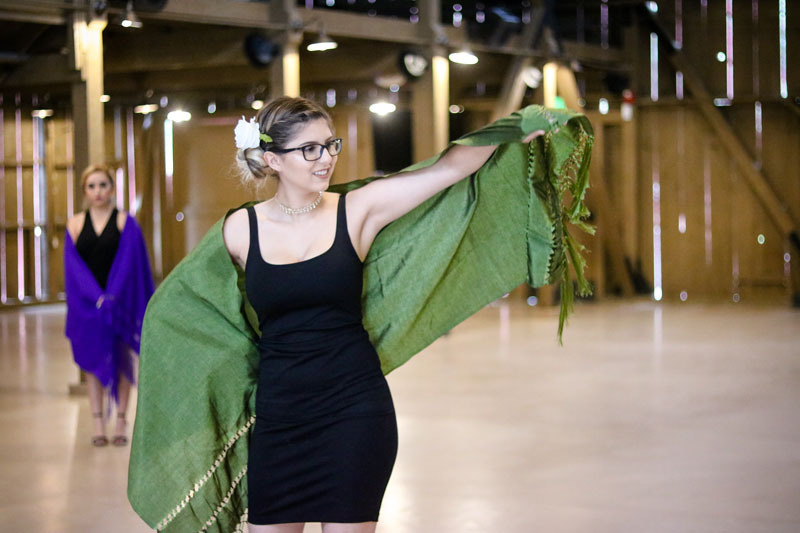 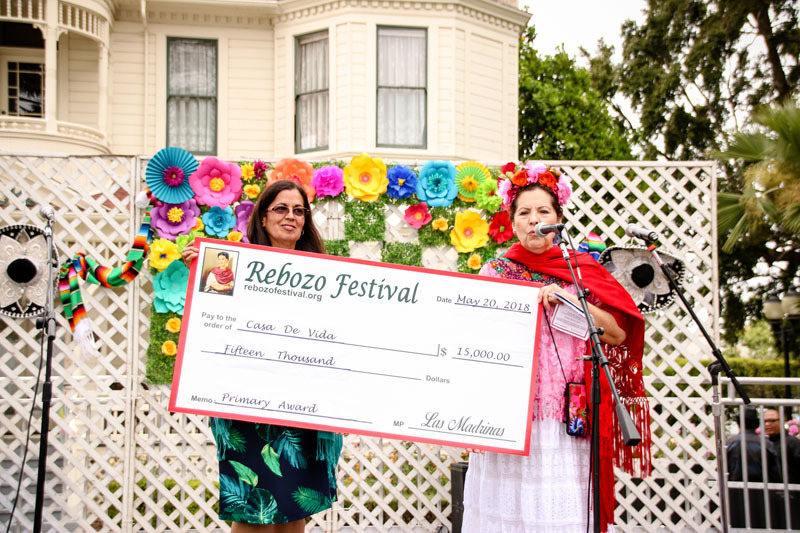 Her unconditional efforts and assistance in helping with the work behind the scenes to make the Rebozo Festival a wonderful event, shows her true commitment to the community and to the Rebozo Festival. 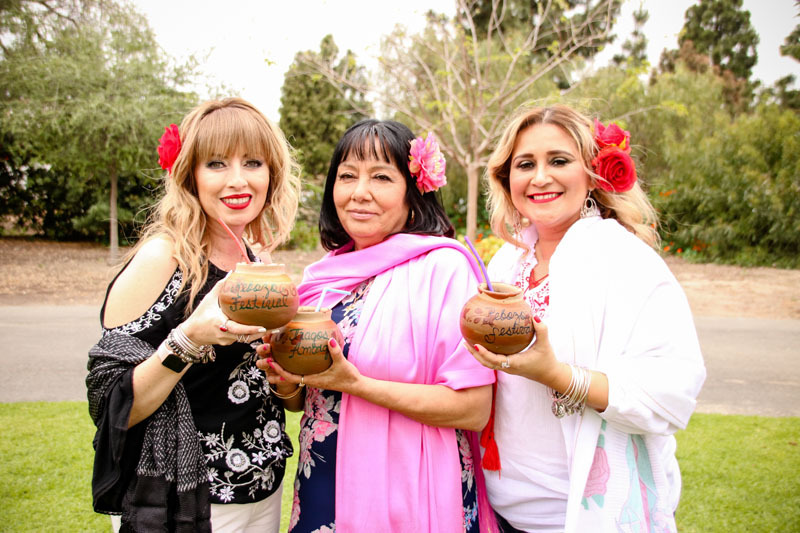 The Madrinas are very fortunate to have met Brenda and know they can always count on her! 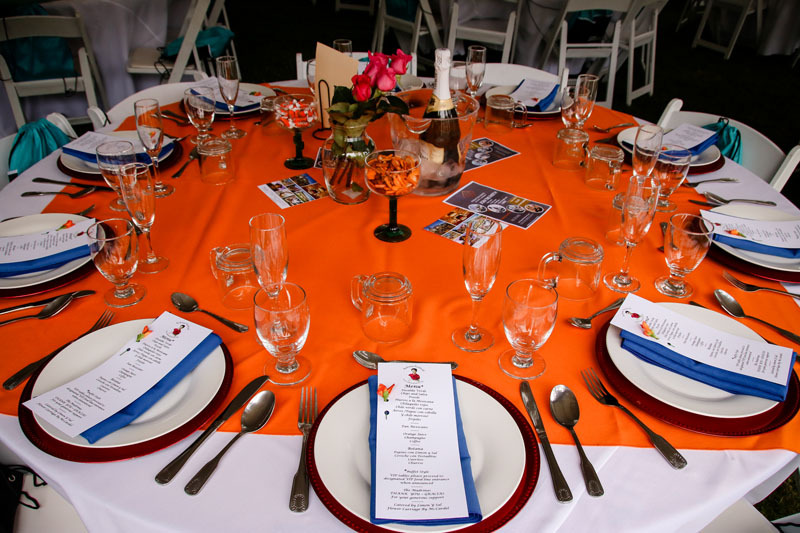 Please see Table Seating Chart. 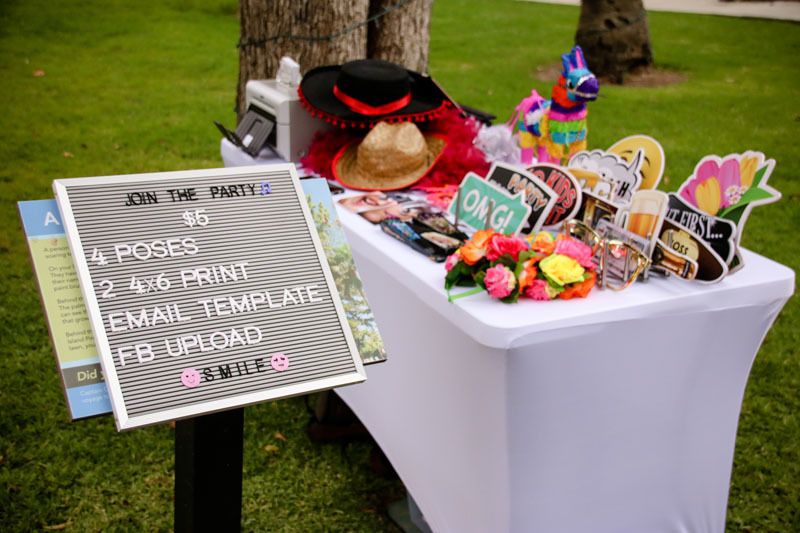 Preferred Tables are prioritized by purchase date. 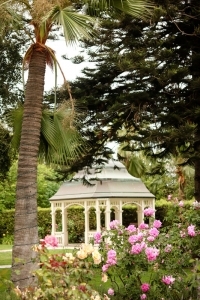 Purchase by mail and save processing fees. 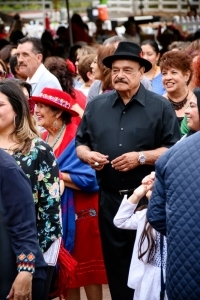 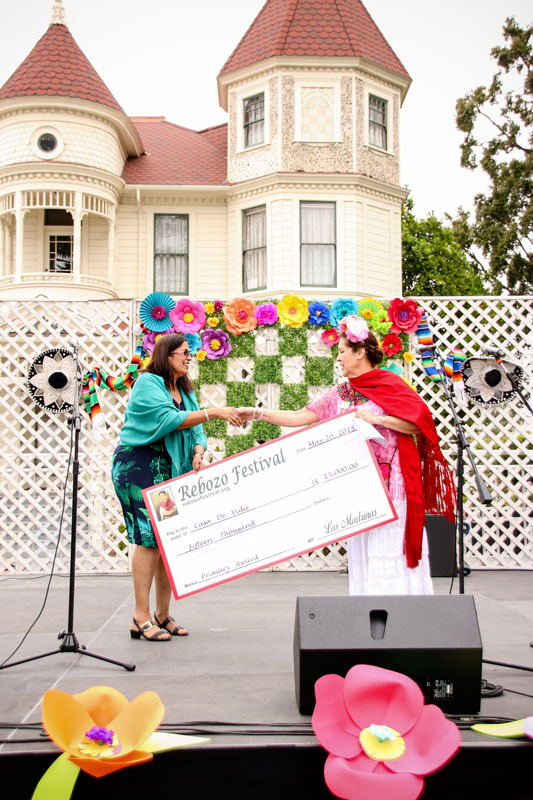 Make Check or Money order payable to Rebozo Festival Inc.
Irma is a third generation Ventura County resident, raised in Camarillo and attended local schools; Oxnard College, Ventura College and University California Santa Barbara. 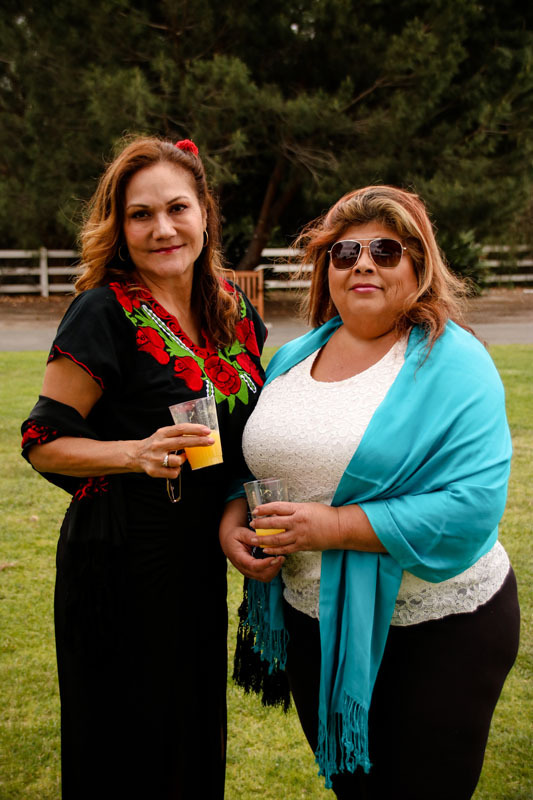 Her father Pete Luna was born in Moorpark and her mother Sally Cervantez was born in Piru. She is married to Dr. Manuel M. Lopez, former longtime Mayor of the City of Oxnard and presently President of the Oxnard Harbor Commission. 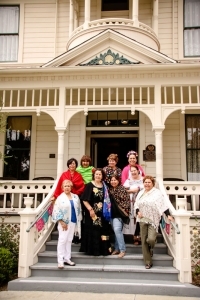 She has four daughters, Yvonne, Lisa, Marisa and Tiffany, nine grandchildren and eight great grandchildren. She was a 24 year California State employee, working for the Employment Development Department and Senator Gary K. Hart. 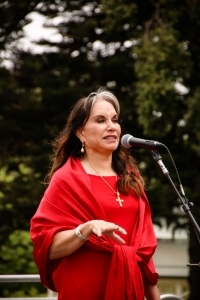 She has been a member of many organizations and on the Board of many Ventura County non-profits; The Salvation Army, Ventura County Women’s Political Caucus, Tres Condados Girl Scout Council, El Concilio, Oxnard-Ocotlan Sister City Committee, United Way, Oxnard Performing Arts Center Foundation, Oxnard College Foundation Board, LULAC and the Oxnard Elementary School Personnel Commission. 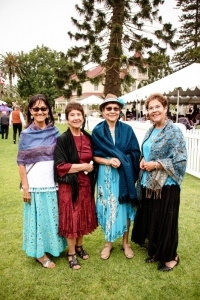 She is a founding member of; VCCF Women’s Legacy Fund, Destino Legacy Fund and CSUCI Presidents Circle. 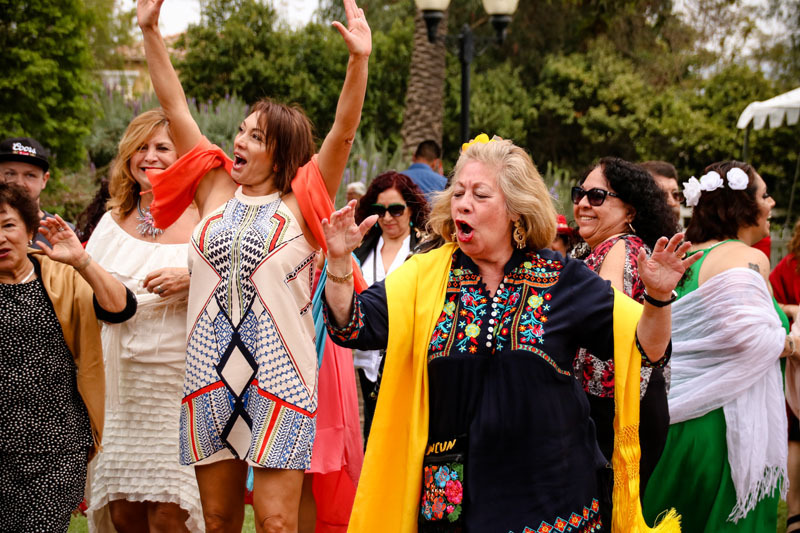 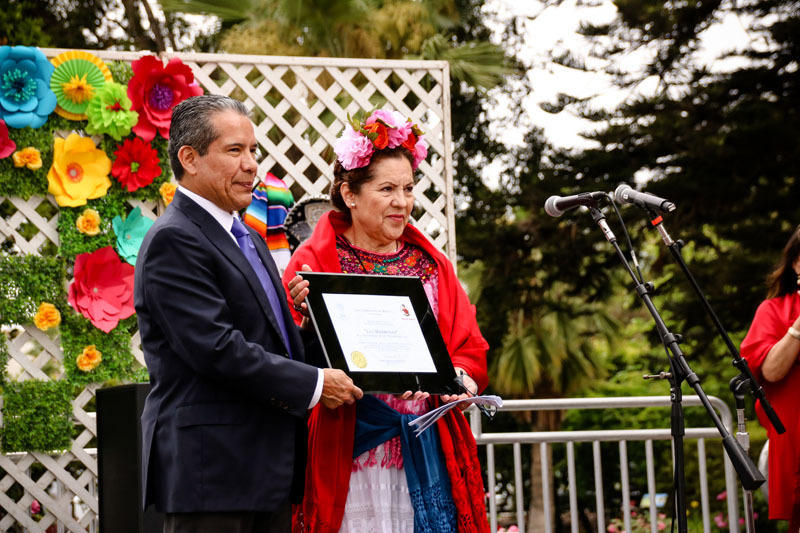 She has been recognized by the Girl Scouts as a Woman of Distinction, Oxnard Woman of the Year, Cause action Fund Lifetime Achievement Award and the Mexican-American Bar Association Justice Award. 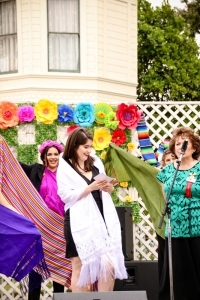 She was recognized as the 2015 Woman of the Year by Senator Hanna Beth-Jackson. 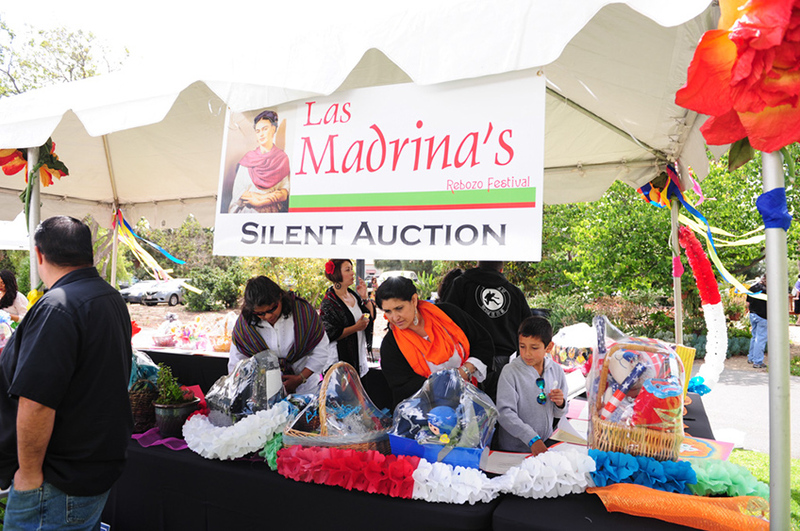 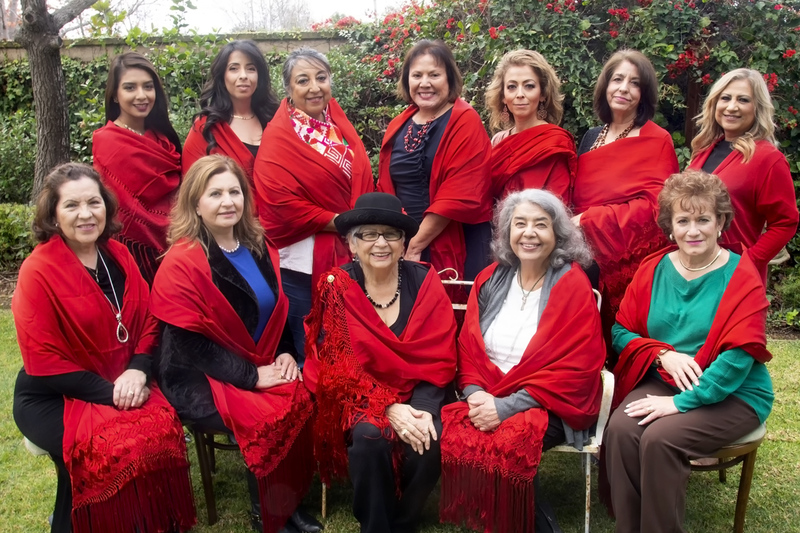 “My proudest achievement has been as founding Madrina of the REBOZO FESTIVAL. 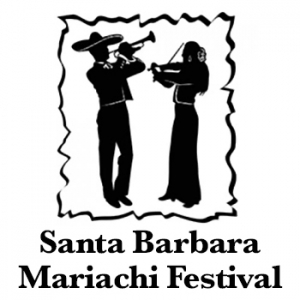 The first Festival was held in 2005. 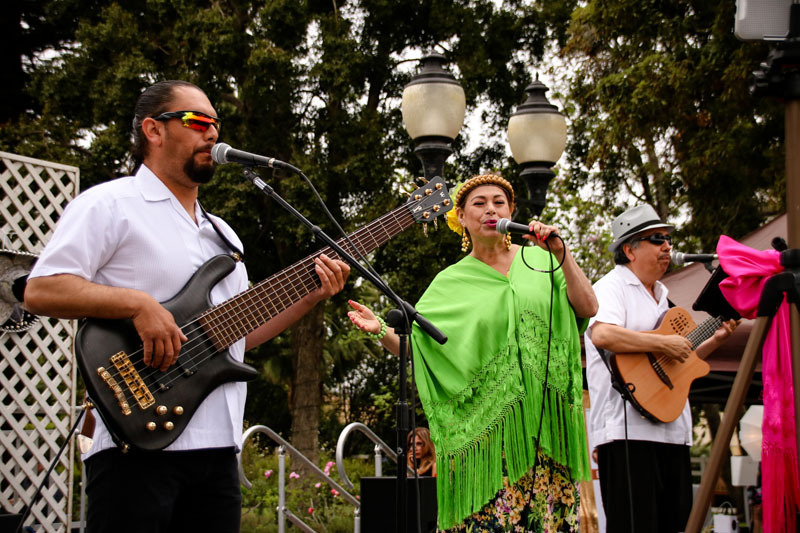 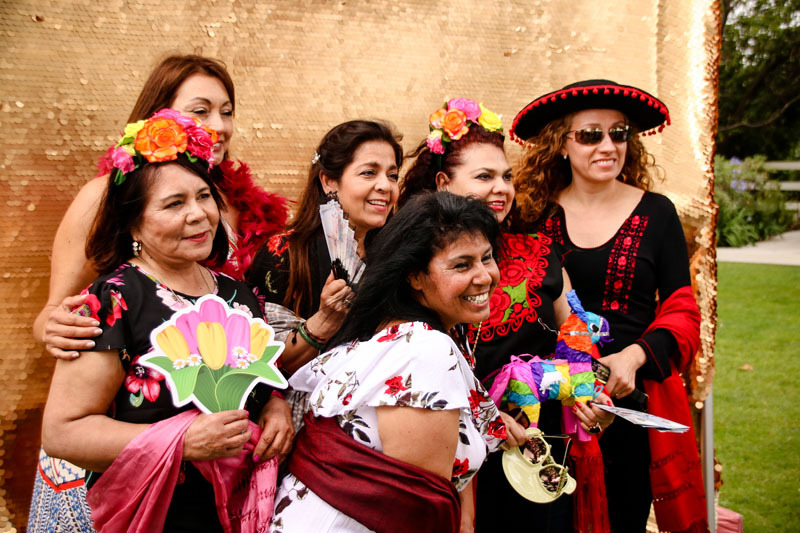 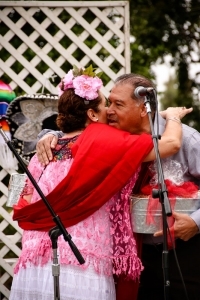 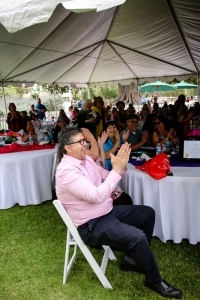 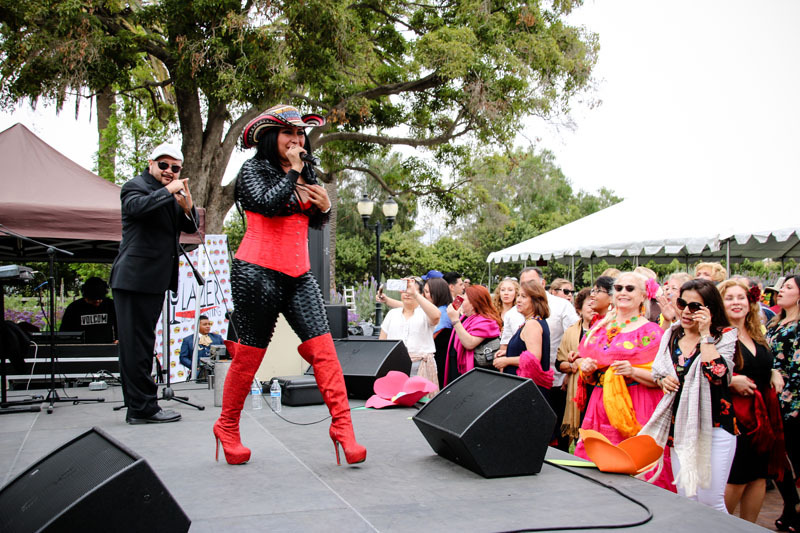 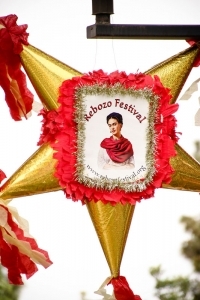 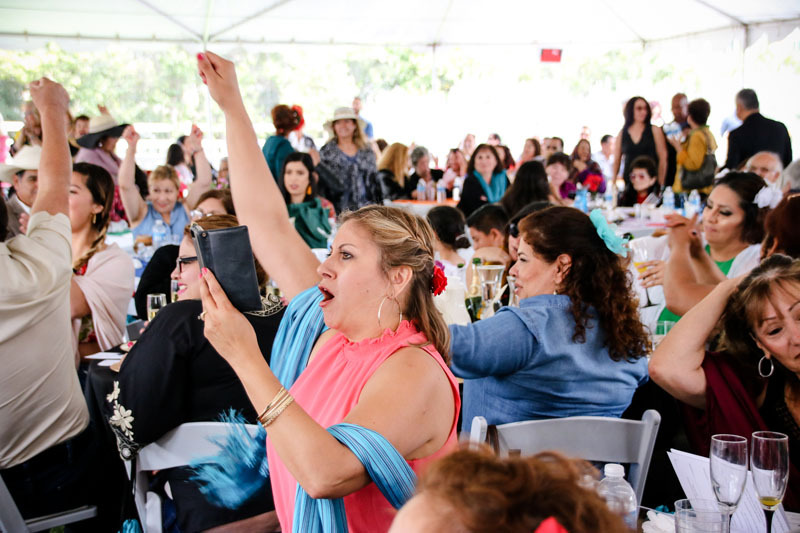 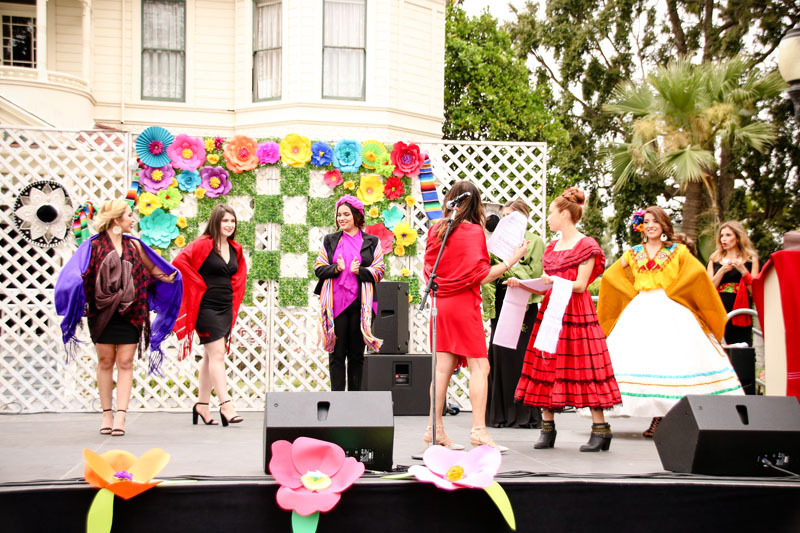 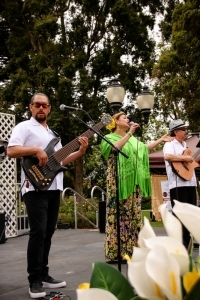 The 12th Annual Rebozo Festival will be celebrated in 2016. 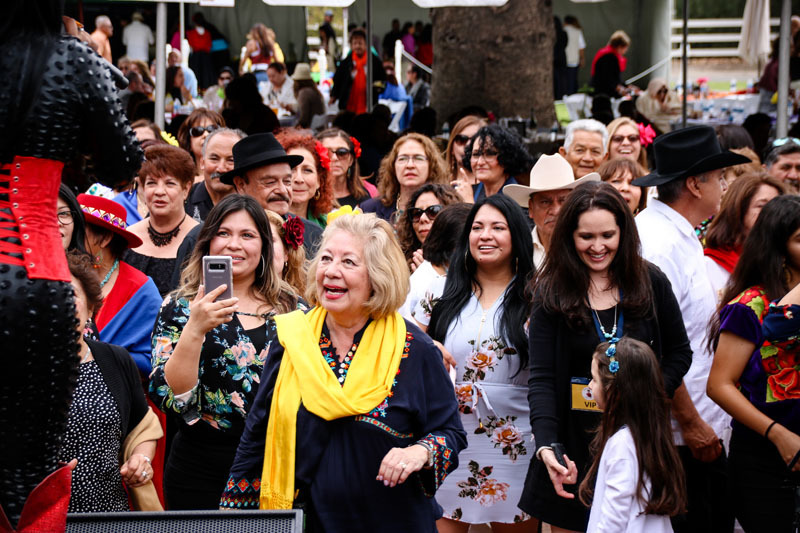 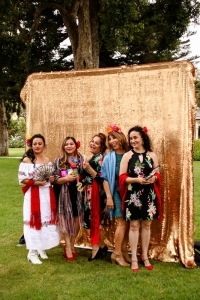 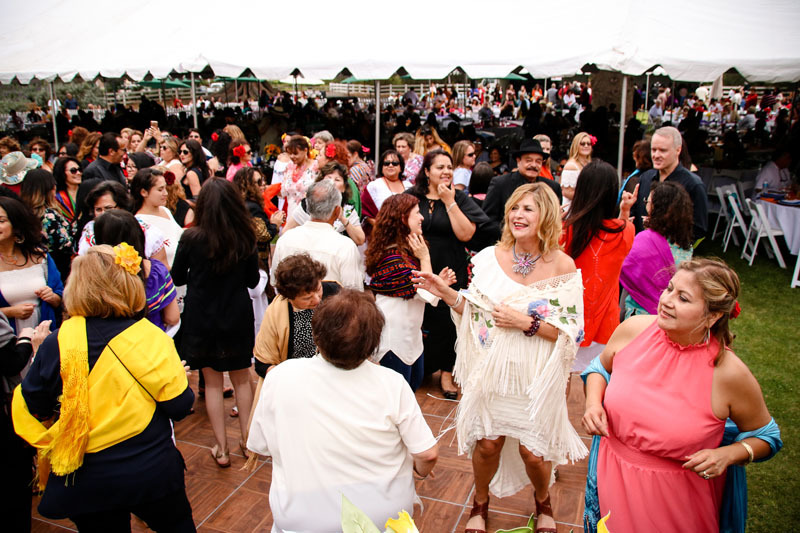 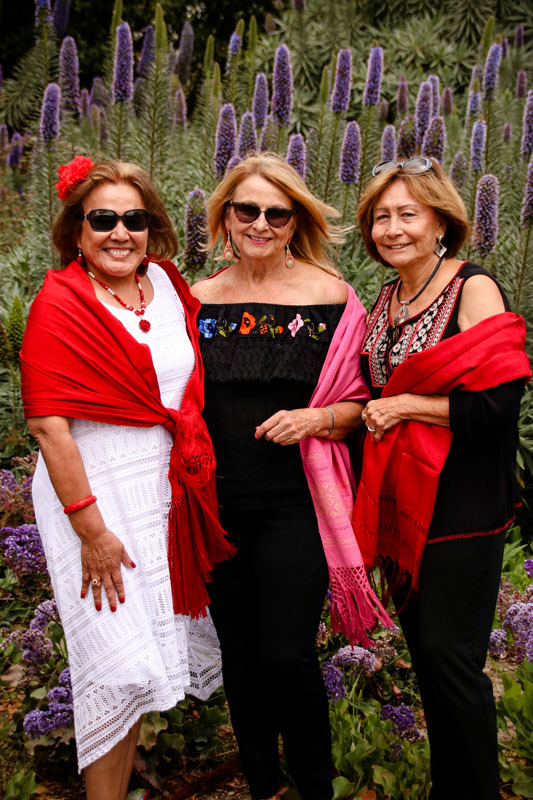 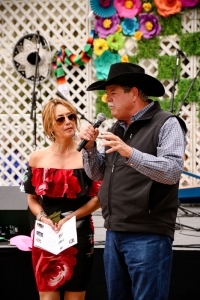 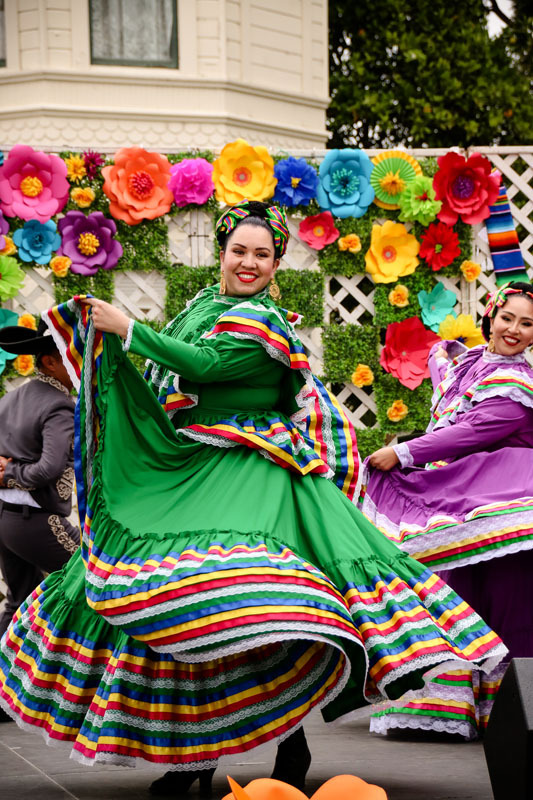 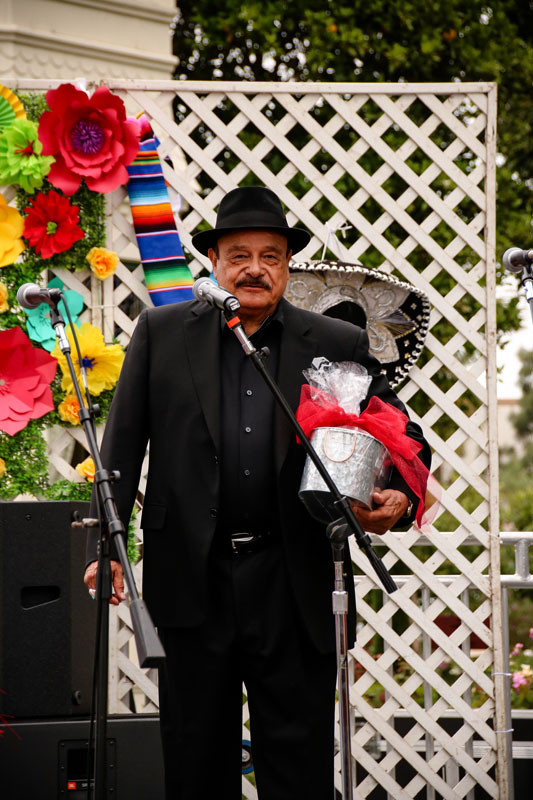 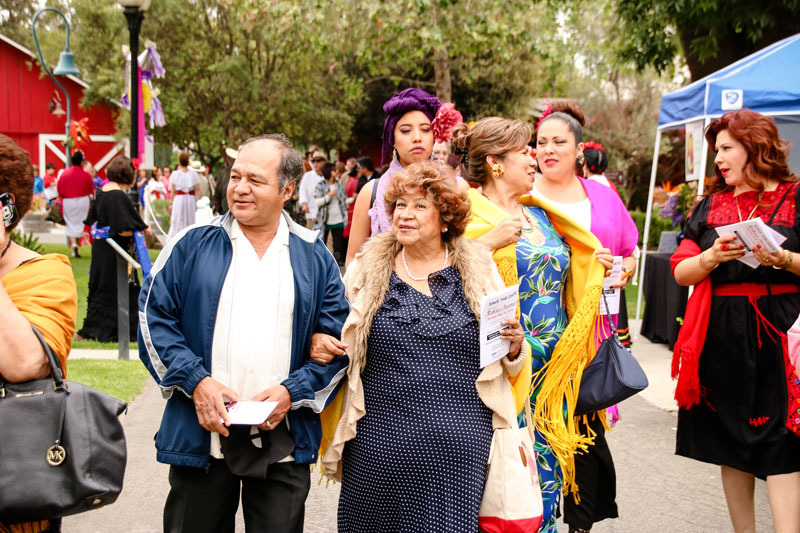 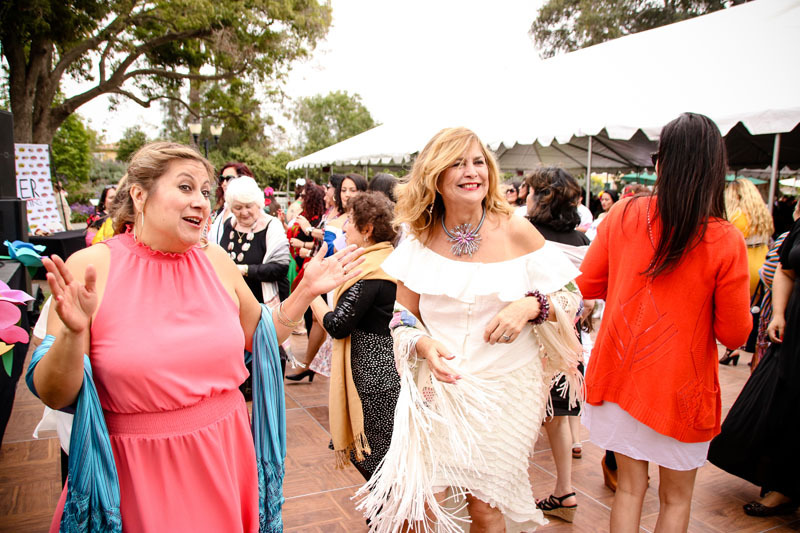 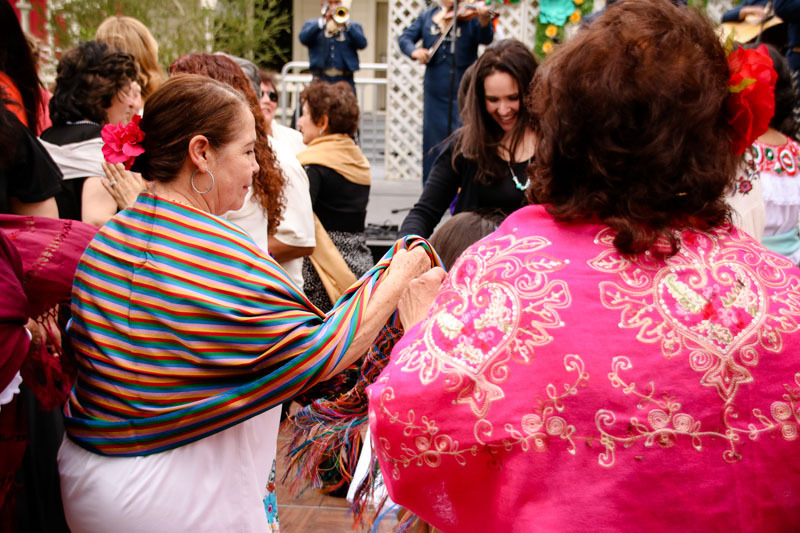 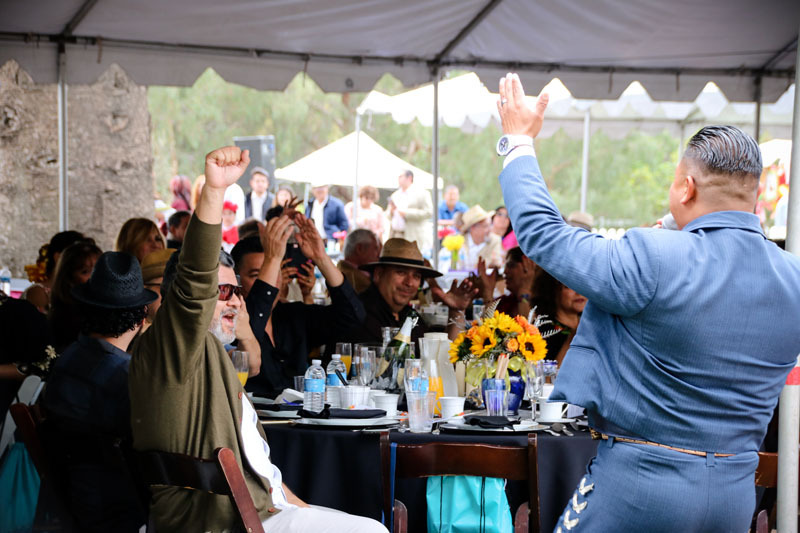 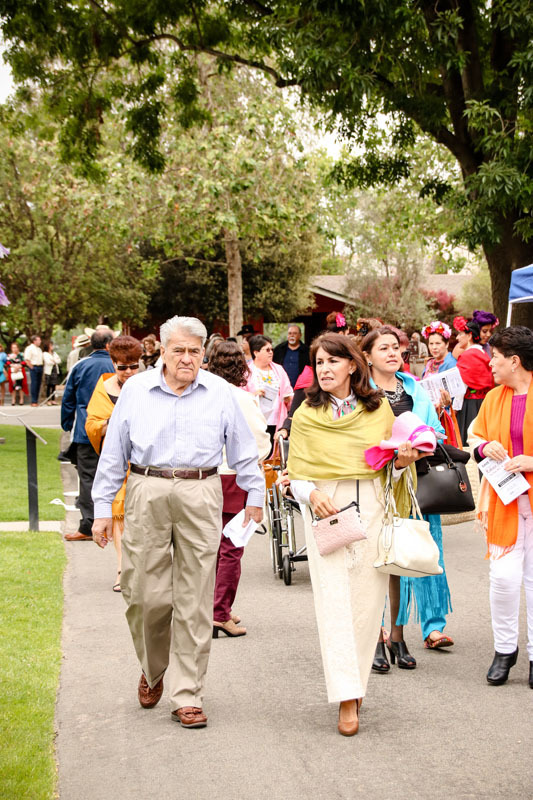 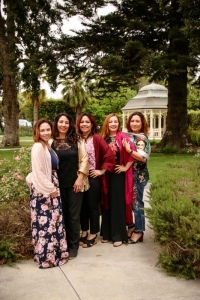 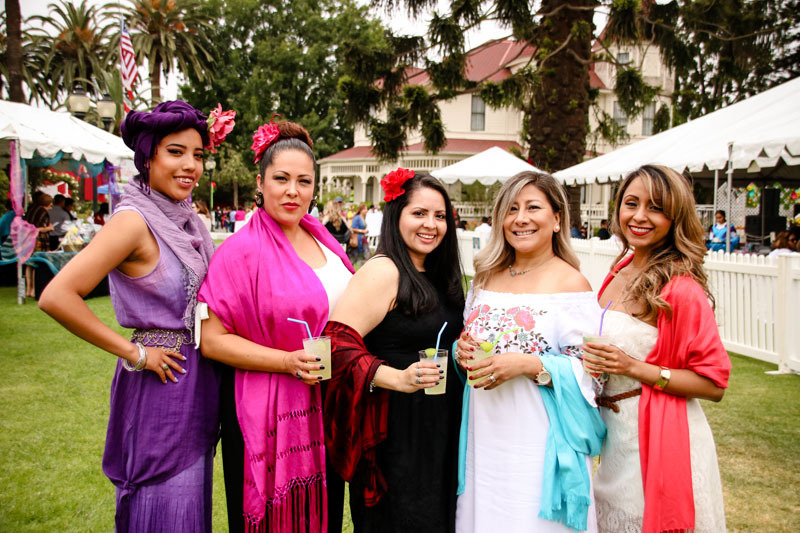 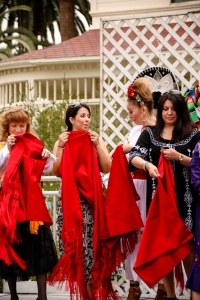 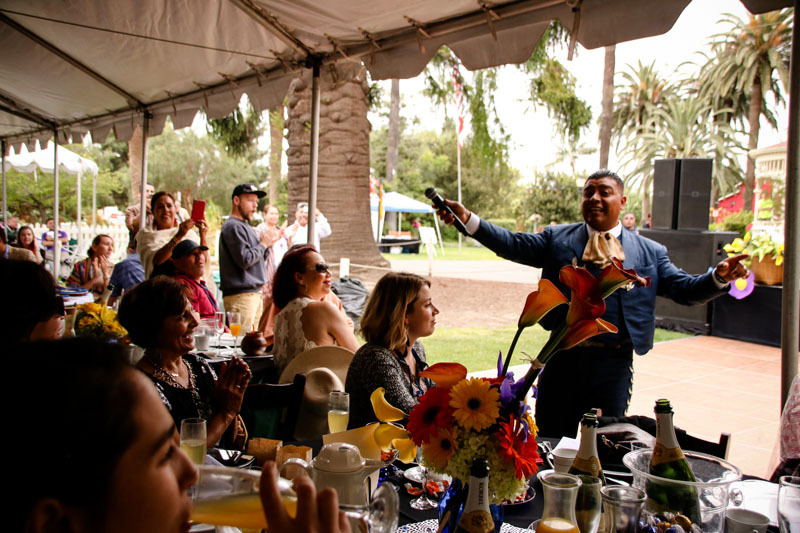 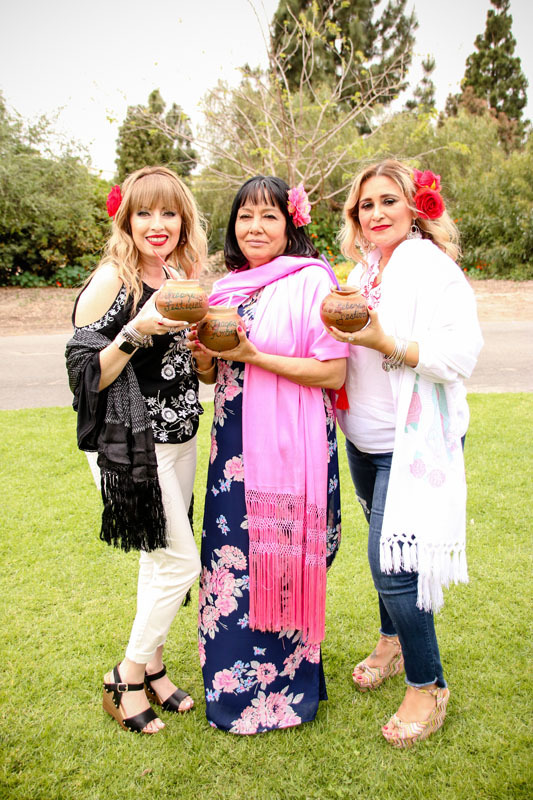 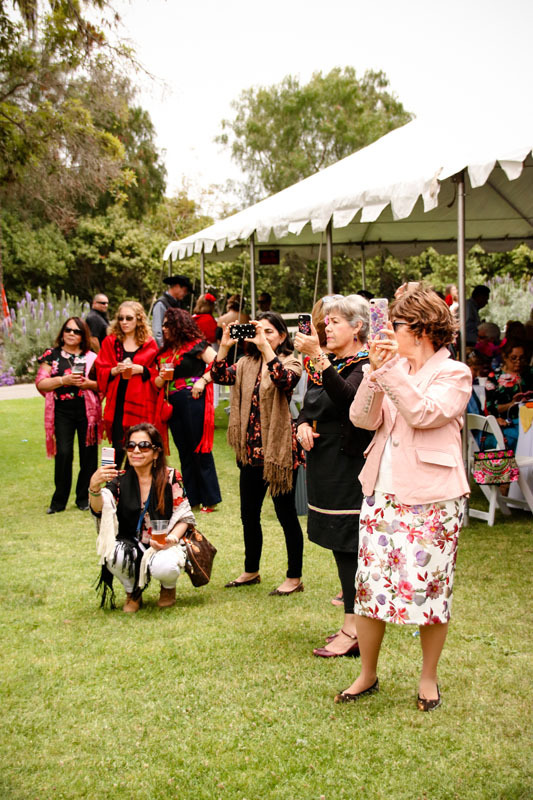 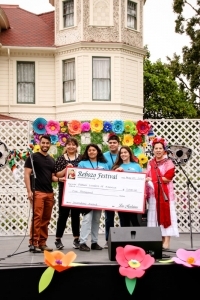 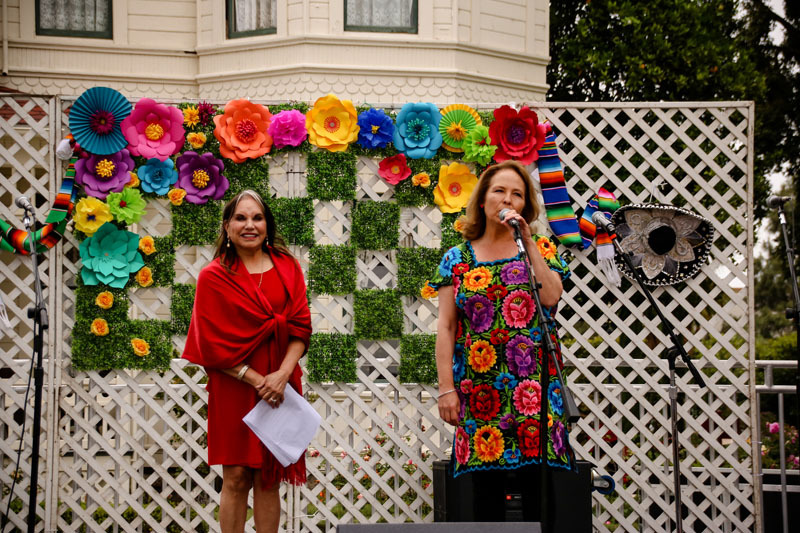 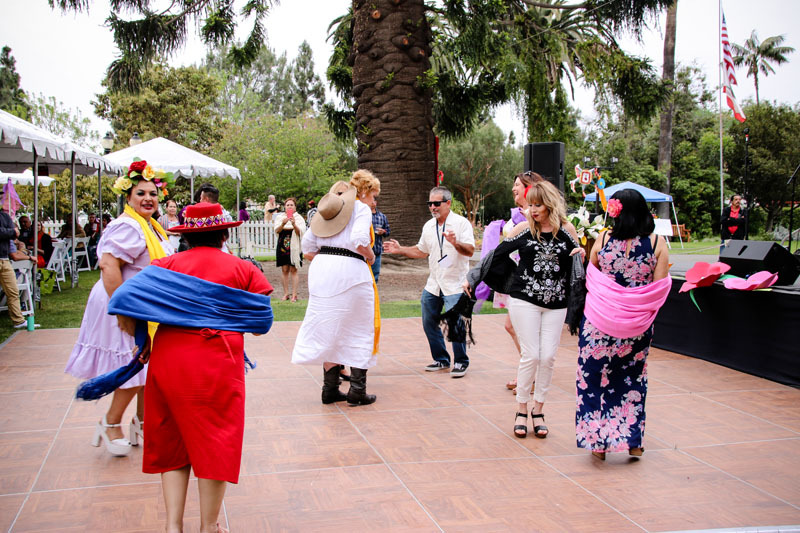 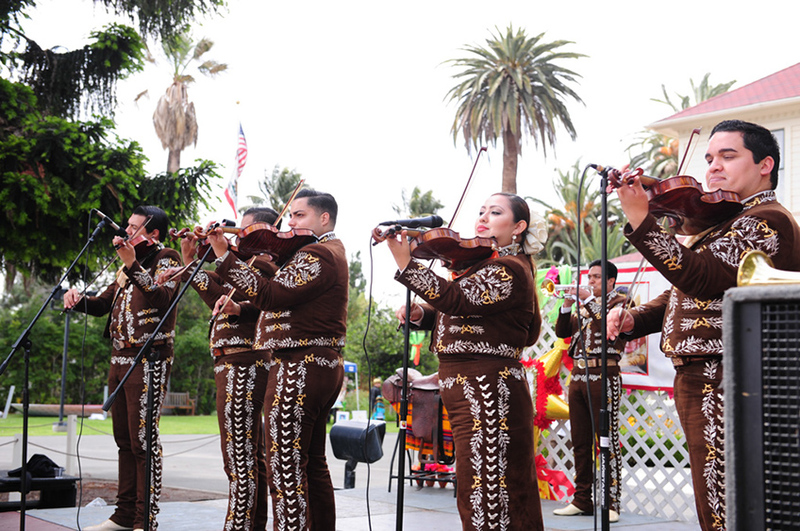 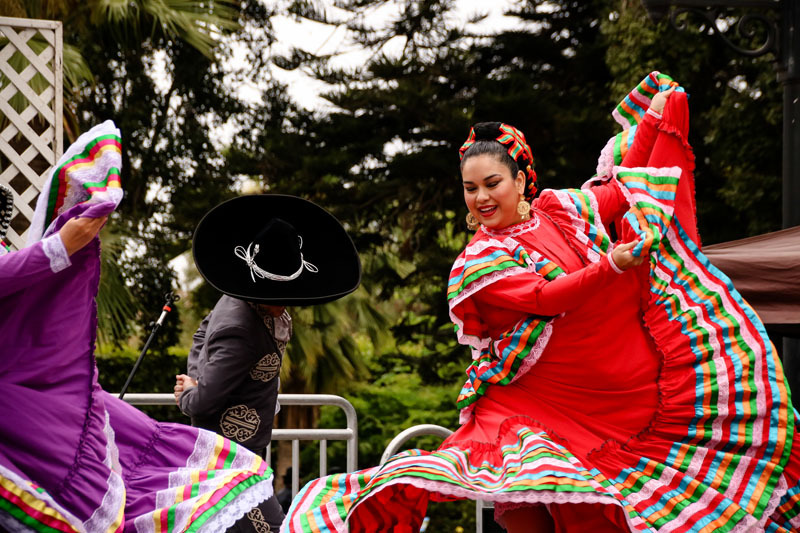 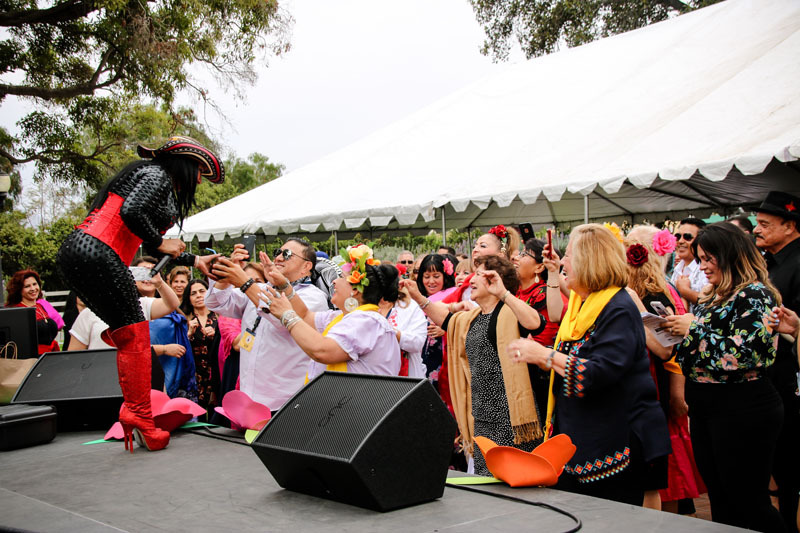 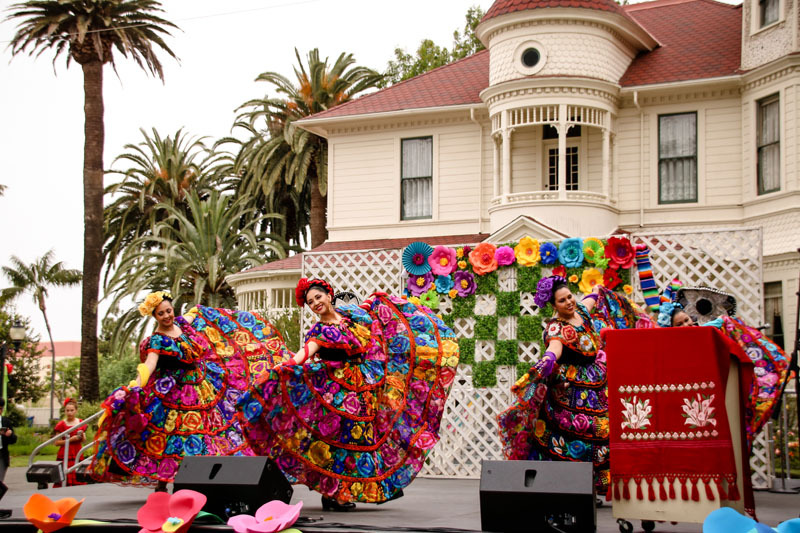 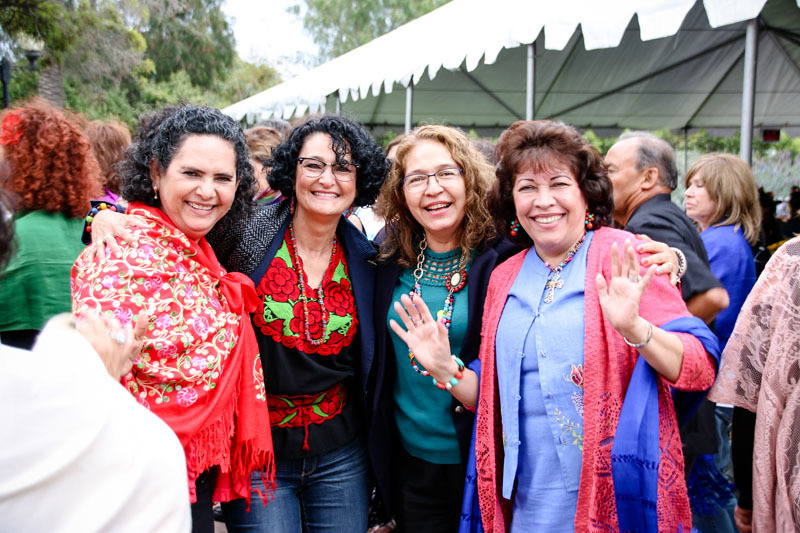 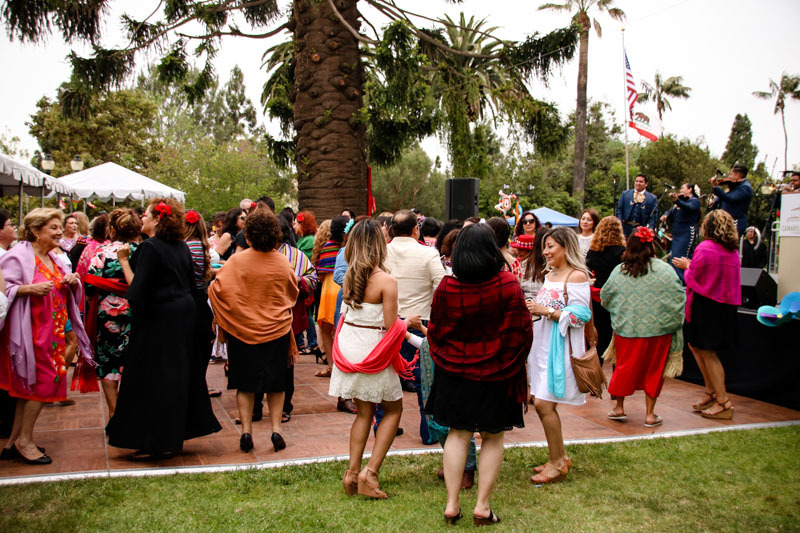 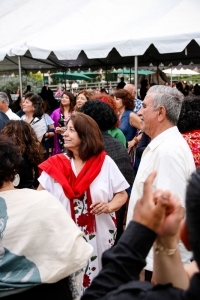 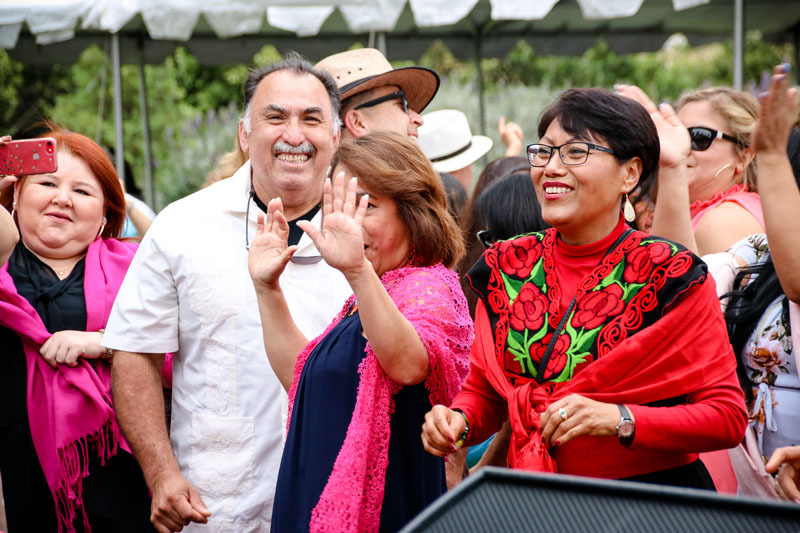 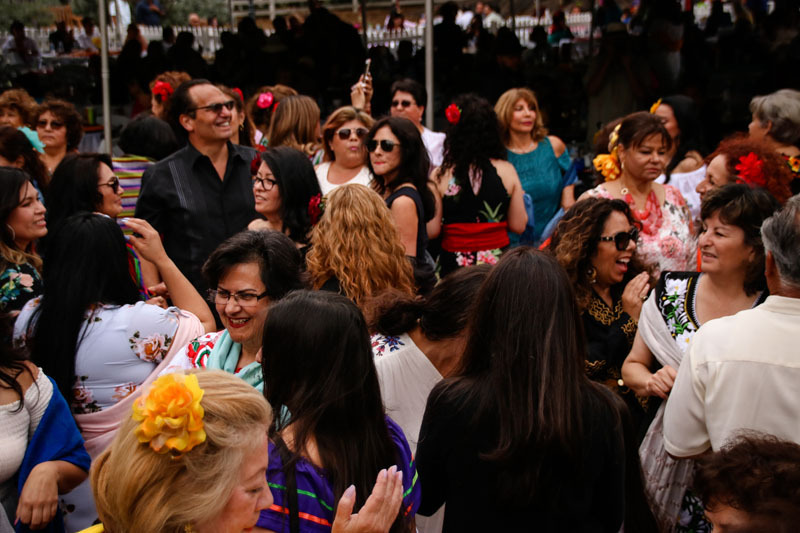 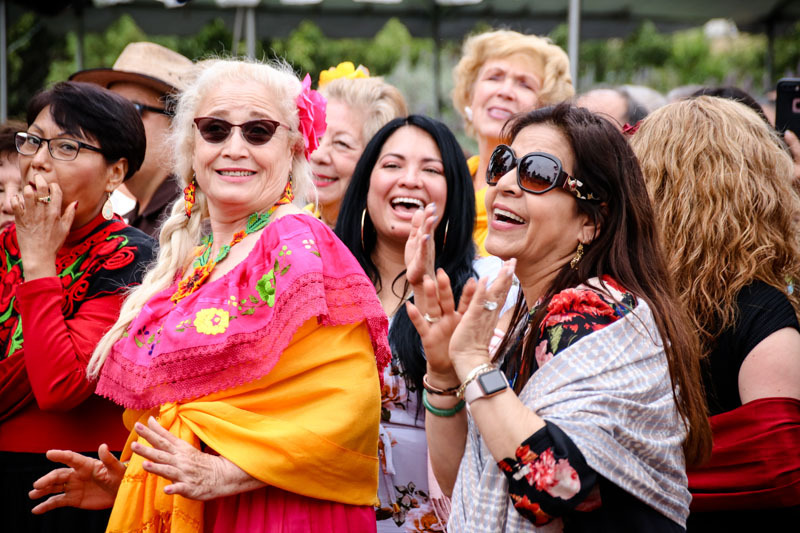 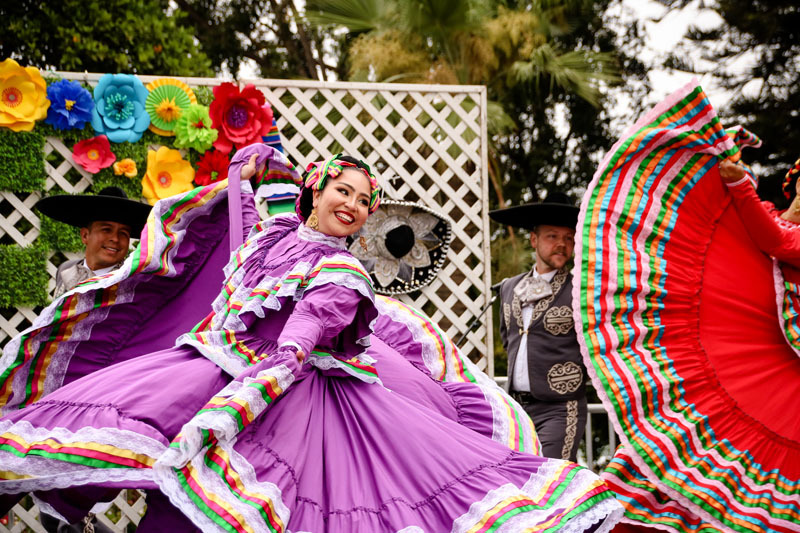 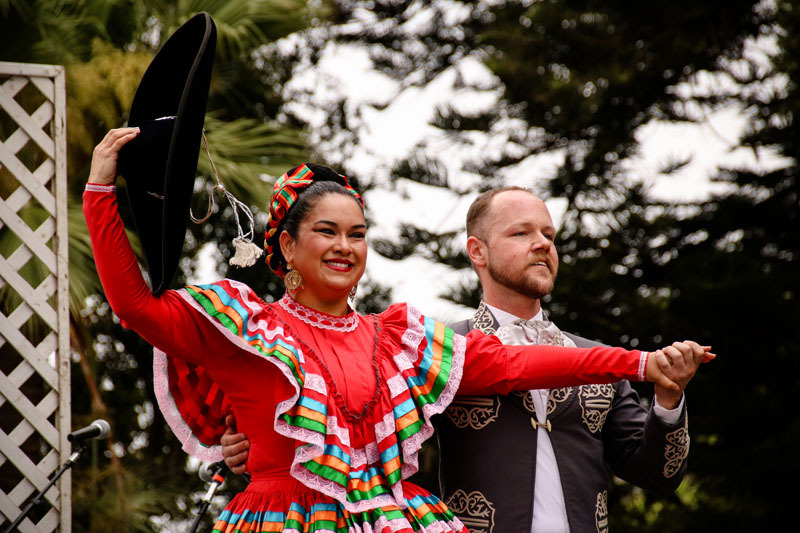 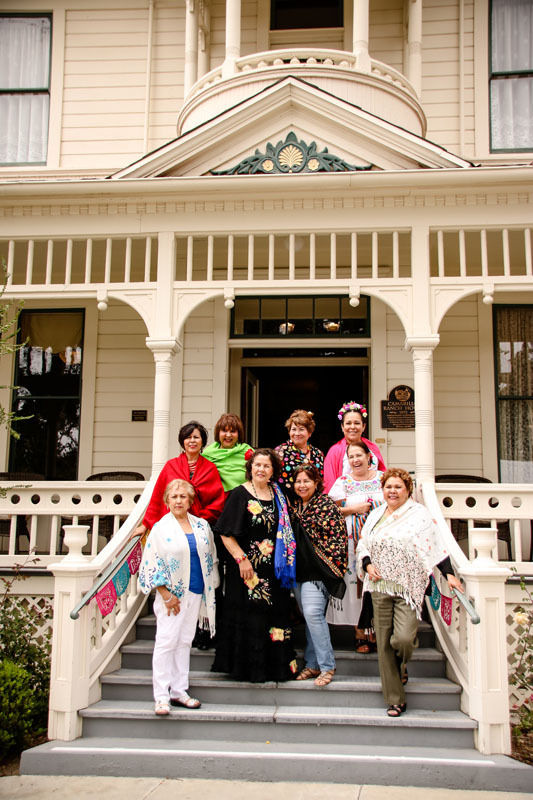 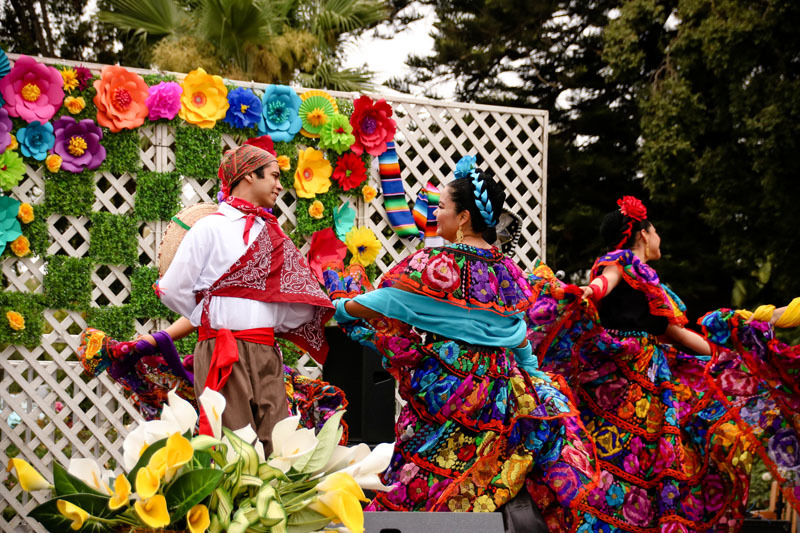 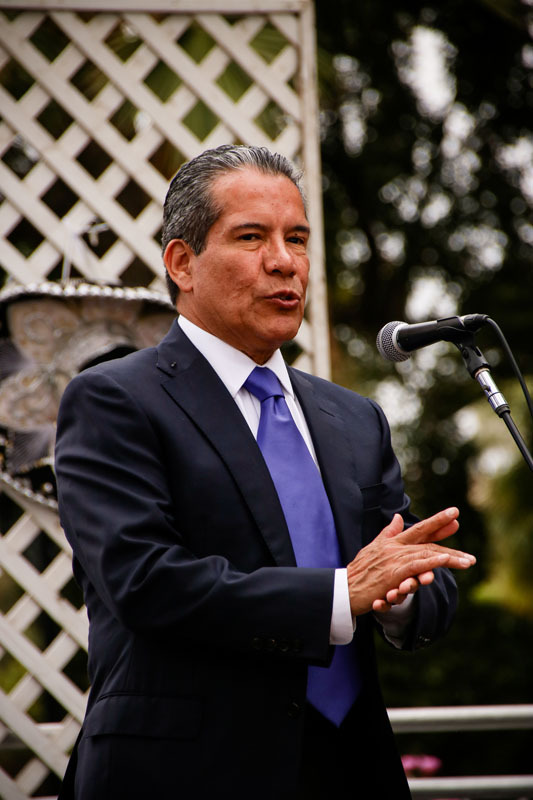 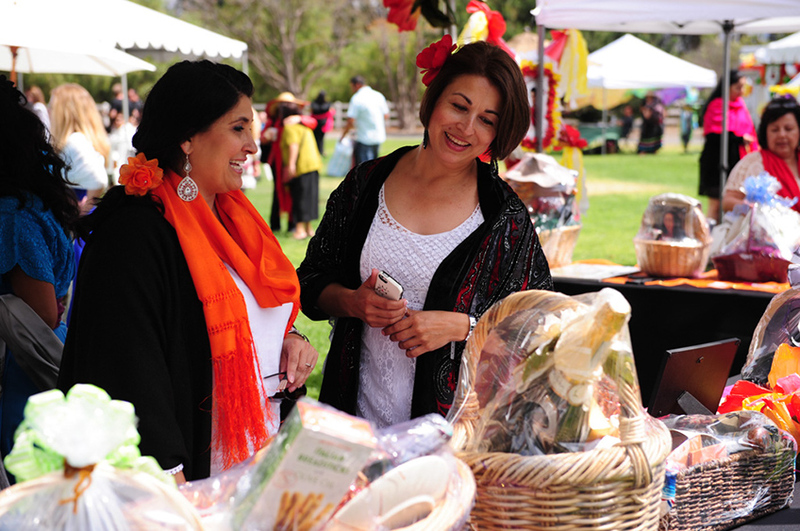 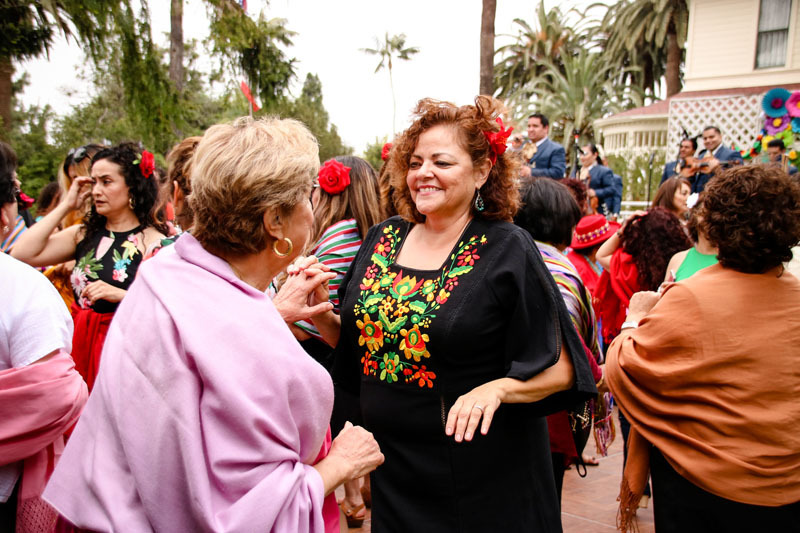 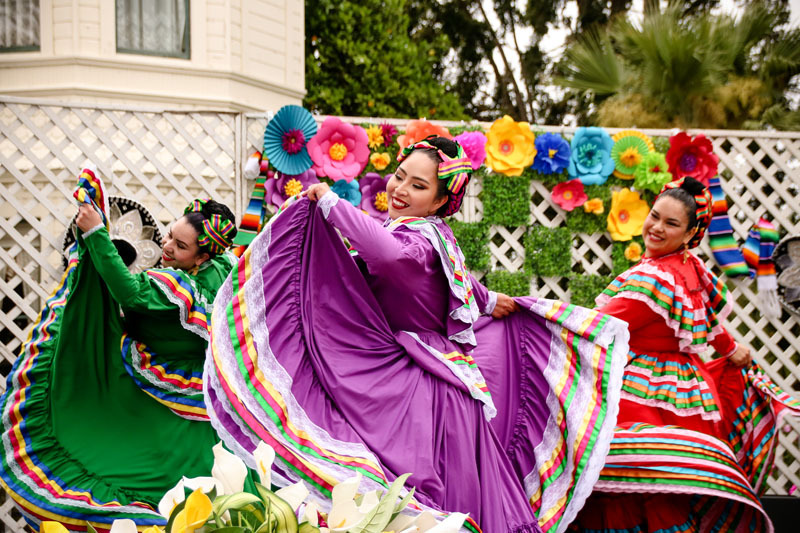 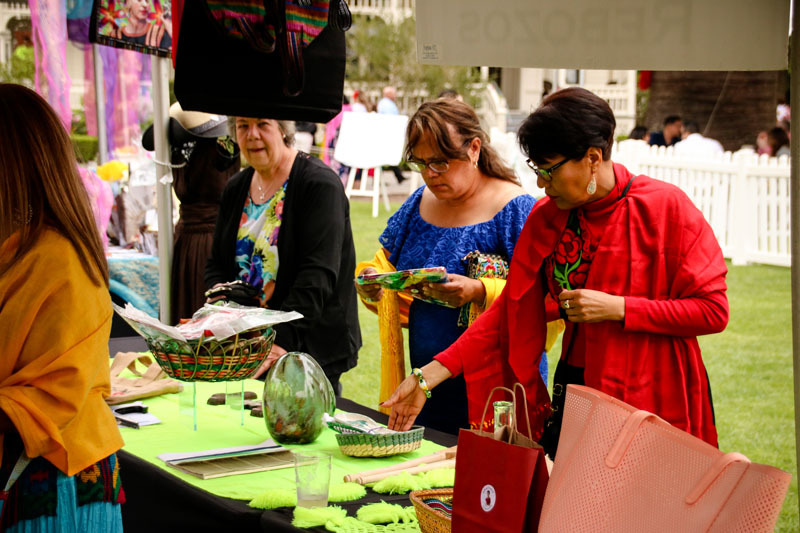 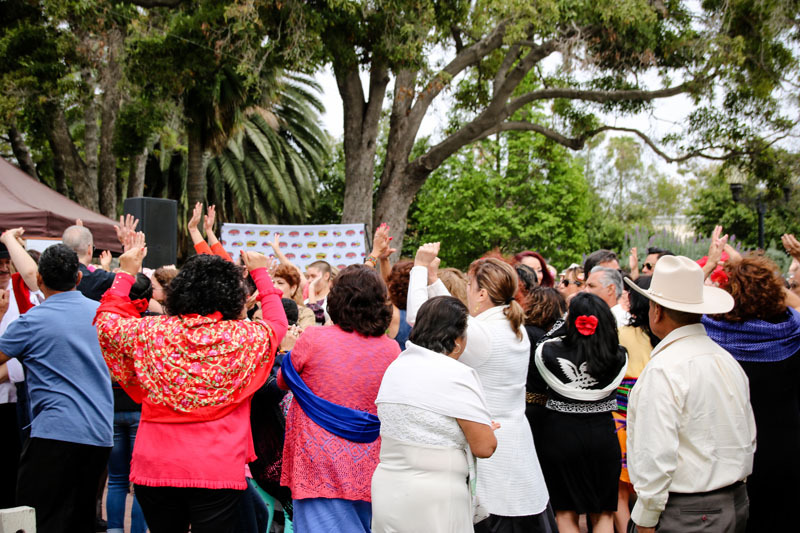 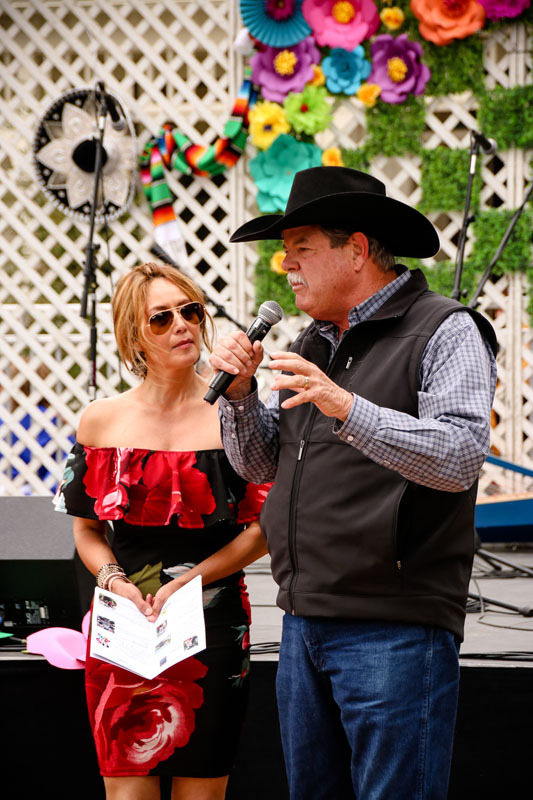 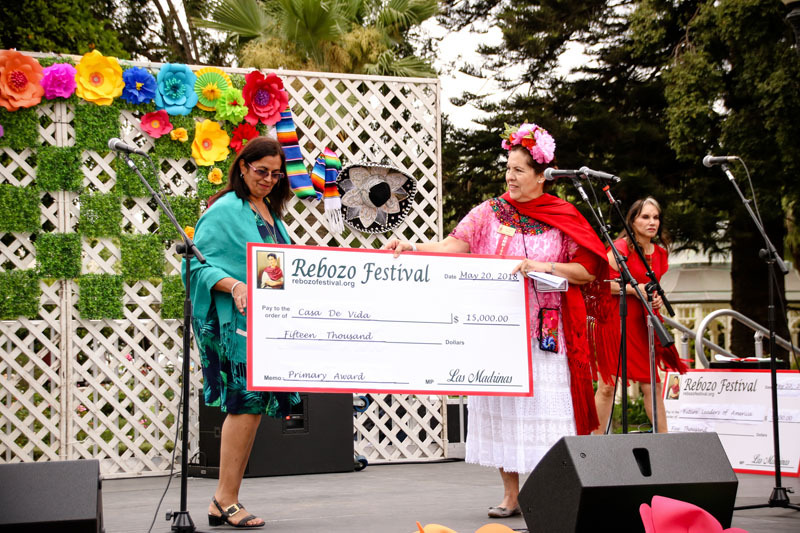 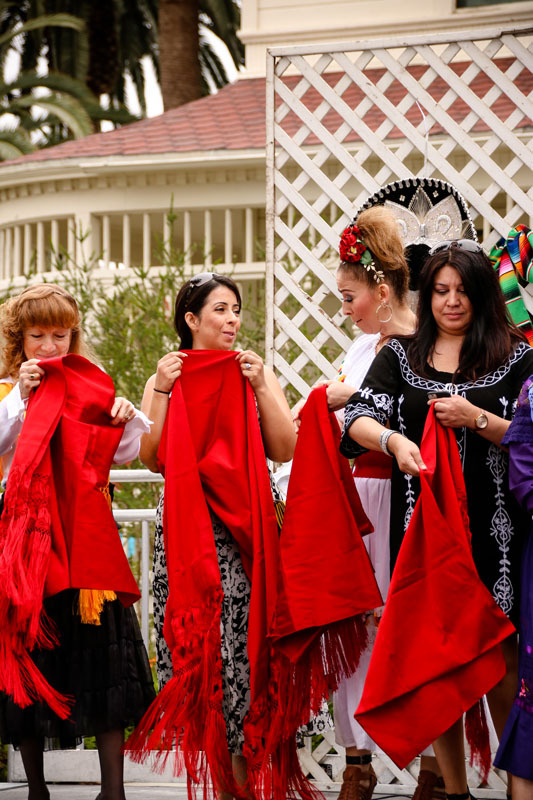 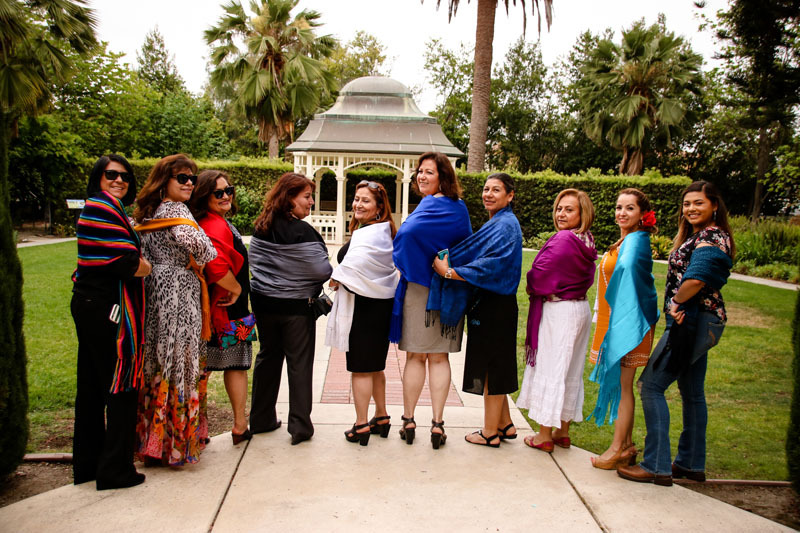 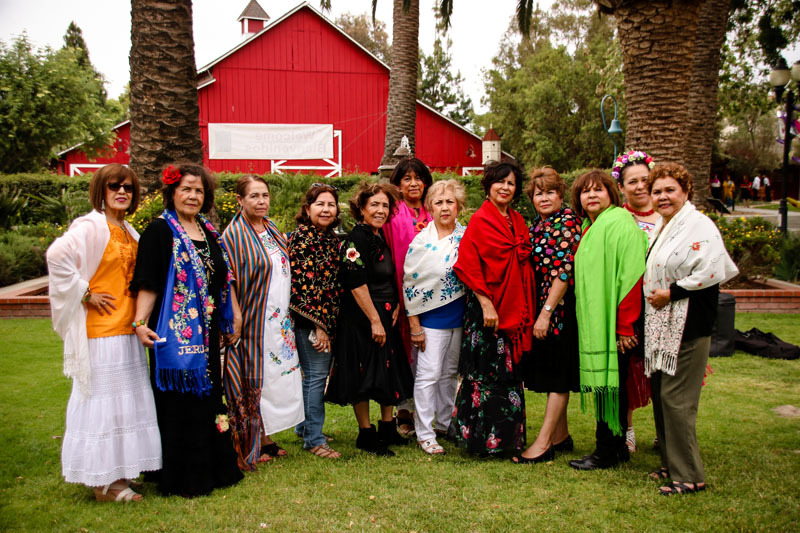 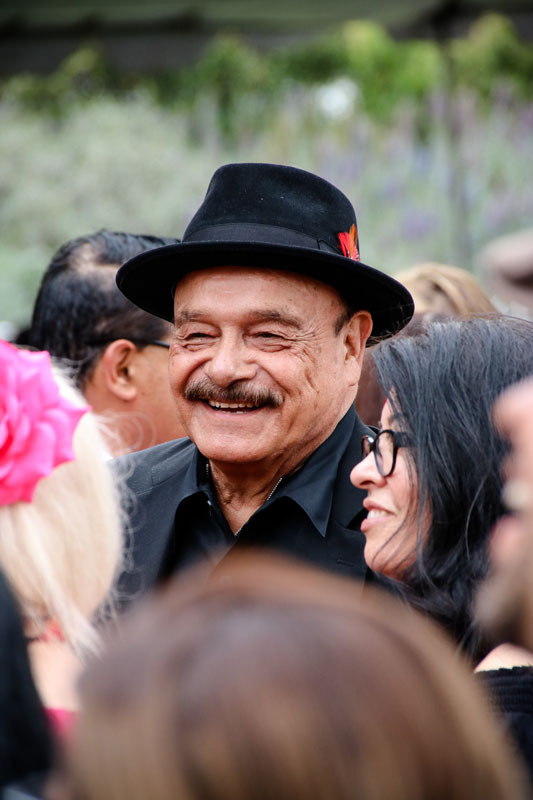 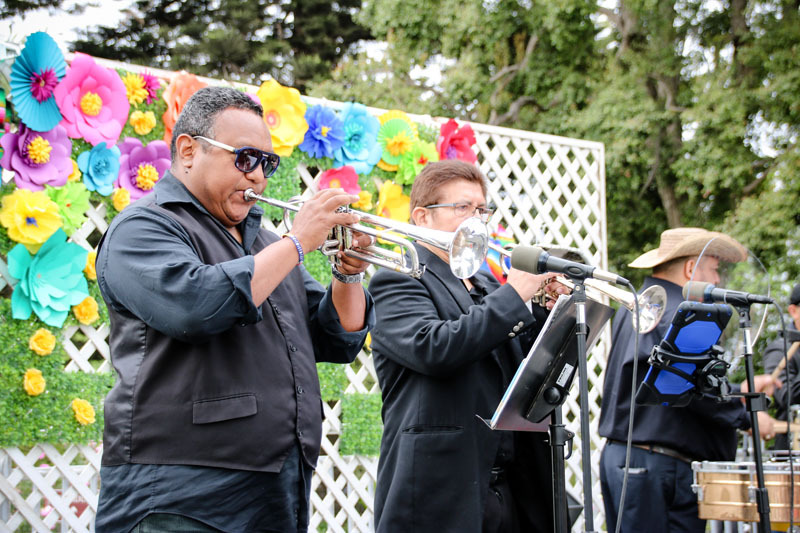 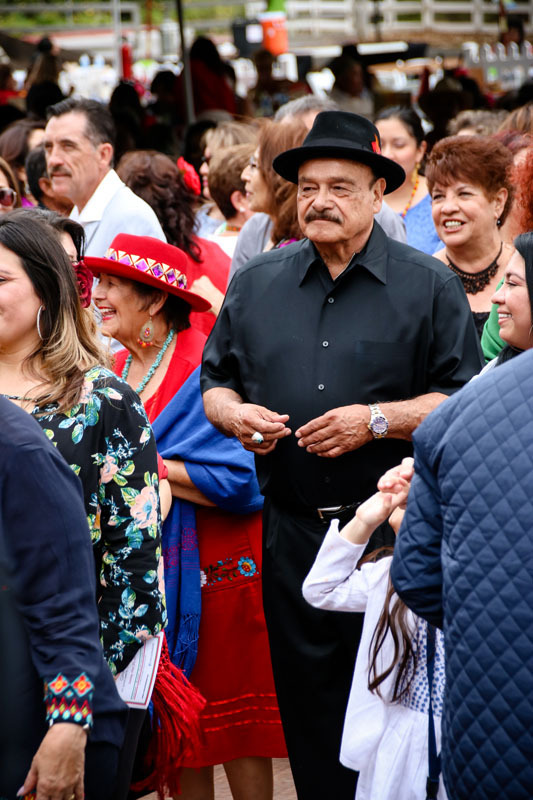 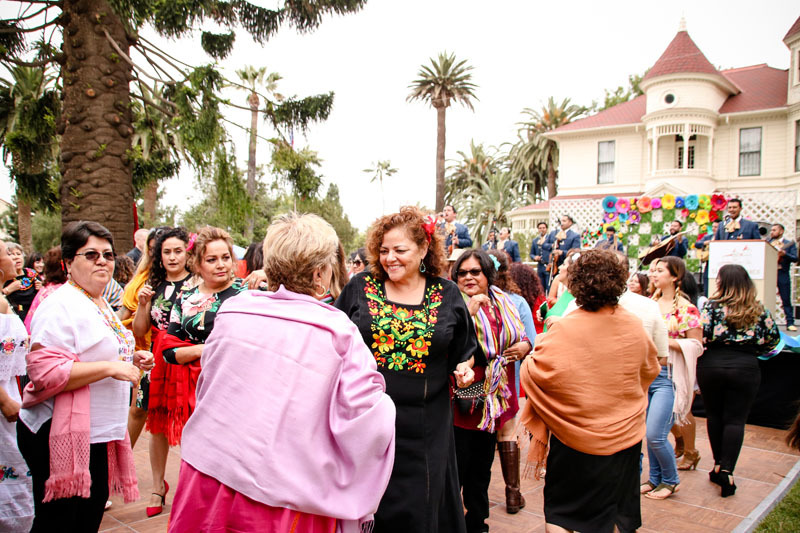 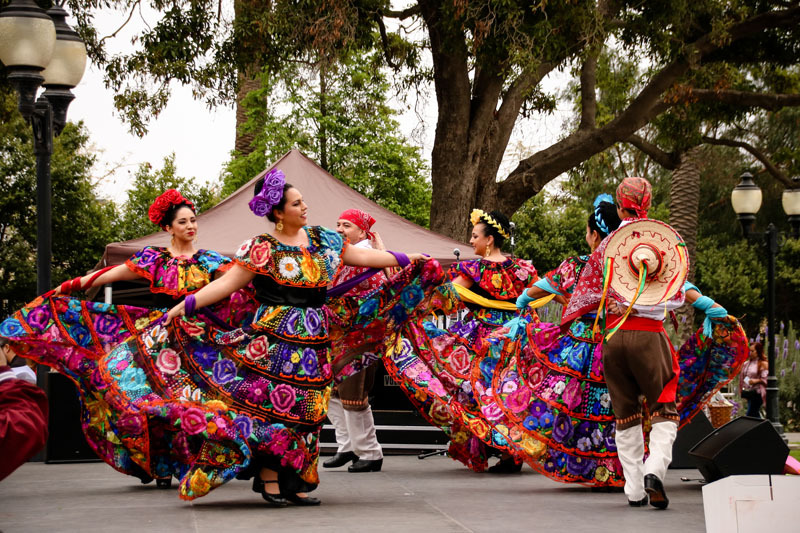 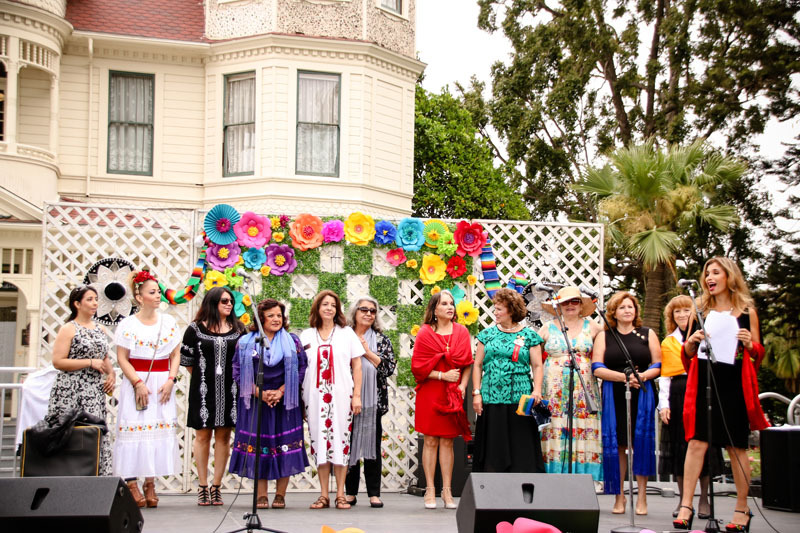 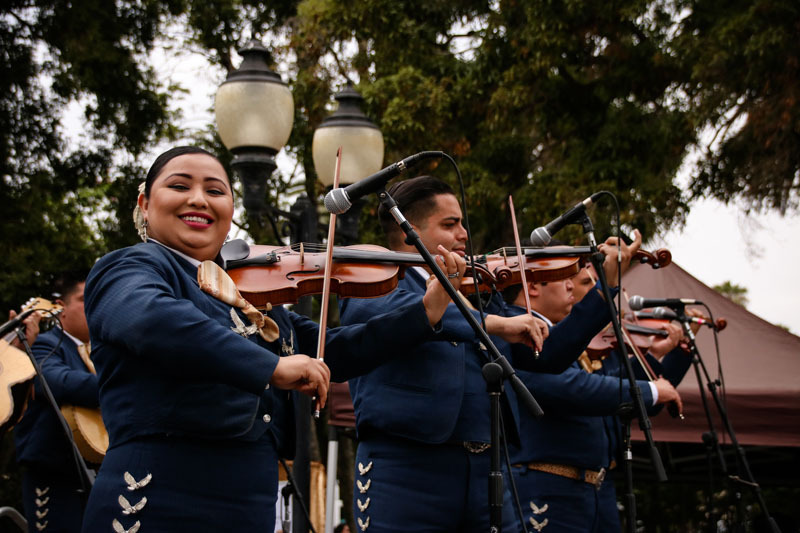 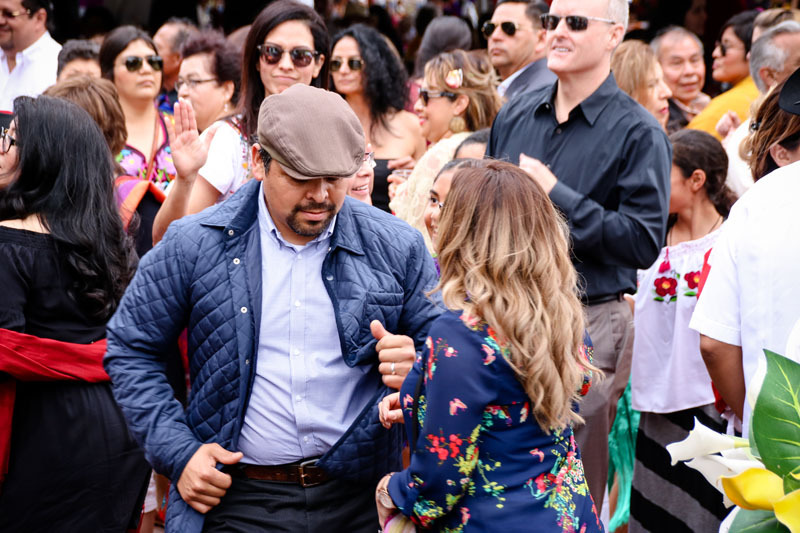 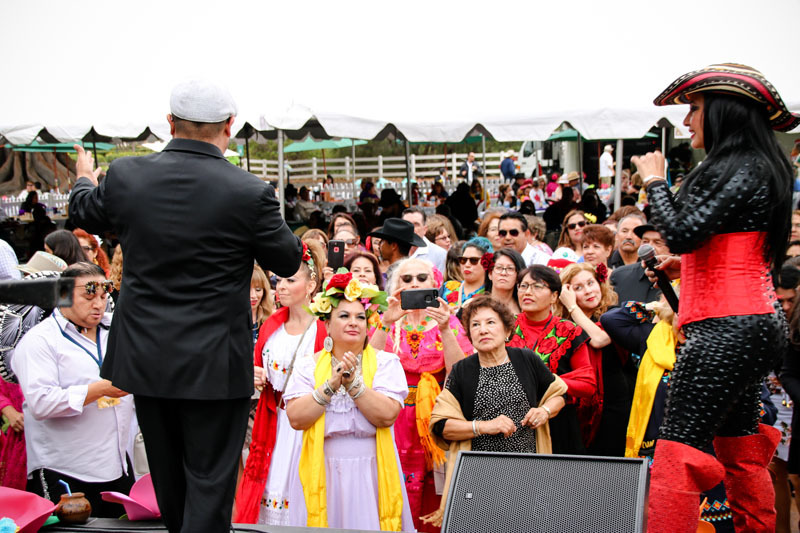 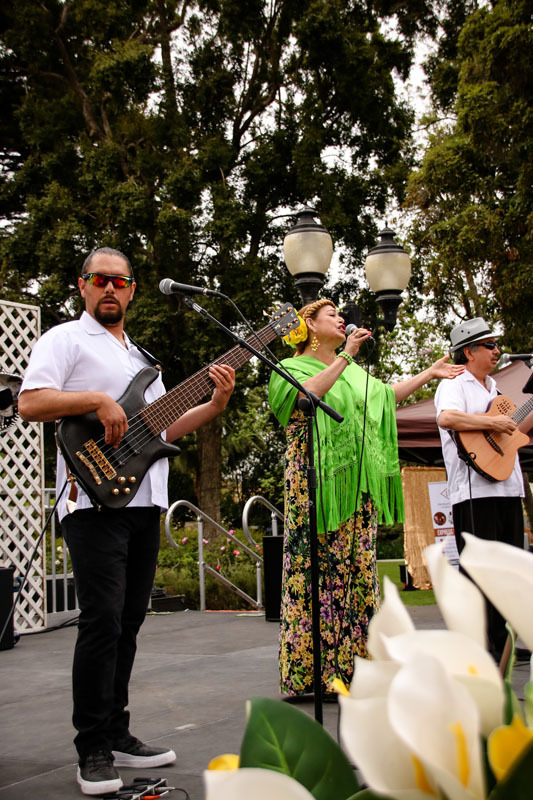 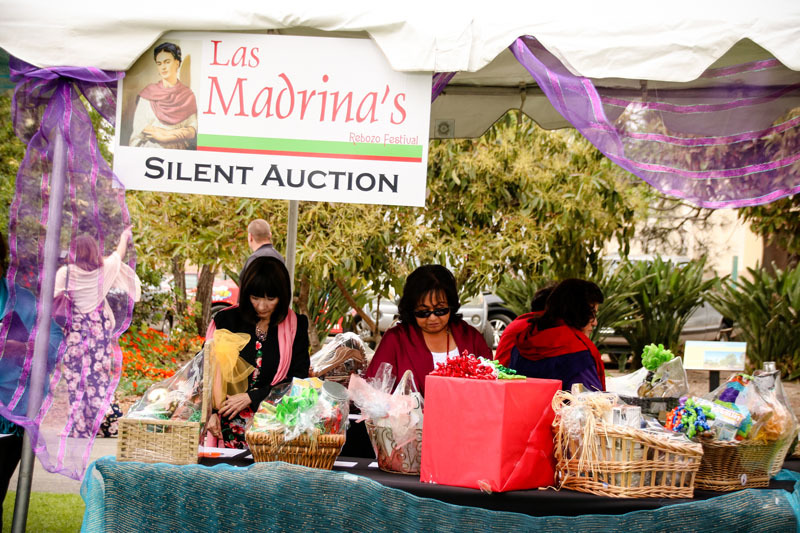 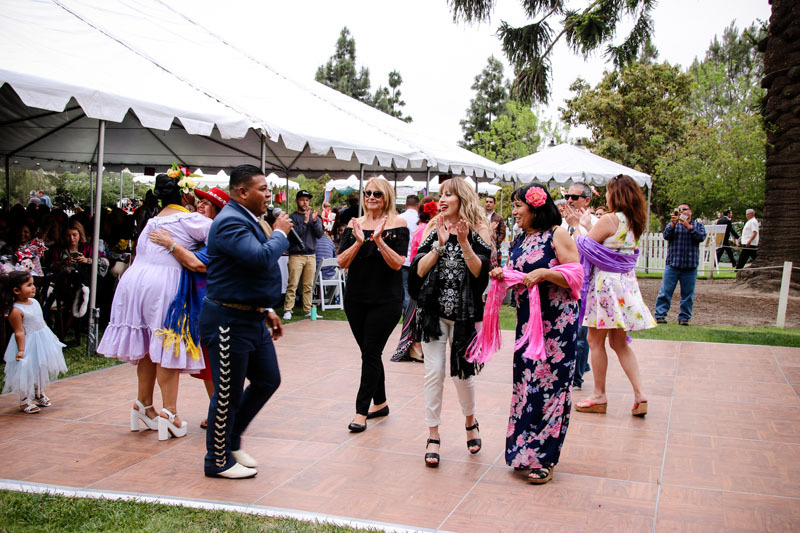 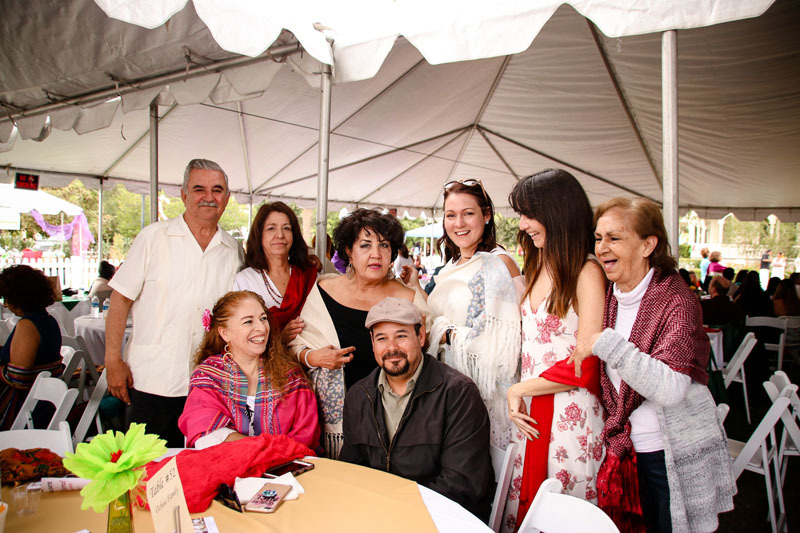 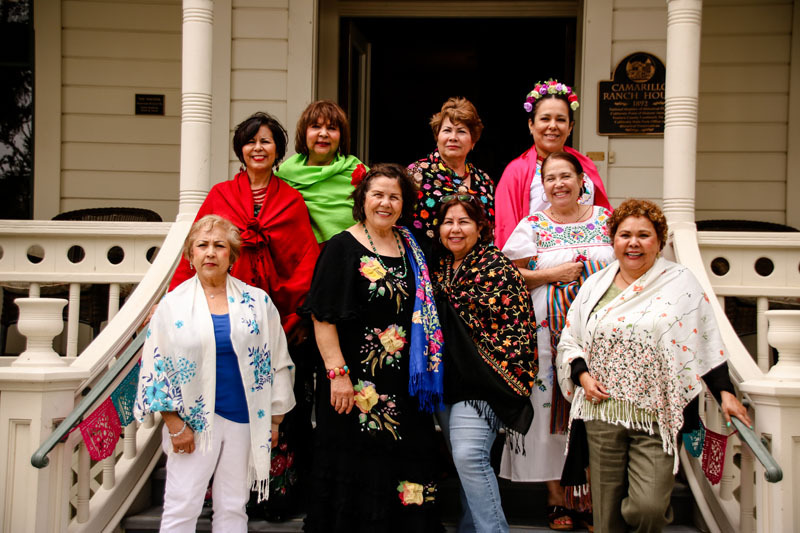 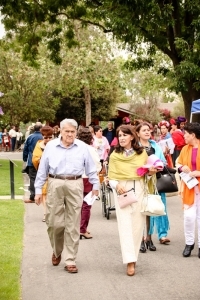 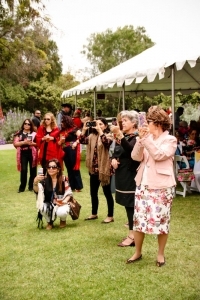 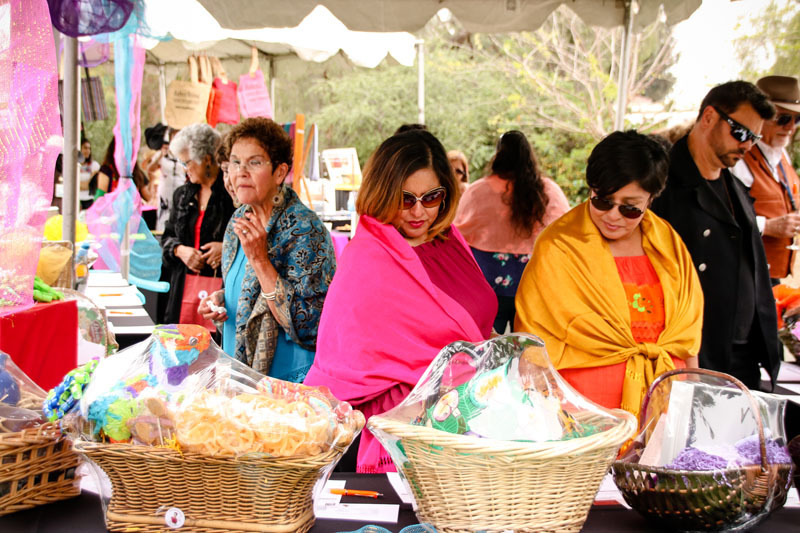 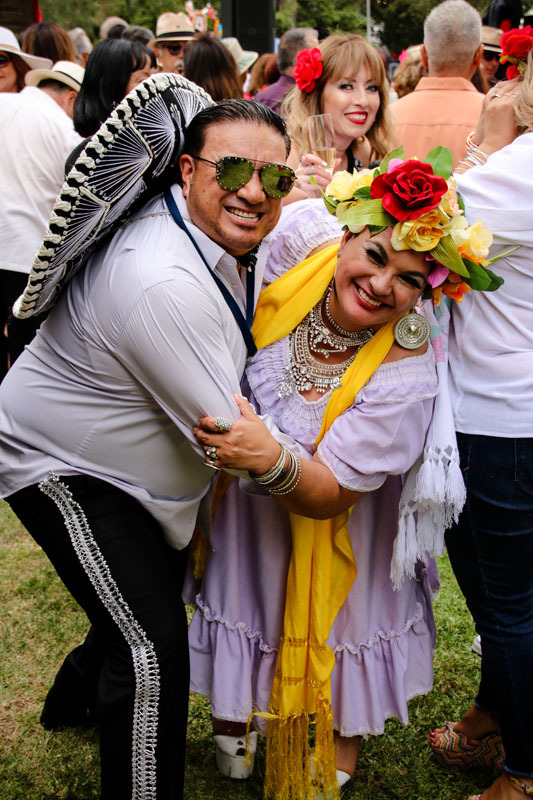 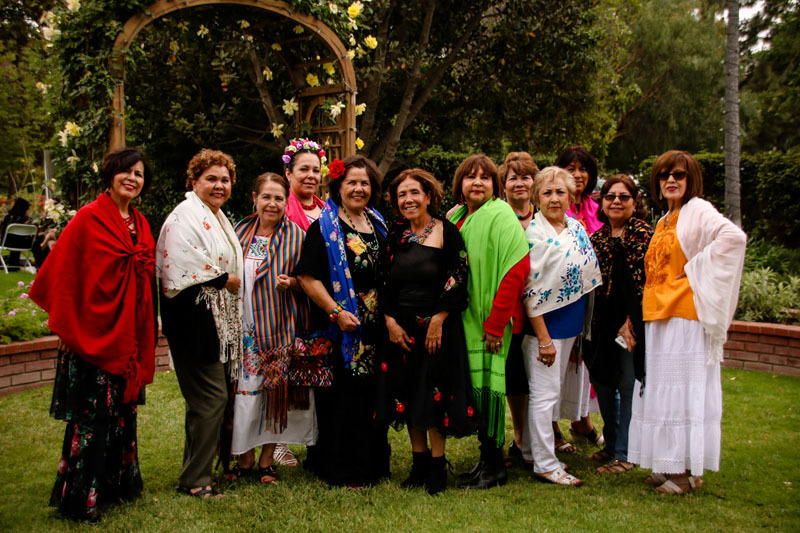 When the Rebozo Festival Committee was established in 2004 it was with the thought of establishing an organization that would support Ventura County private non-profits that further the cultural, economic and social well being of our community. 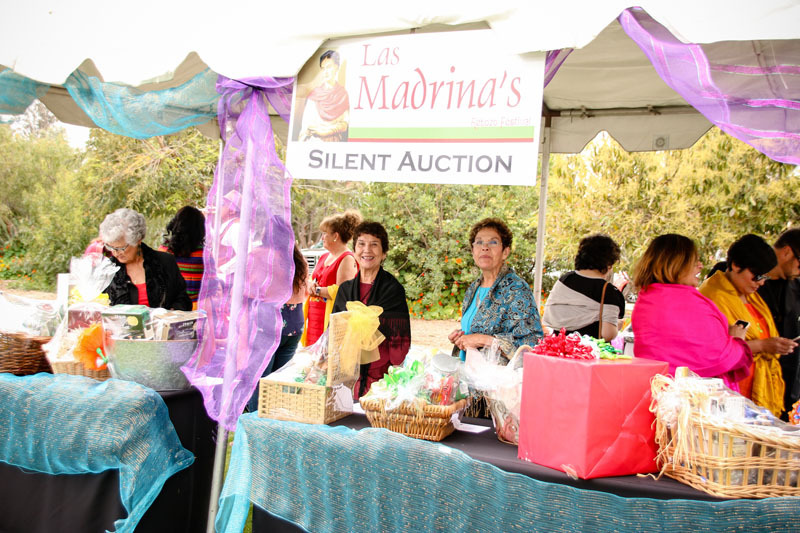 I chose the name “Las Madrinas” because we, the volunteer Madrinas represent the life force of this collaborative effort. 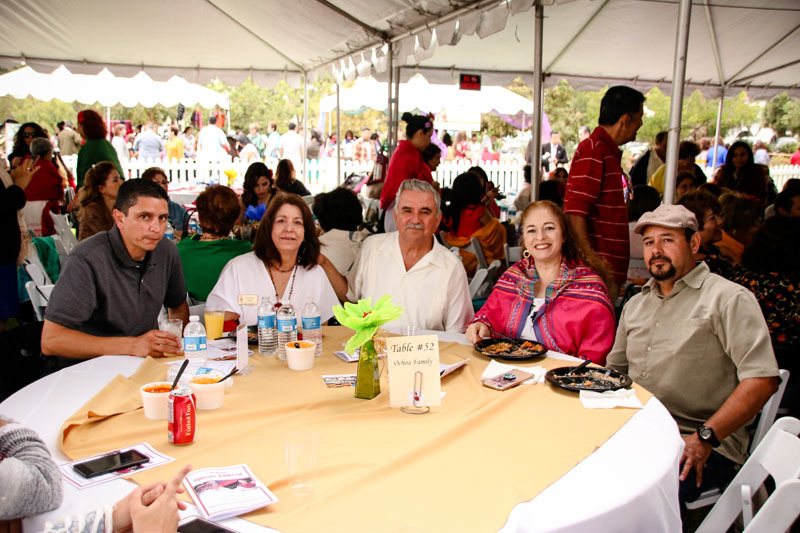 I am truly grateful to these volunteers who work tirelessly for our community”. Yolanda Plascencia was born in Guanajuato, Mexico, was raised and lived in Oxnard, CA for 30 years and currently lives in Camarillo. 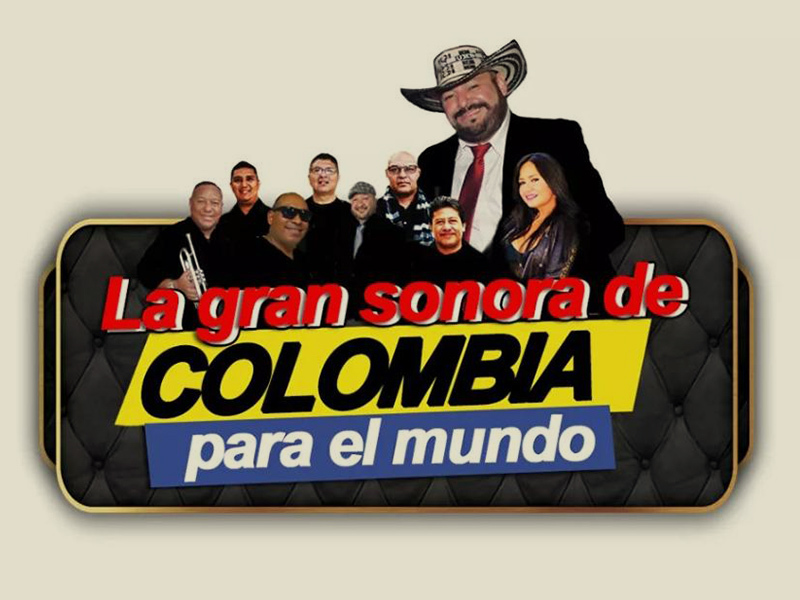 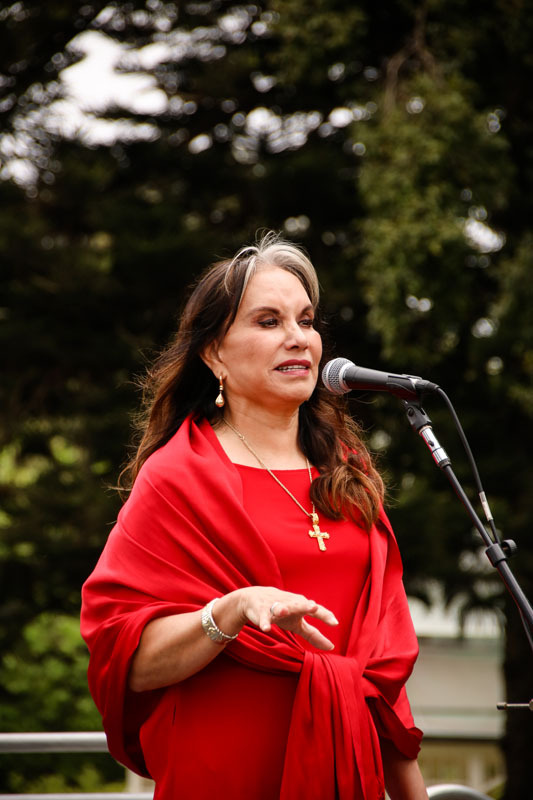 Together with her husband, Alfredo Plascencia, President and CEO of Lazer Broadcasting Corporation, Yolanda is helping the Hispanic community in several counties of California by promoting education, community services, local and international news, music and talent through the various Spanish radio stations. 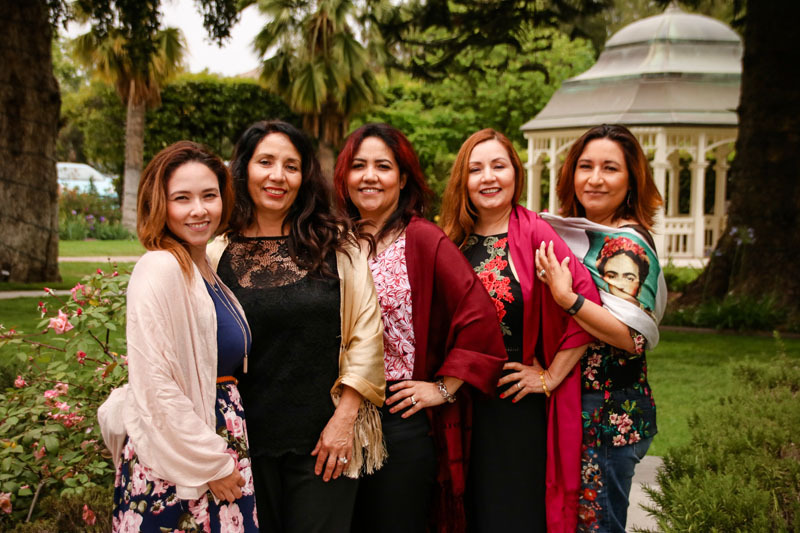 She is a devoted mother of three children–Elizabeth, Julissa and Alfredo Jr.–who has helped them complete their educational goals to succeed in their careers. 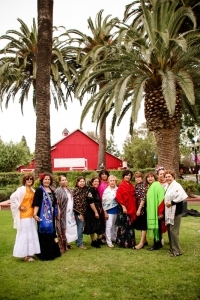 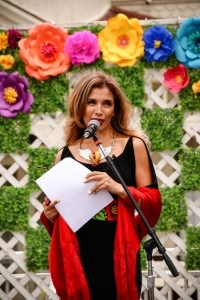 Yolanda has been able to achieve her goal of helping others, as well, by being a part of and contributing to great organizations throughout Ventura County, such as founding Madrina of the Rebozo Festival, 2004-present; founding member of Destino 2000, 2000-Present; member of Clubes Zacatecanos, 1999-2015; past board member of Camarillo-Autlan Sister City, 1998-2006; past board member of Grants Committee and as well as the Vision Committee for VCCF. 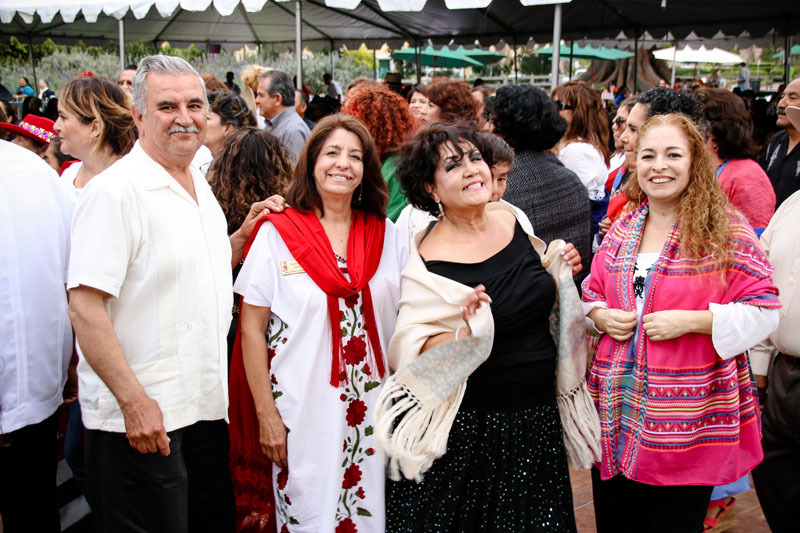 Currently, Yolanda is a board member of the Oxnard College Foundation. 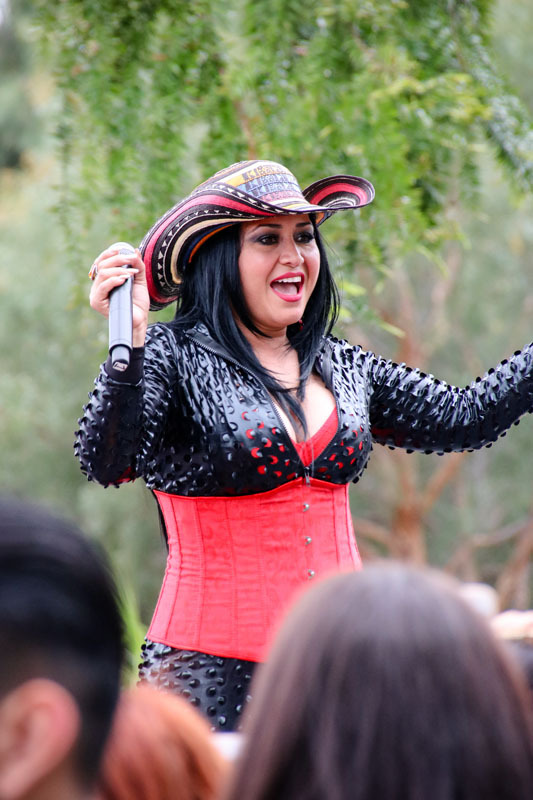 Barbara Barraza-Ordonez was born and raised in Oxnard. 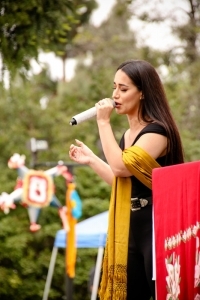 She graduated from Oxnard High School and has attended both Oxnard and Ventura Colleges. 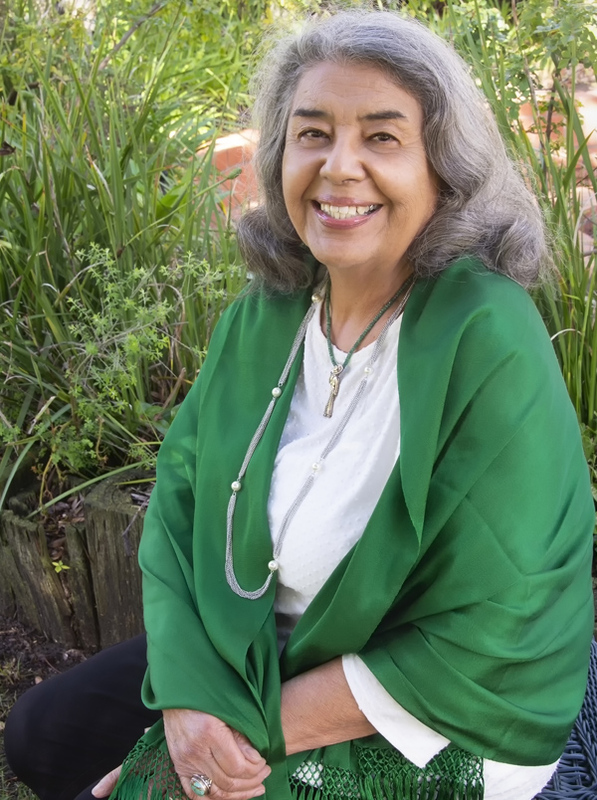 She worked for the State of California Employment Development Department (EDD) for over 40 years, in both supervisory and management positions. 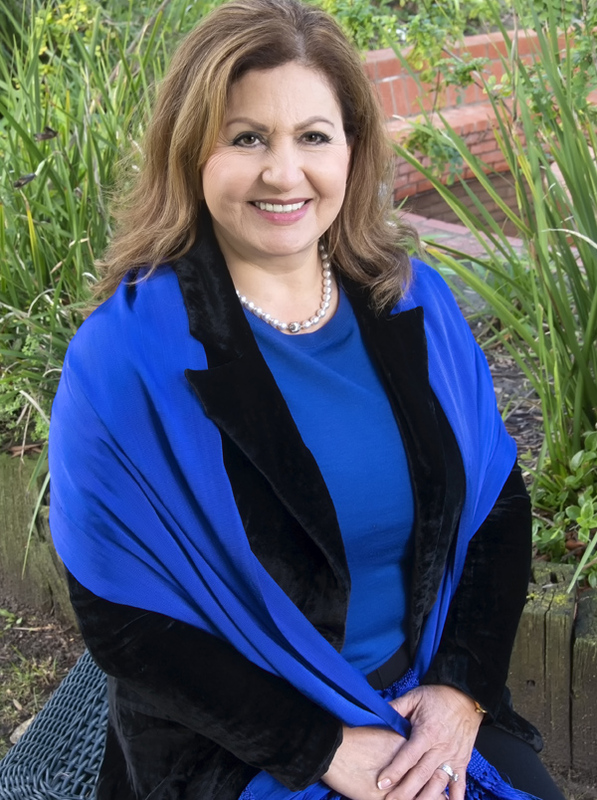 She also served as Secretary for the Western Ventura County Employer Advisory Council for over 10 years during her EDD career. 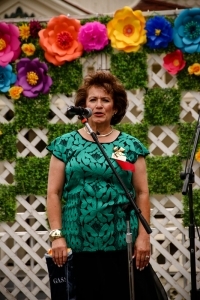 Barbara currently does volunteer work for the Lighthouse Women and Children’s Shelter, located in Oxnard. 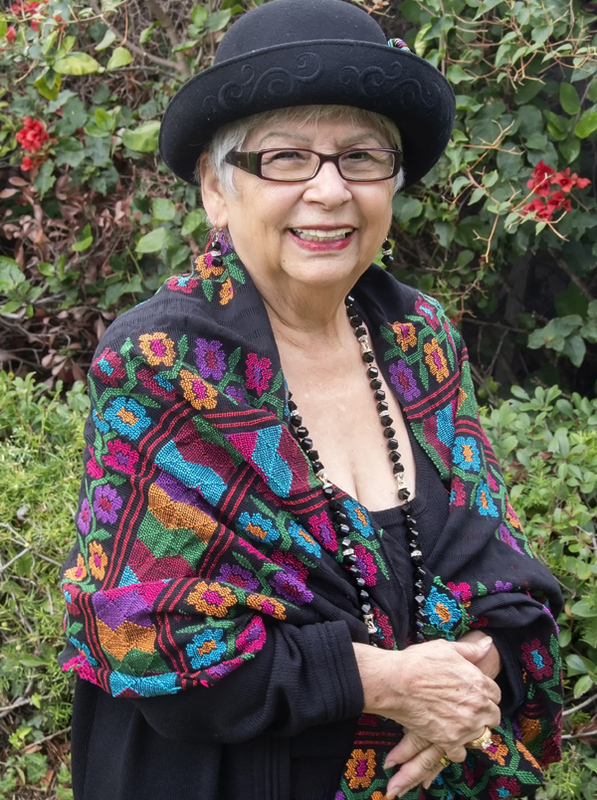 She is also an active member of the Museum of Ventura County and serves on the Las Contemporaneas committee. 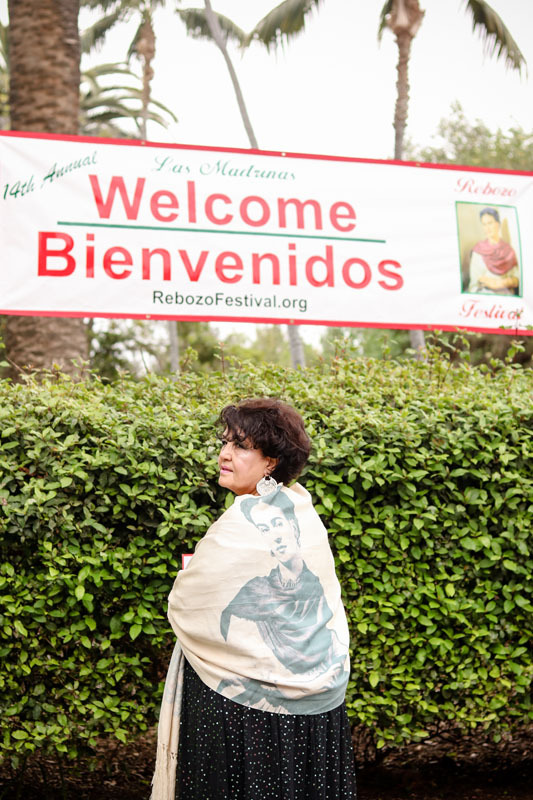 She has been involved with the Rebozo Festival for the past 4 years. 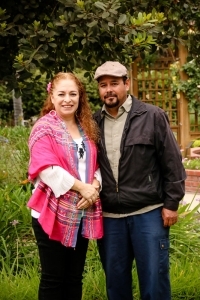 She currently resides in Oxnard with her son, Marco. 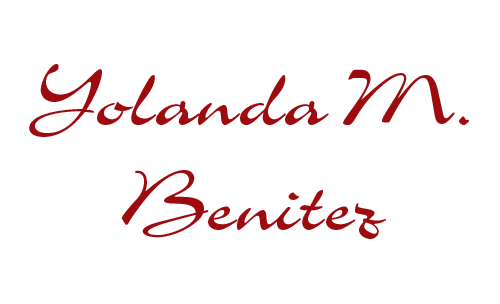 Yolanda a friend to many, always willing to give the best of herself and lend a helping hand. 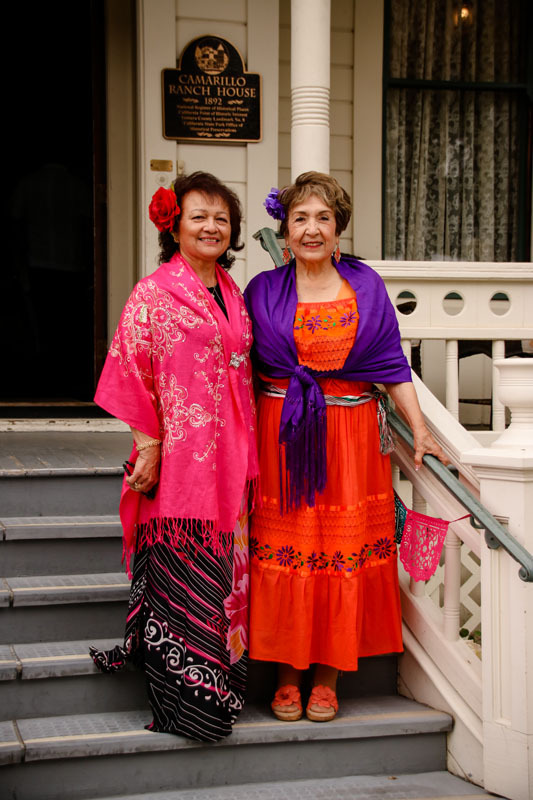 Yolanda has worked at Livingston Hospice for 22 years. 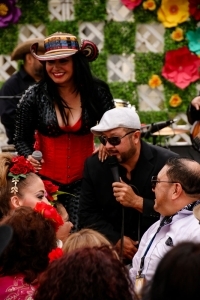 She is a member of the Zacatecanos Club and the director of their beauty pageant. 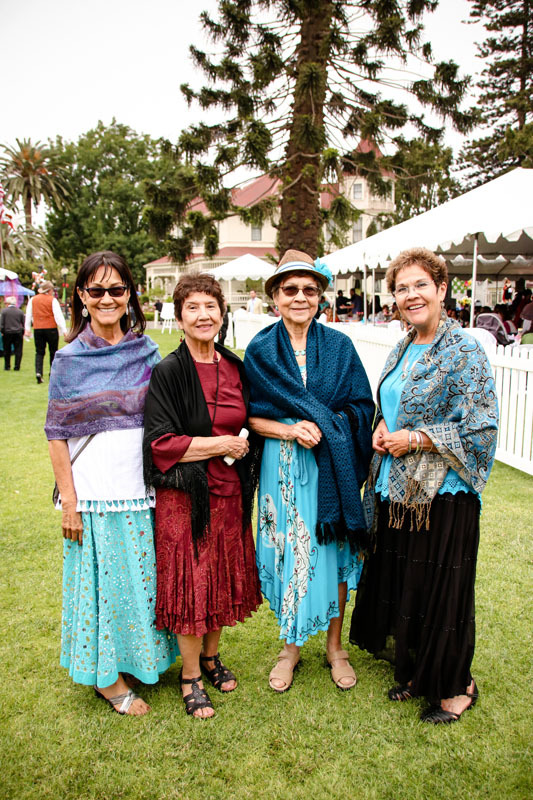 She is a member of a group who assists the Augustinian Recollects at the Augustinian Recollects Priory in Oxnard. 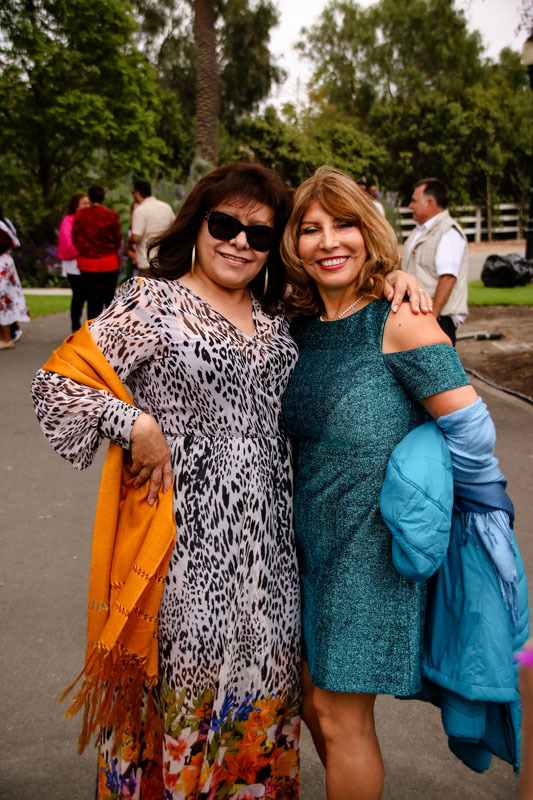 For 12 years she was a member of the local Fiestas Patrias committee and the director of the Señoritas Fiestas Patrias Beauty Pageant. 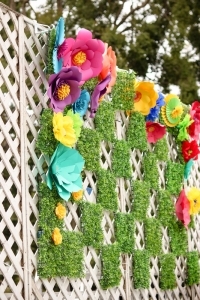 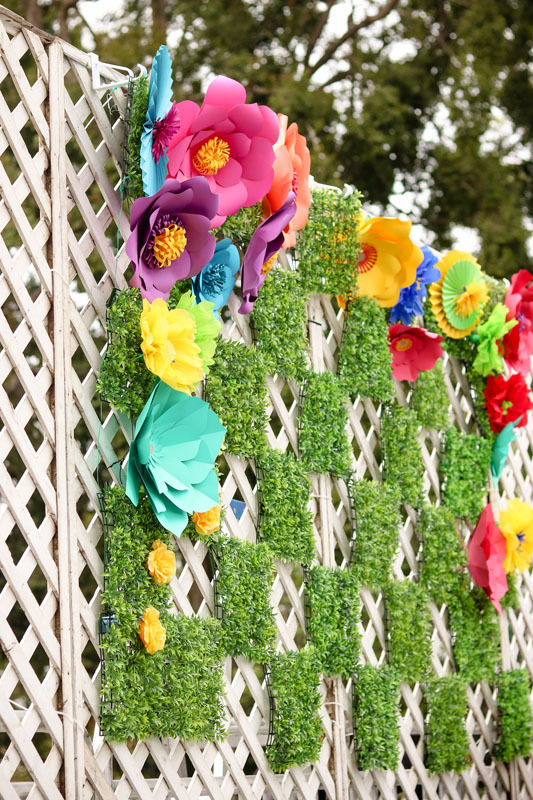 In her spare time, Yolanda is an event planner, making use of her talent working with flowers creating beautiful decorations for events. 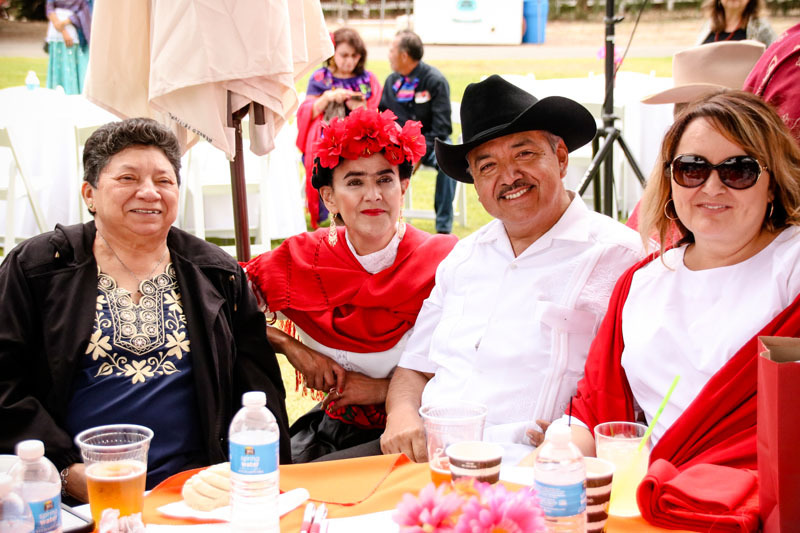 Born in El Palmar, Jalisco, to Don Salvador Pelayo y Doña Aleja Aguilar, the seventh of ten children, Yolanda has formed a beautiful family with her husband of 26 years Ricardo Lopez and their two children—Barbara and Edgar. 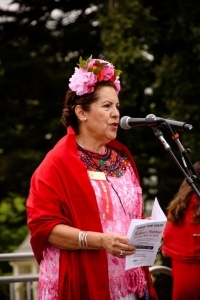 Yolanda is a Rebozo Festival founding “Madrina.”She is convinced that this organization has helped the community in various ways—enhancing pride in wearing our traditional Rebozo, providing an event to promote our culture with traditional music, food, and entertainment, and giving funds to local organizations that greatly benefit from the financial support. 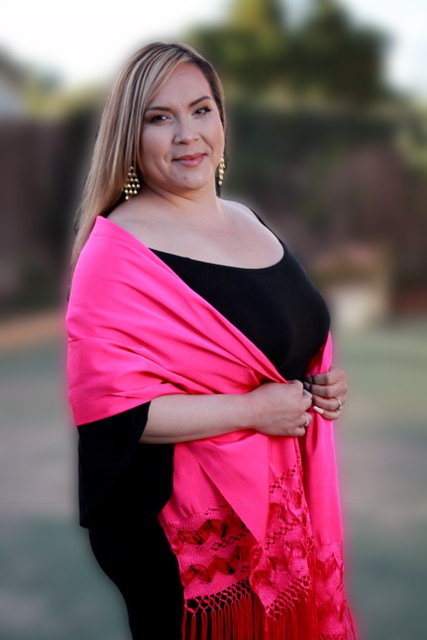 Teresa is a graduate of Laverne University with a degree in Business Administration and a Masters Degree in Public Administration from California Lutheran University. 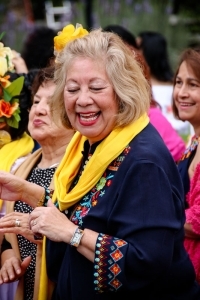 She retired as head of the Adult Services Department within the Human Services Agency. 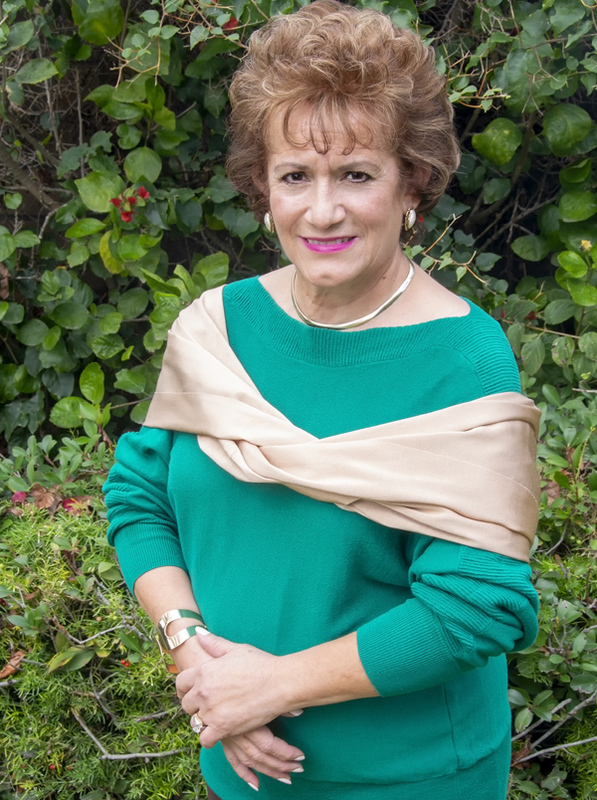 In the past 15 years she has been serving on the Board of Directors for the Oxnard College Foundation. 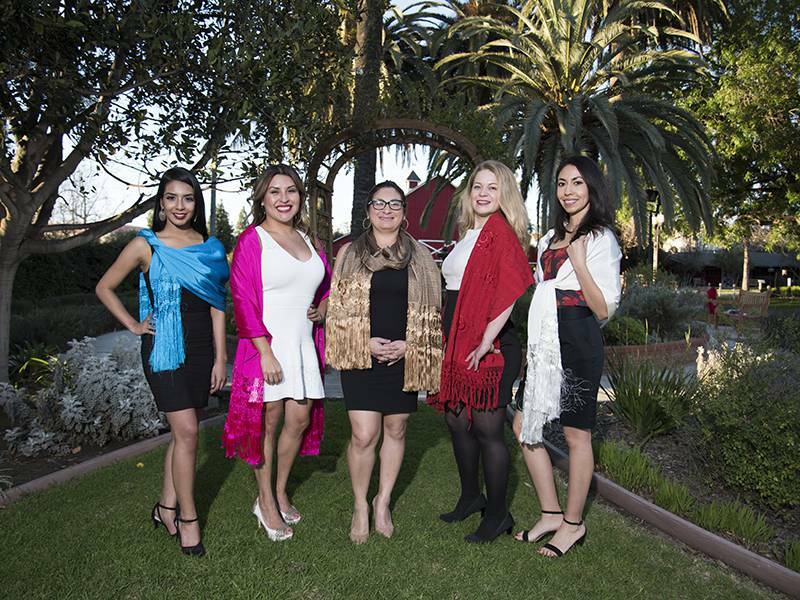 The Oxnard College Foundation raises funds for college scholarships and program. Teresa is a long time county resident and currently makes her home in Oxnard with her husband Bruce. 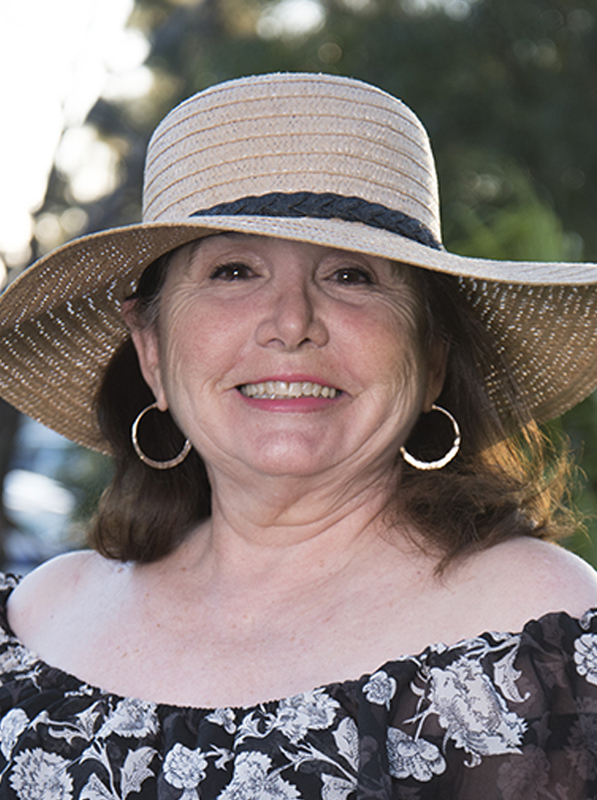 She has two daughters Mandi and Marnie and one stepson Jerremy and four grandchildren. 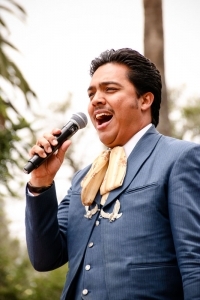 Born in Valparaiso Zacatecas, Mexico. 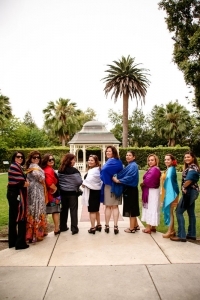 Was raised and attended the public school system in Redlands, California. 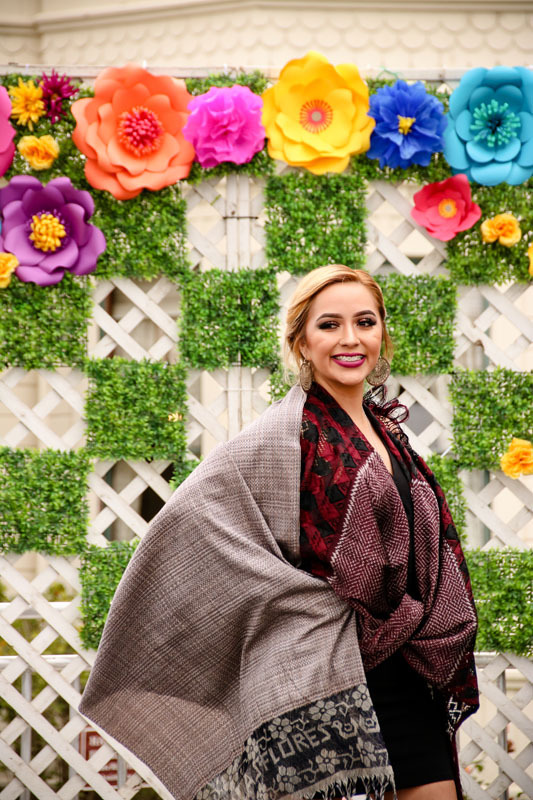 Graduated from California State University San Bernardino with her BA in Liberal Studies and later an MA in Educational Administration. She worked for Coachella Unified School District for 24 years, from 1980-2004. 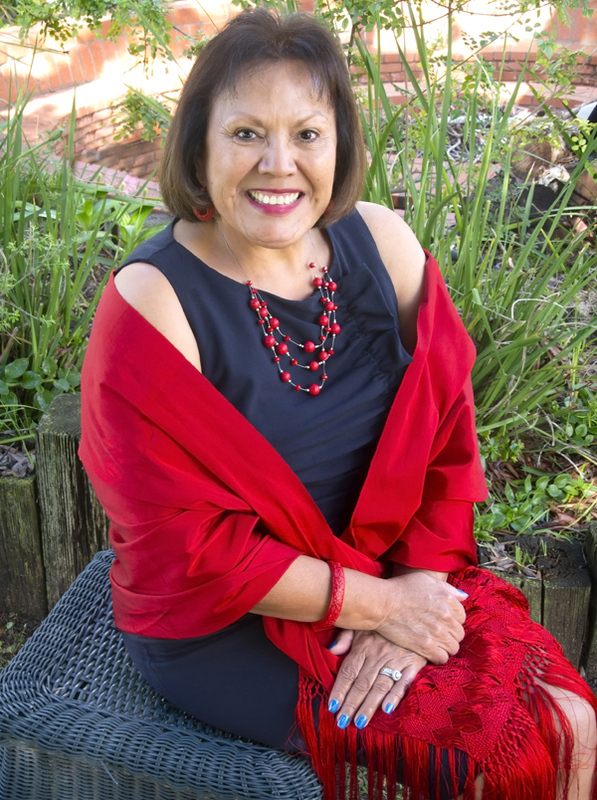 In her Educational Career she has been an elementary bilingual educator, a project teacher, student facilitator and an elementary school principal. 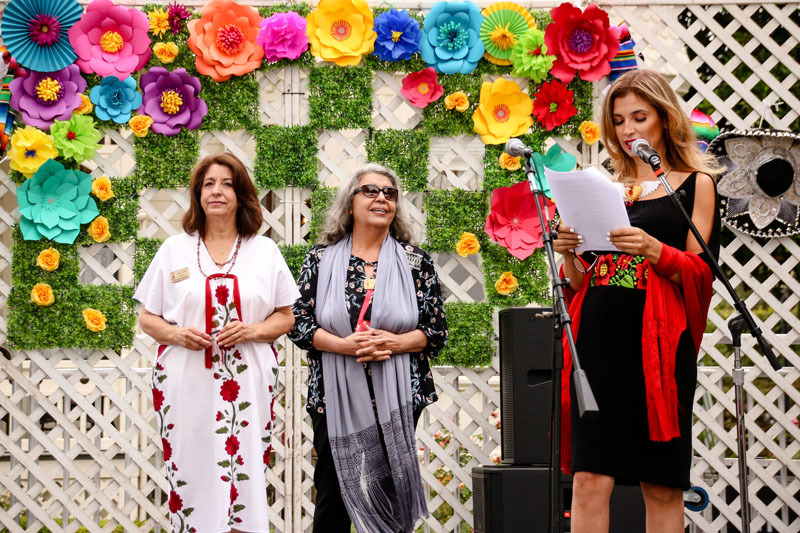 Most recently she retired from Riverside County Office of Education as Director of the Migrant Education Program for the last seven years. 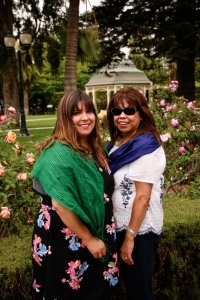 Currently Maria is working with the Santa Barbara County Education Office as a Migrant Education Consultant. 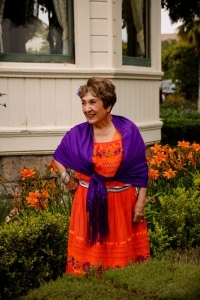 Dolores was born in Jalisco Mexico, and she has been living in Ventura County since 1966. 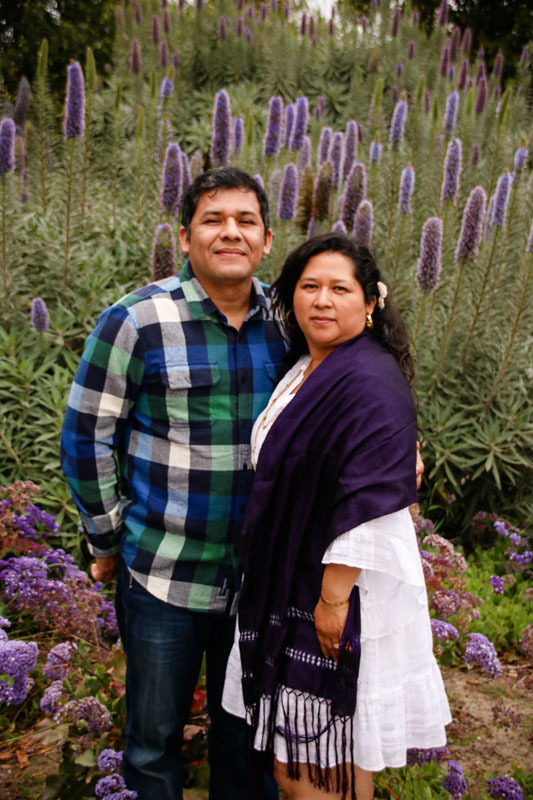 Dolores, along with her husband, Javier Ochoa, have volunteered for the Migrant Education Program, Region 17, for over 18 years. 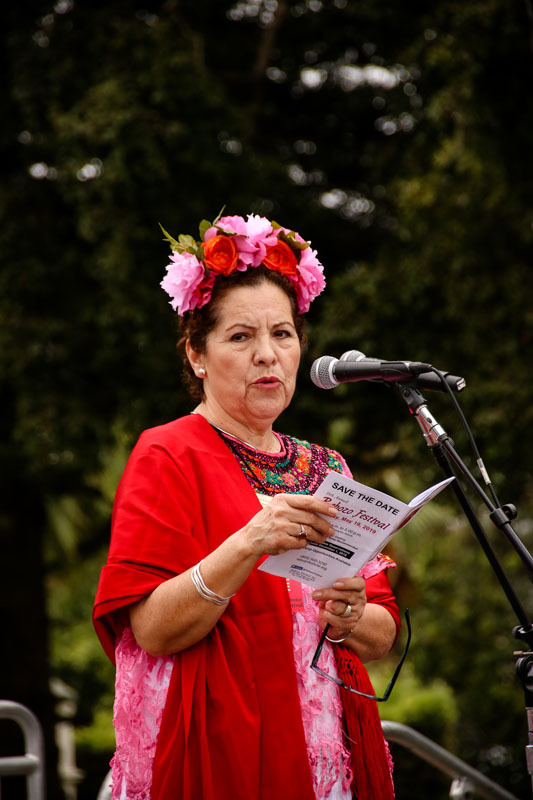 She strongly advocates for the rights and needs of Migrant Families. 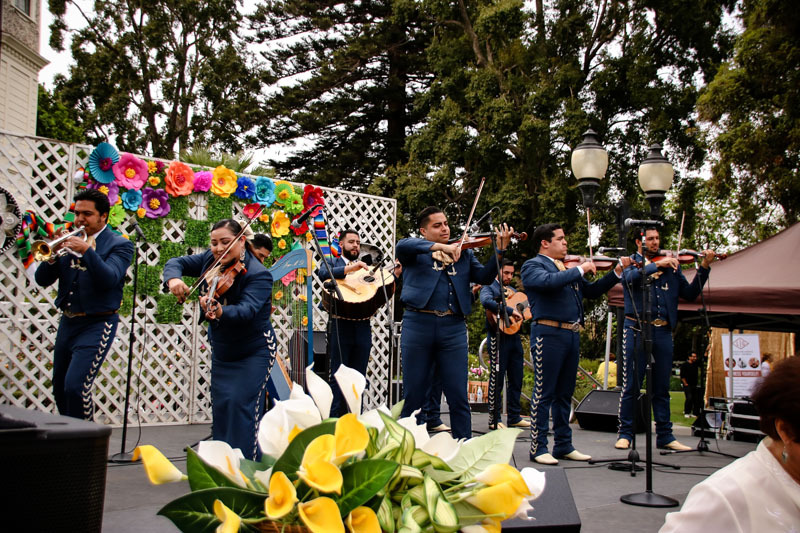 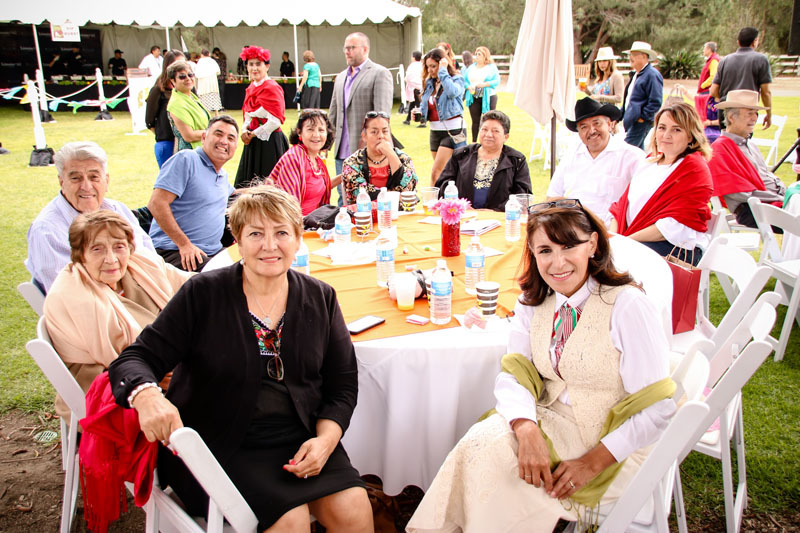 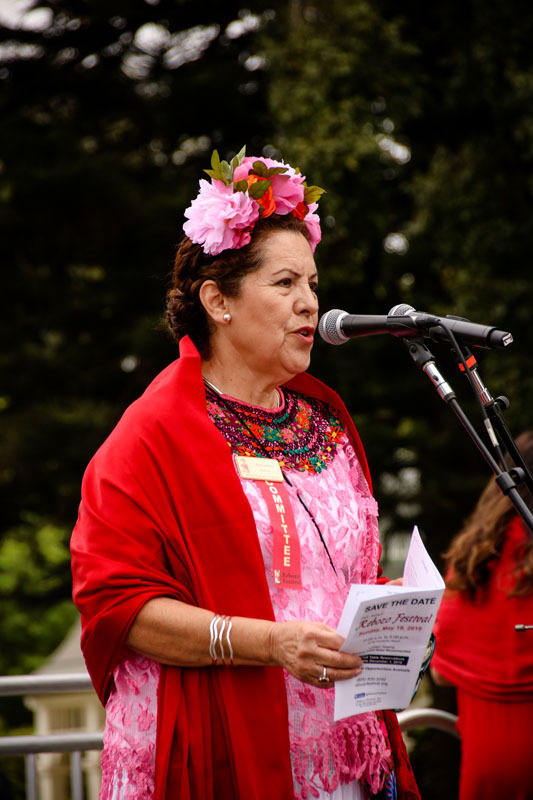 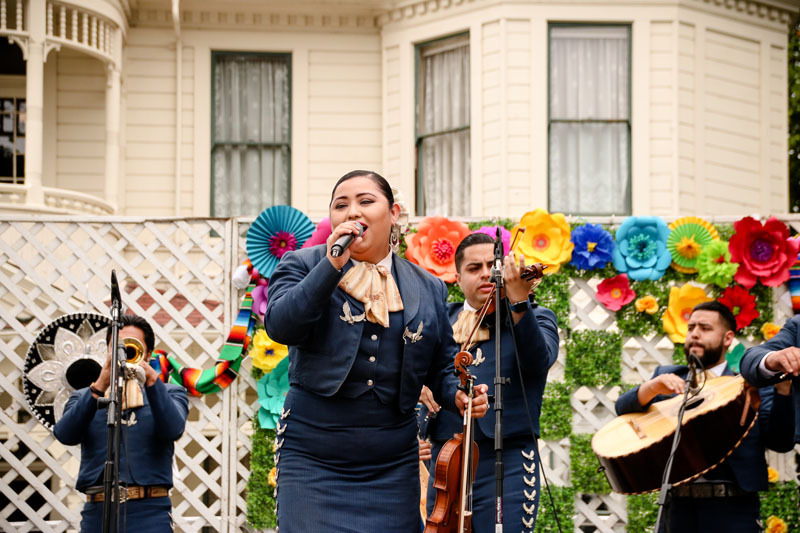 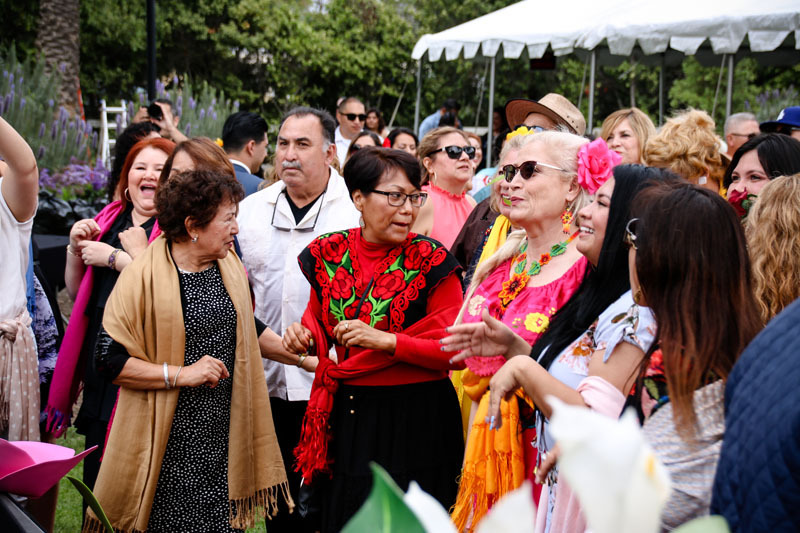 Currently, Dolores serves as a board member of the Comite Cultural Mexicano, a non-profit organization that promotes the richness of our Mexican history, traditions, culture, and folklore. 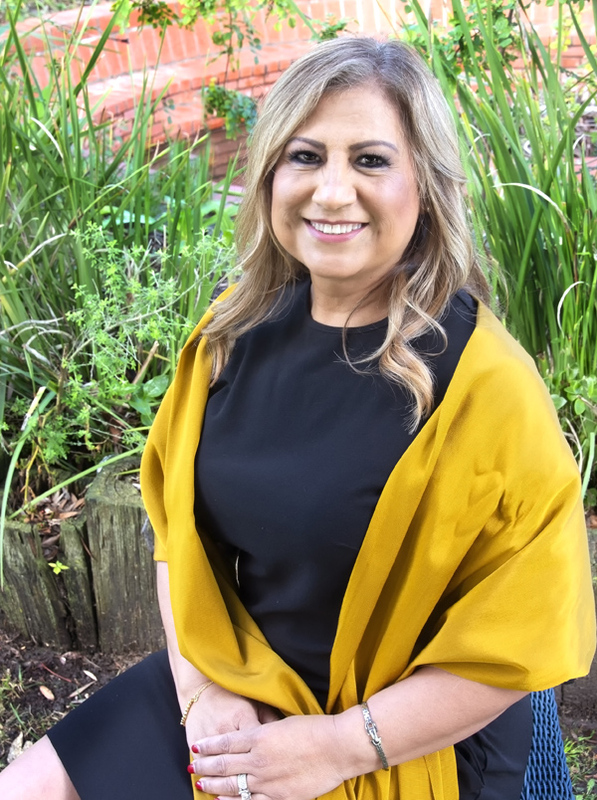 Nallely Miranda was born and raised in Santa Paula, CA and has been active in serving the community for many years, through a numerous amount of organizations. She recently received her bachelors degree in Business from California State University Channel Islands. 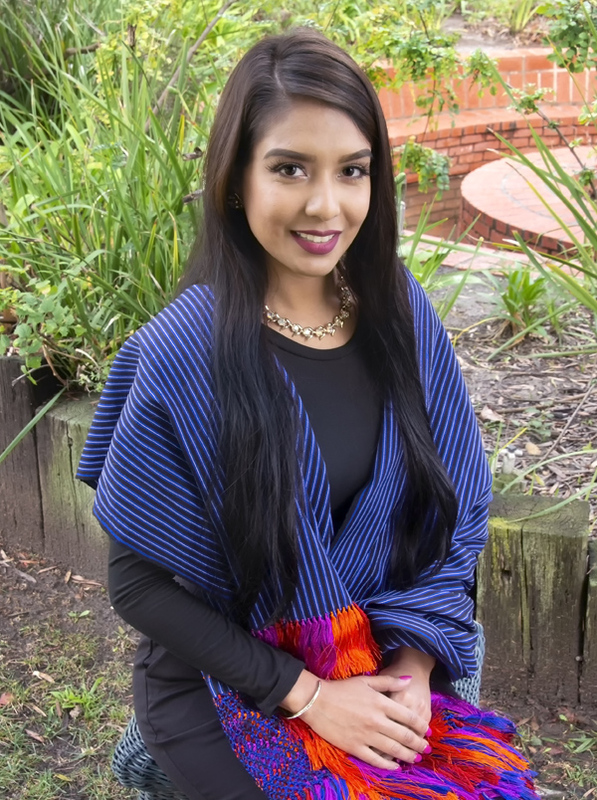 Nallely enjoys working with the youth and inspiring them to become leaders in their communities. 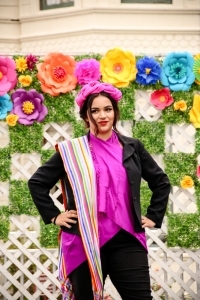 For the past five years she has been training the participants of Señorita Zacatecas and Señorita del Rebozo, and is now the coordinator for the Señorita Fiestas Patrias pageant. 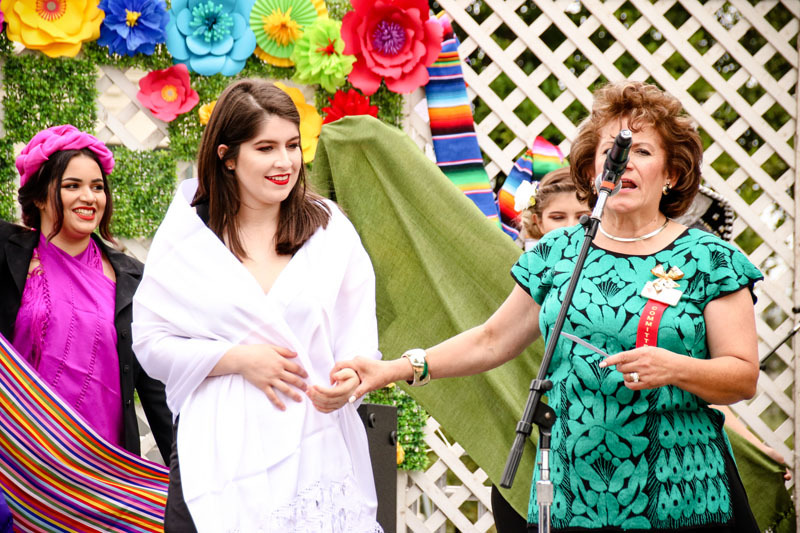 She hopes to continue to give back to the community that has blessed her with many opportunities. 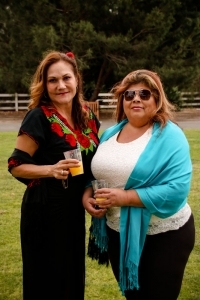 Yolanda was born in Santa Paula and grew up in Los Angeles. It was in Los Angeles that her mother, a migrant worker and single mother, supported her goal to pursue a college degree. 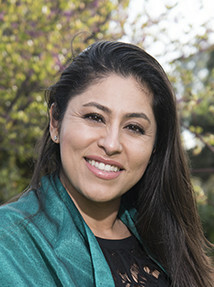 Yolanda attended CSU-LA, where she earned her B.A. 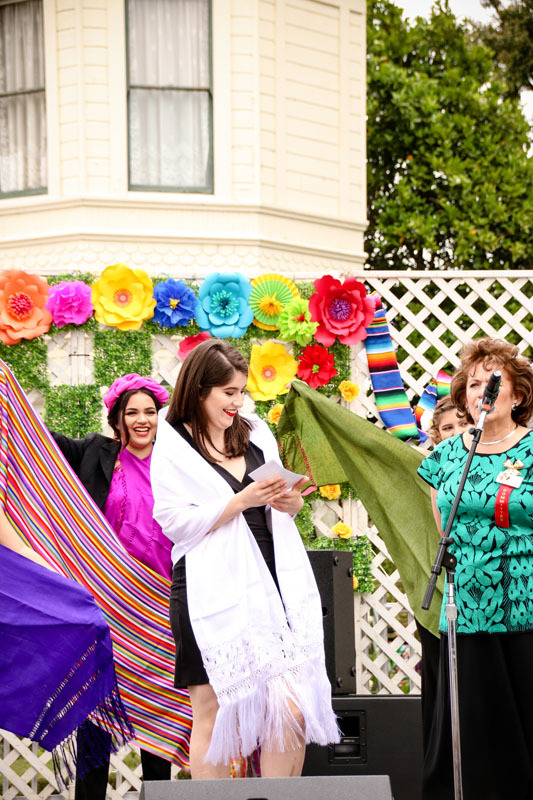 and Master’s degrees. 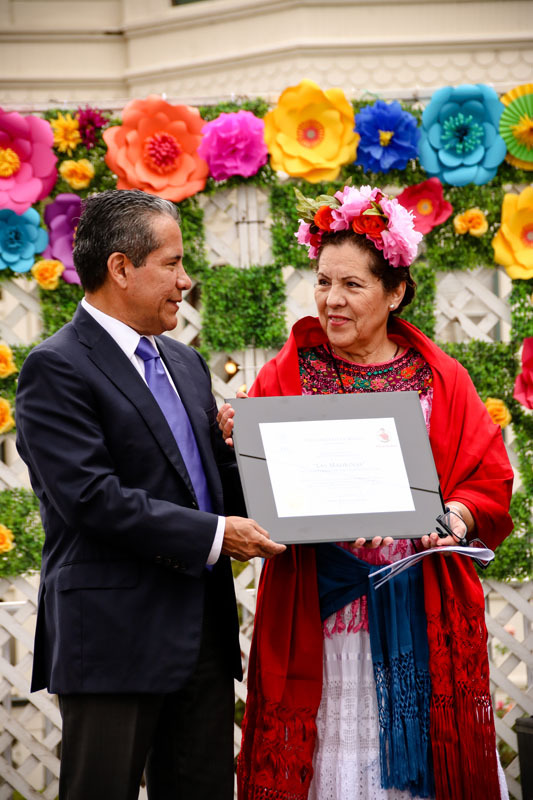 Yolanda has devoted her life to the education of children through her work as Principal, Director of State and Federal Projects, Assistant Superintendent and Superintendent. In 2015, she retired as the Chief Academic Officer for the L.A. County of Education. 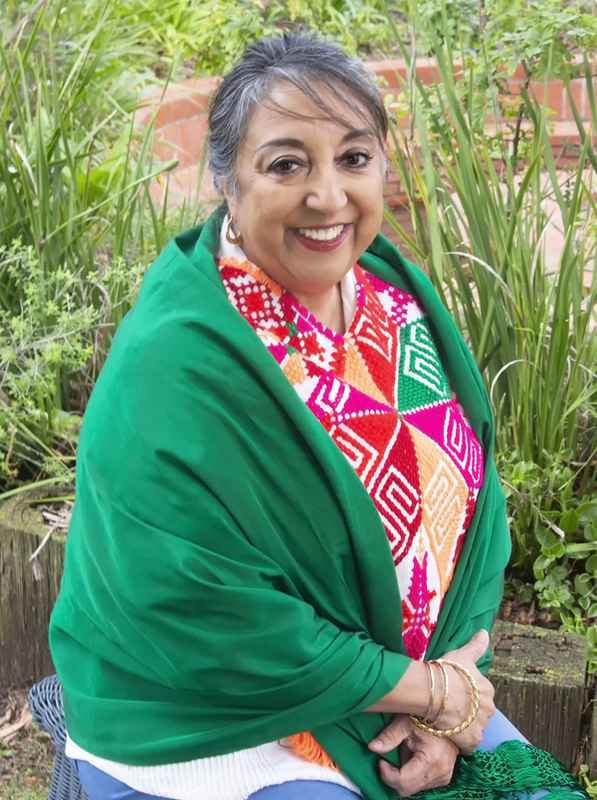 She was responsible for the Largest Head Start Program in the United States, Migrant Programs, Charter Schools, STEAM programs, Common CORE, State and Federal Testing programs and Teacher/Administrator training. Currently she serves on the board of the Los Angeles County Friends of LACOE Foundation and is a Founding Madrina of Rebozo Festival, Inc.
Eva was born in Texas and moved to California in 1972. She received bachelor degrees from Texas A&I and UCSB and graduated with a masters from UCLA. 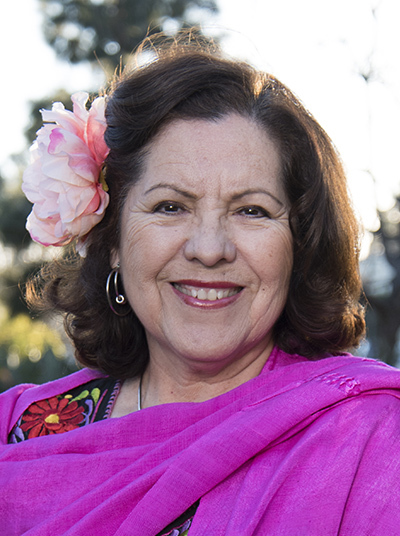 Eva worked for the Oxnard School District and California Department of Education’s Beginning Teacher program. 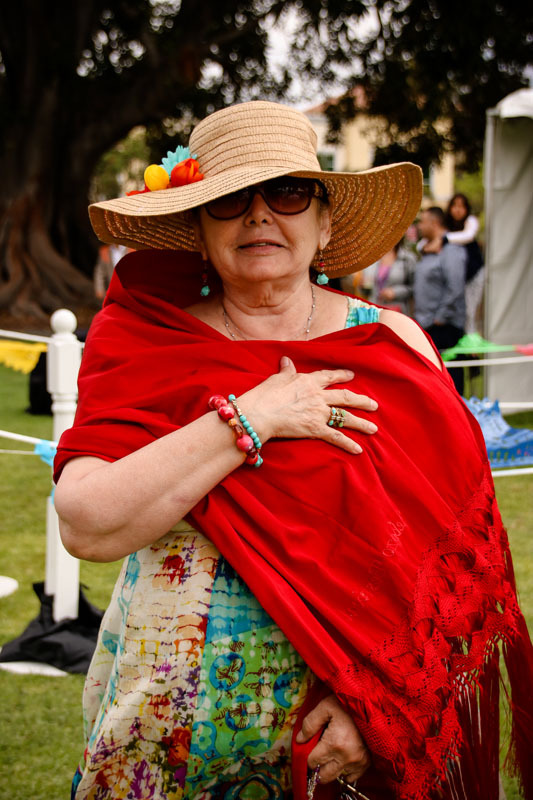 Eva is retired and her favorite fundraising charities are Oxnard Educational Foundation, No Room at the Inn, And the Rebozo Festival. 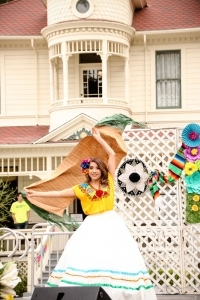 Elsa was born in Chihuahua, Mexico and has lived in Oxnard since she was 9 years old. 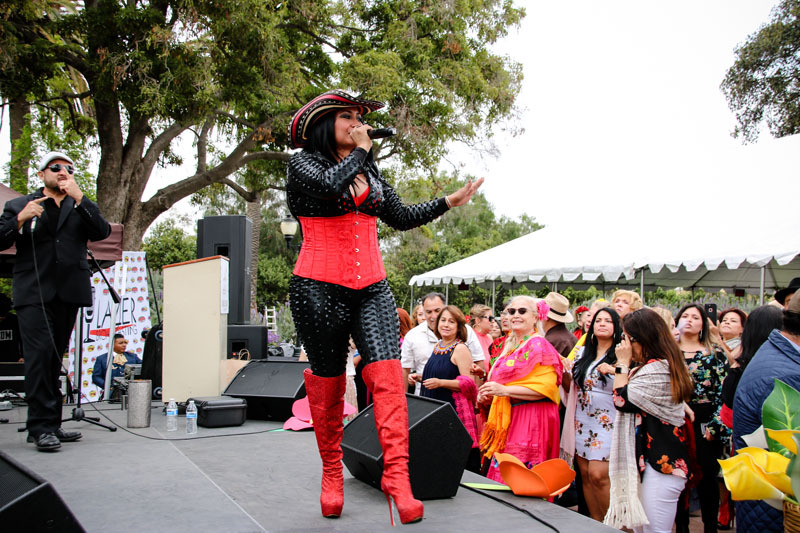 She graduated from Oxnard High School and attended the University of Laverne. 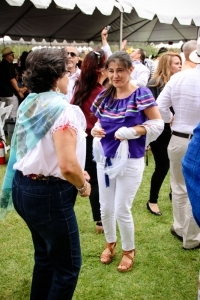 She has been married to Felipe Bello for 38 years, and they have two daughters, Susie and Teri and one son, Felix. She loves music and her hobby is dancing. 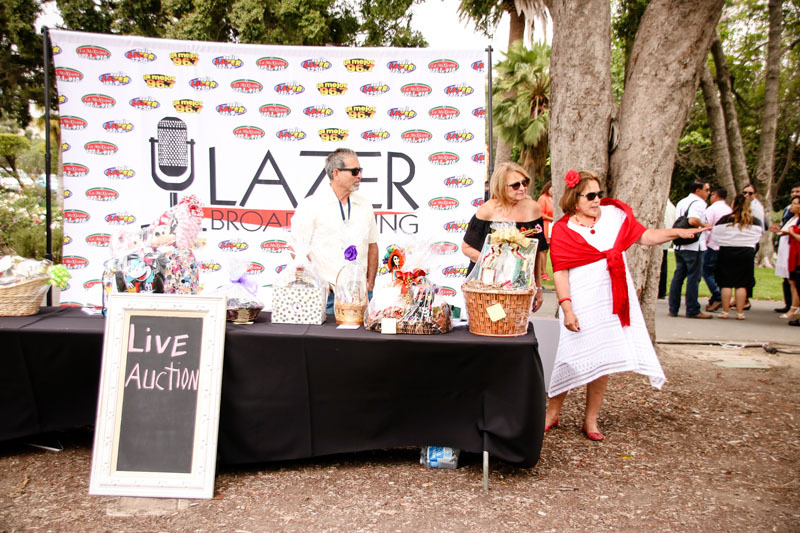 She retired from Verizon Communications after 36 years and is currently working for Lazer Broadcasting. 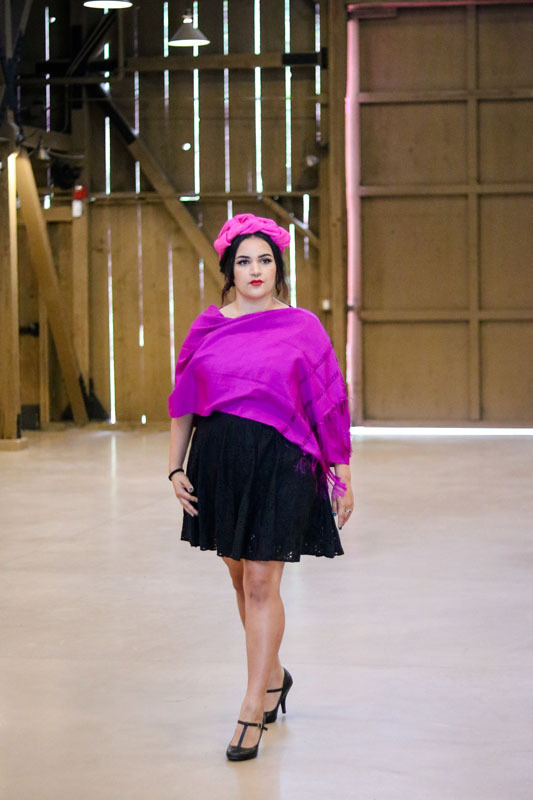 She enjoys working with people and helping community-based organizations. 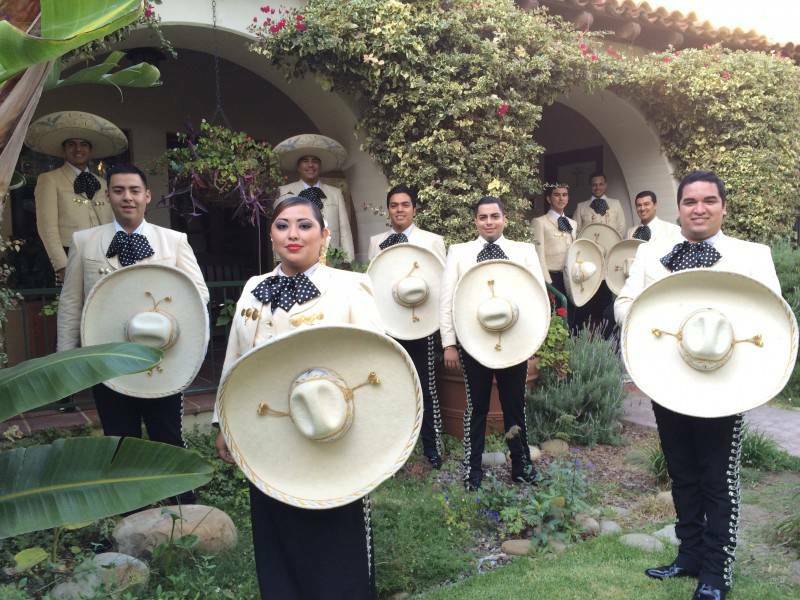 Born to Mexican Immigrants from Jalisco, Mexico – eldest of 5 was raised in Santa Maria Ca. 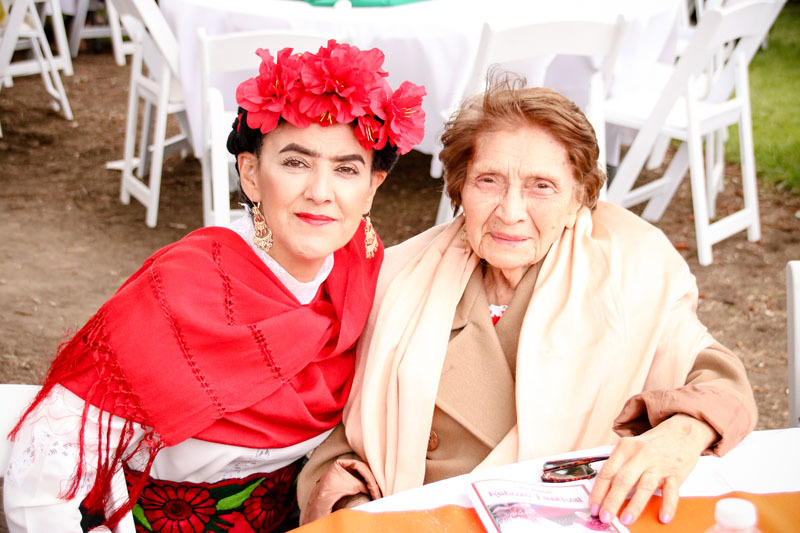 She attended and graduated from Earnest Righetti High School, where she continued a 20 year family generation of Ballet Folklorico Dancers. 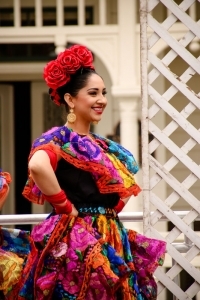 Her aunt was one of the original ballet folklorico dancers in 1979. 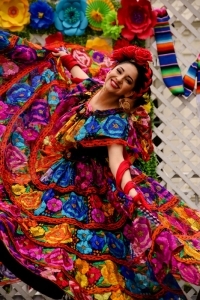 Growing up she enjoyed watching her other aunt dance in the garage practicing the steps to a Vera Cruz song. 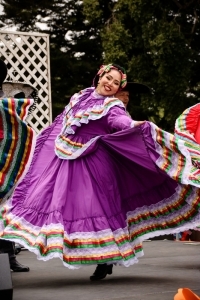 In the late 70s early 80s, her Grandmother, volunteered and sewed the Ballet Folkorico dancers dresses. 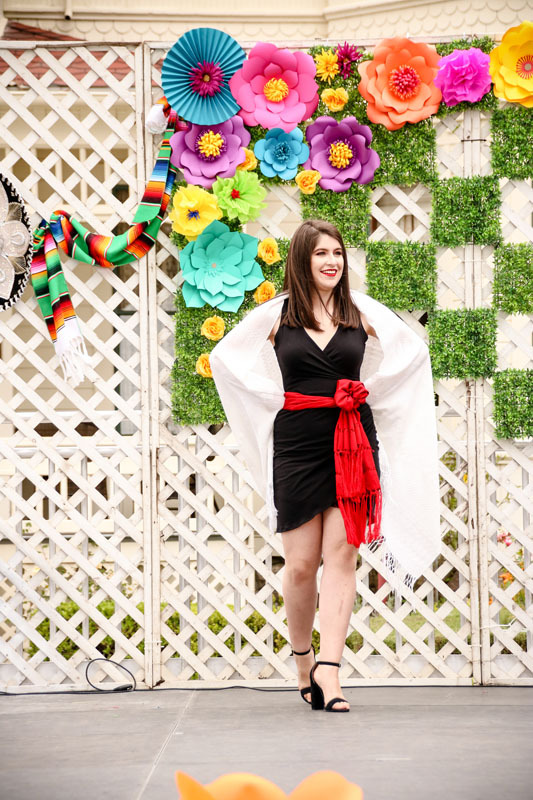 After High School she pursued to enter the delayed entry program for the US Navy. Ready and eager to see the world, she decided to stay and help run the family business, a Small Electronic Shop in Santa Maria. 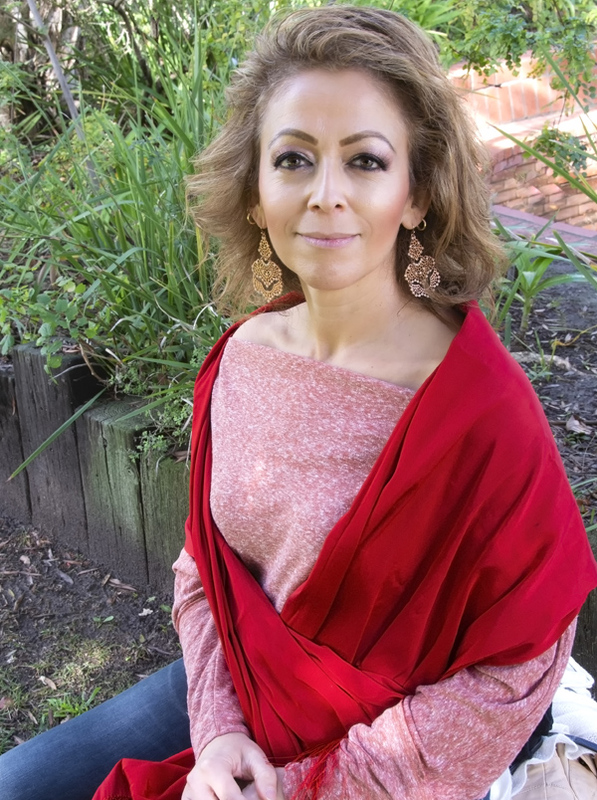 While working part time and working in the family business, she attended a local college and pursued her AA in Liberal Arts. 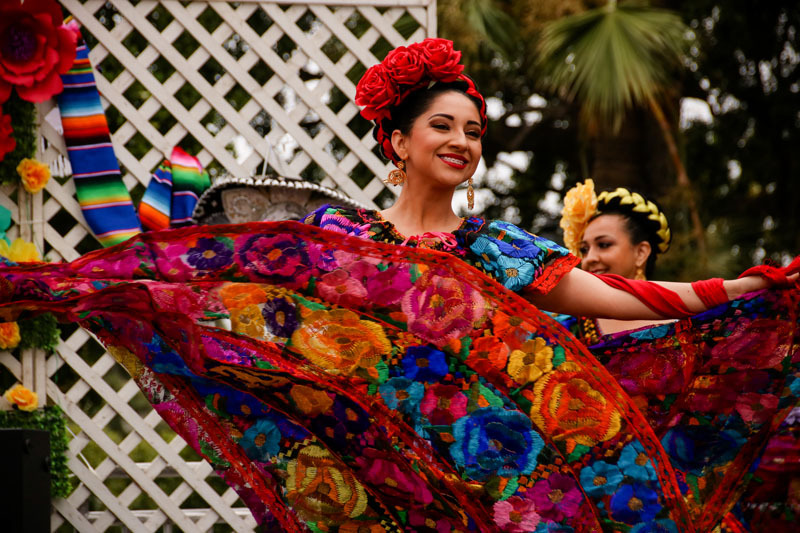 There she also took Ballet Folklorico Dance and found a love for Flamenco, which kept her enriched in her Culture. Finding the importance of helping her father’s business, she attended Cal Poly Adult Education Program and received her SHRM certificate in HR. 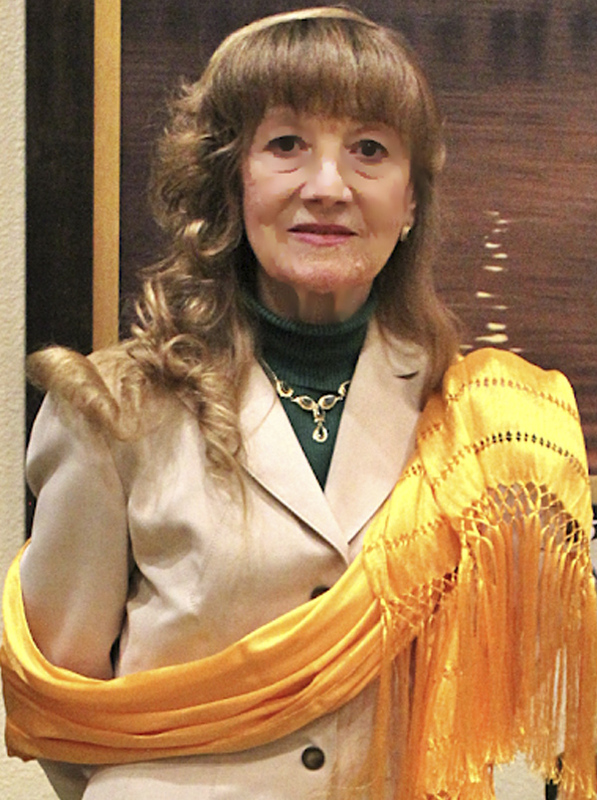 Elizabeth has been in banking industry for 20 years. 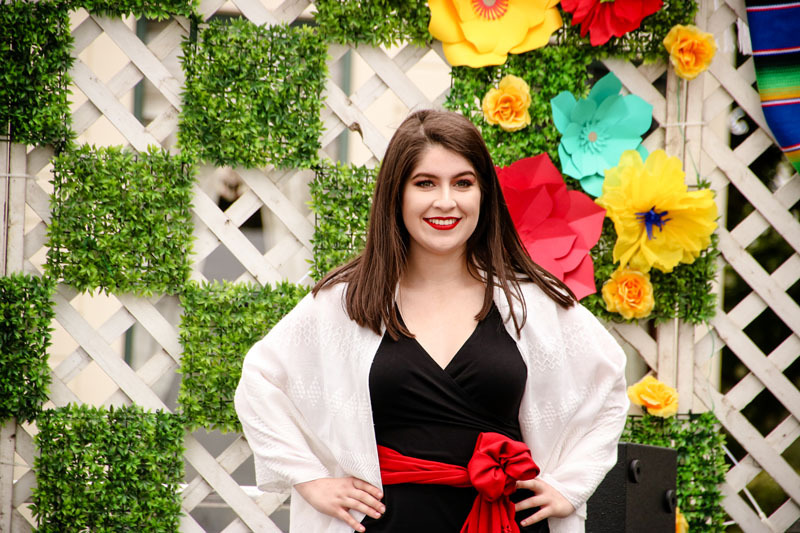 She was fortunate enough to have a Bank mentor which has guided her professionally and to “volunteer” and “attend” non- profit events. 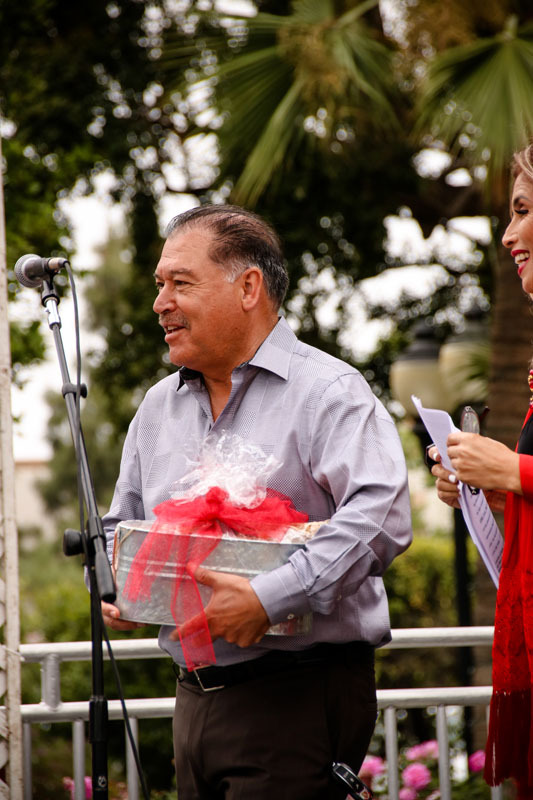 One non-profit that she came very close to and volunteered is the Boys & Girls Club of Santa Maria Valley. 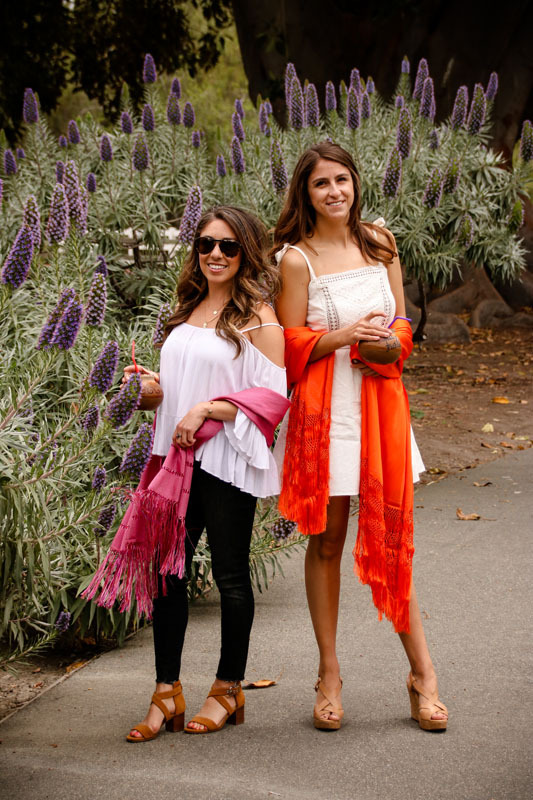 Her Mentor was a President and on the Executive Board, which made her want to be more involved and follow. Through the work of a non-profit organization, she not only met with current clients of the bank, but spent time networking and finding the need of volunteer work in her community. 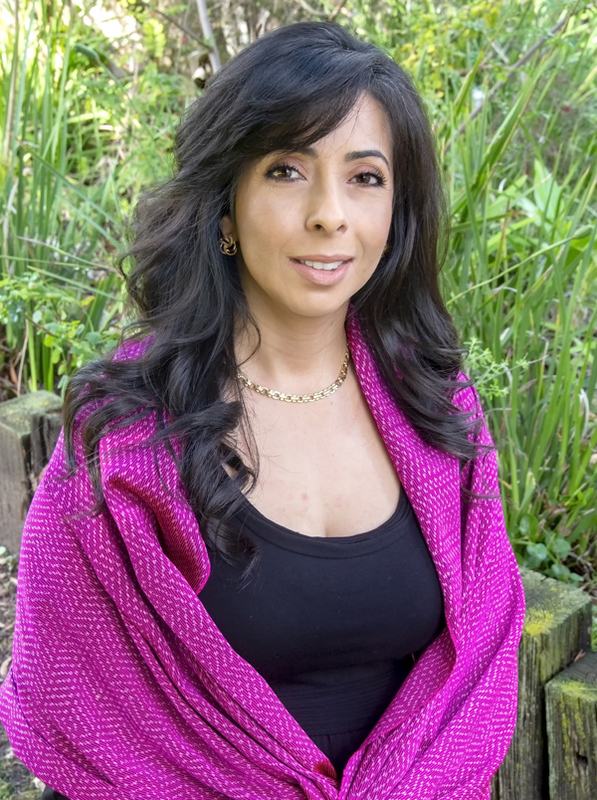 As a Relationship Banker for Pacific Premier Bank, she is still following and working with her Bank Mentor. This 20 year relationship has not only solidified Bank Client relationships, it has opened doors in the Banking Industry as well as Professional relationships in the Central Coast. Elizabeth still proudly volunteers at the Boys & Girls Club and attends/volunteers on their annual events. 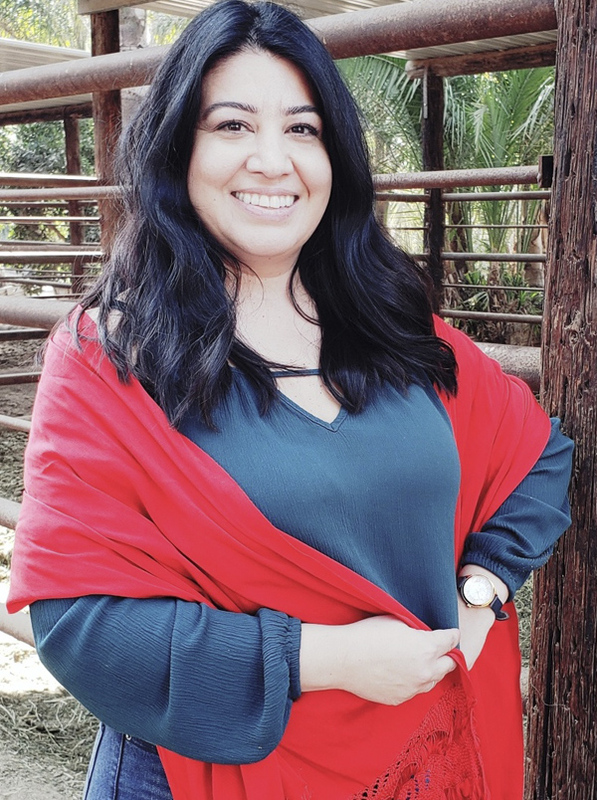 She is also on the event committee for the Santa Maria Police Council and is actively looking for volunteer events with the local Food Bank of Santa Barbara County. Elizabeth is proud to be a “Madrina” for the The Robozo Festival, that brings out the enriched culture to her life.